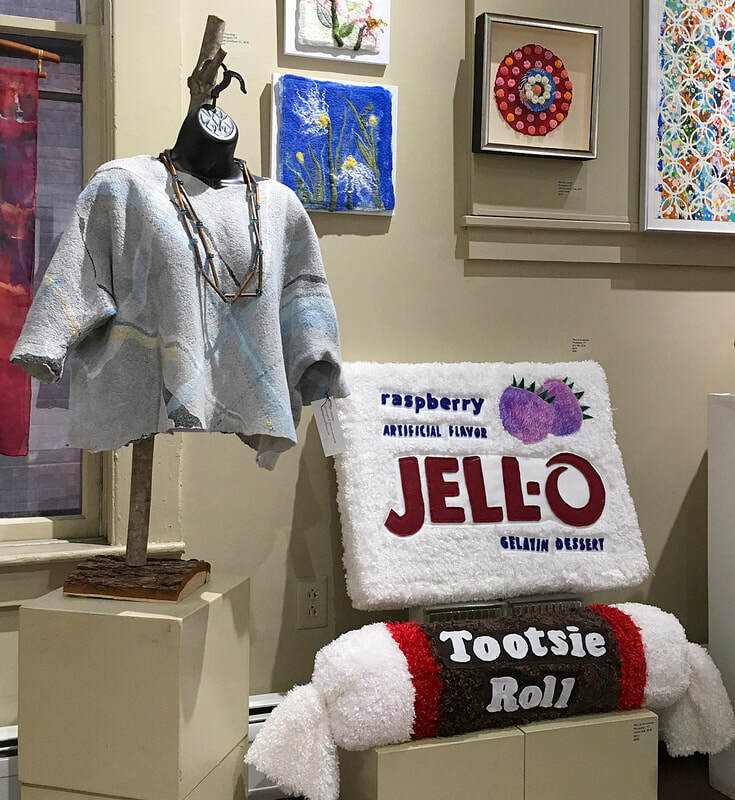 Enjoy this 3-floor fine art and craft extravaganza with work created by more than 80 Studio Place Arts (SPA) member artists, and CELEBRATE 3X: (1) Find one-of-a-kind handmade gifts & treasures; (2) Support local artists and crafts people and fortify our local economy; & (3) Boost the programs for all ages and abilities at SPA, your nonprofit art center. 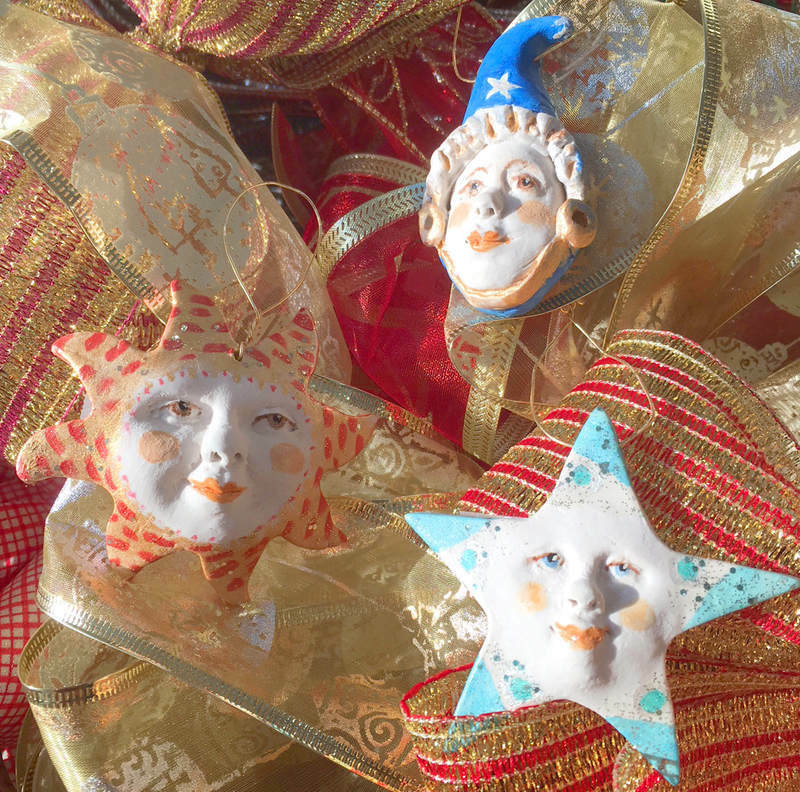 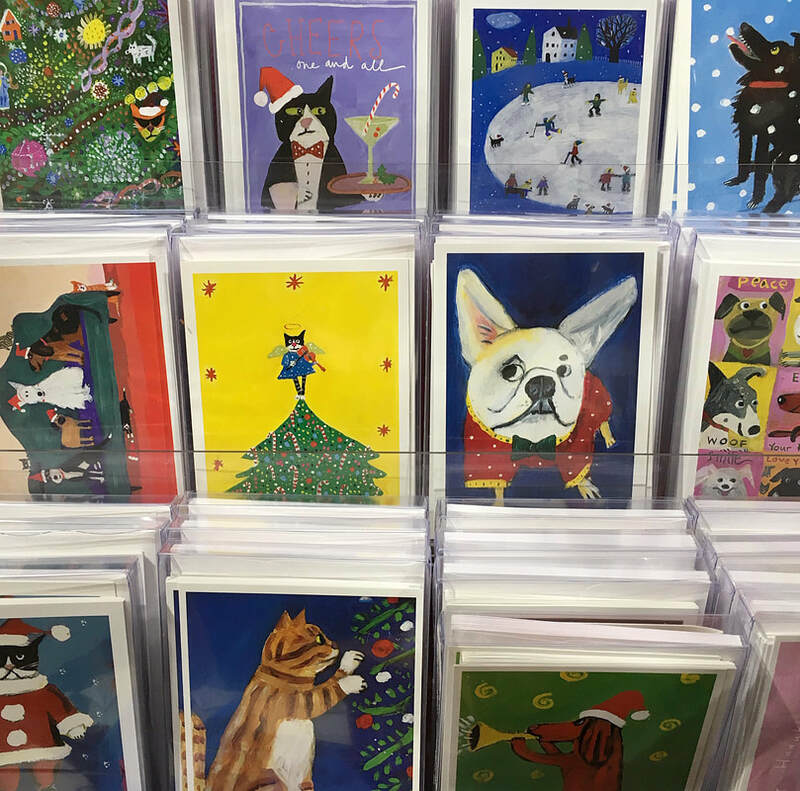 You’ll find special items for the household, holiday ornaments, jewelry, wearables, cards, and much more. 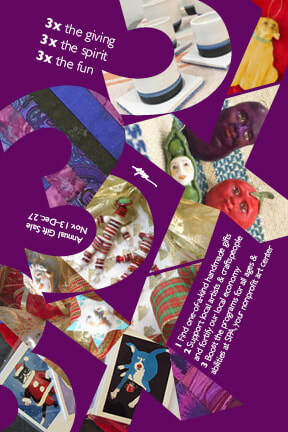 And take them home for others (or yourself)! 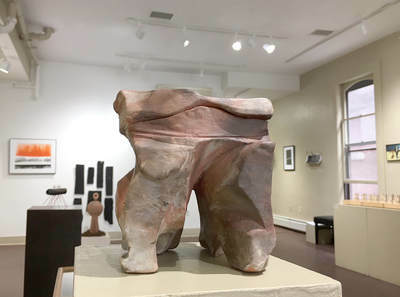 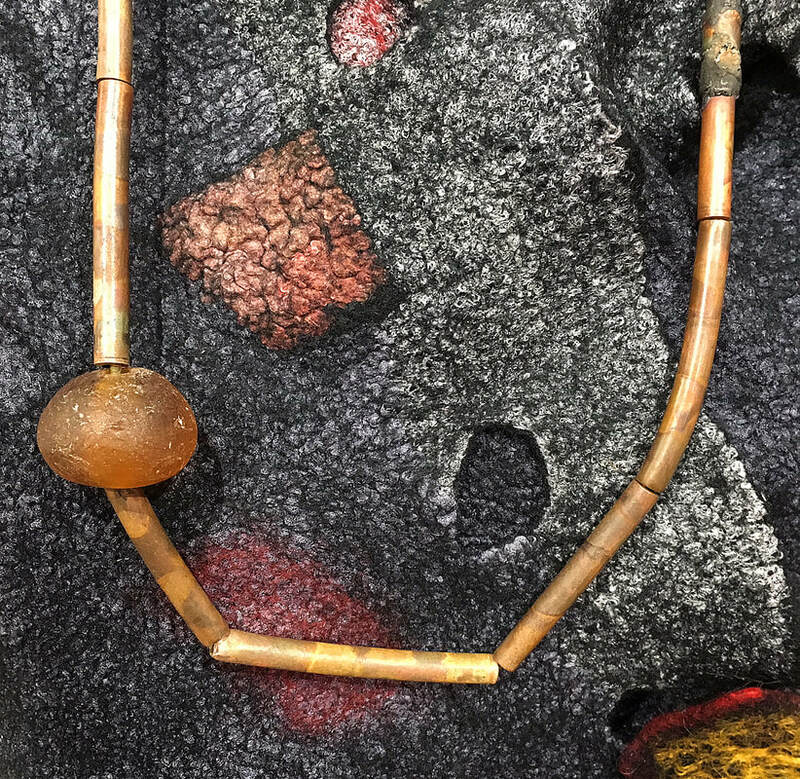 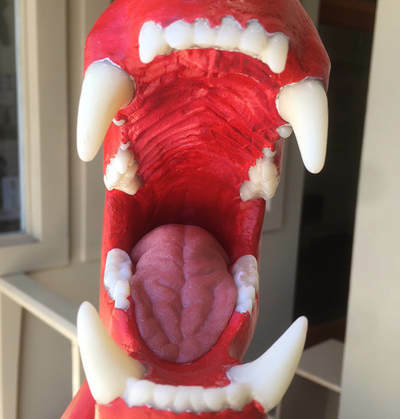 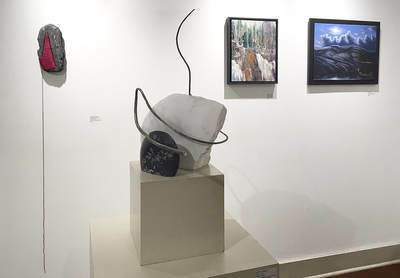 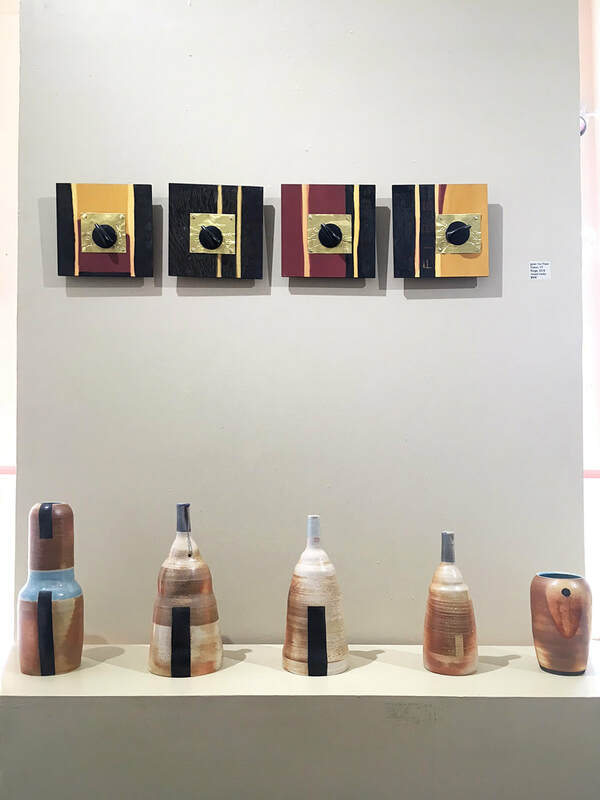 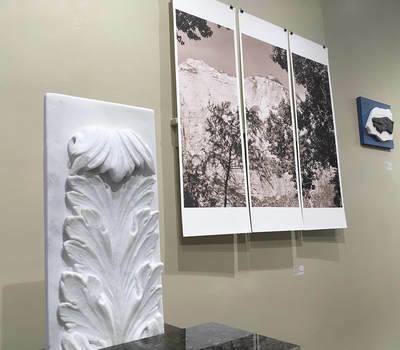 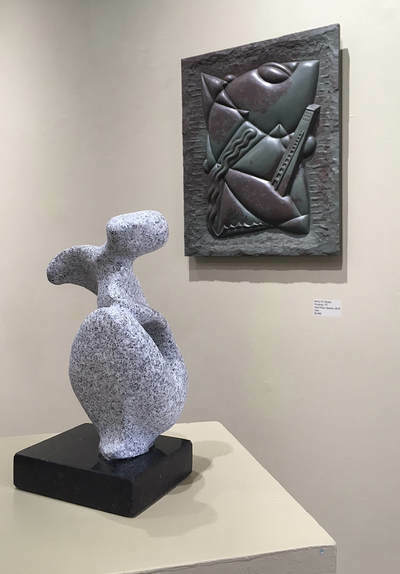 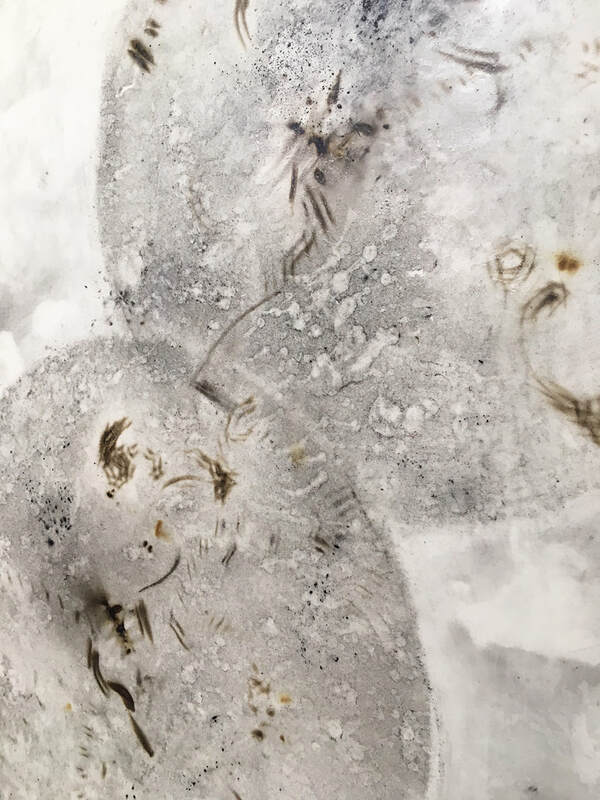 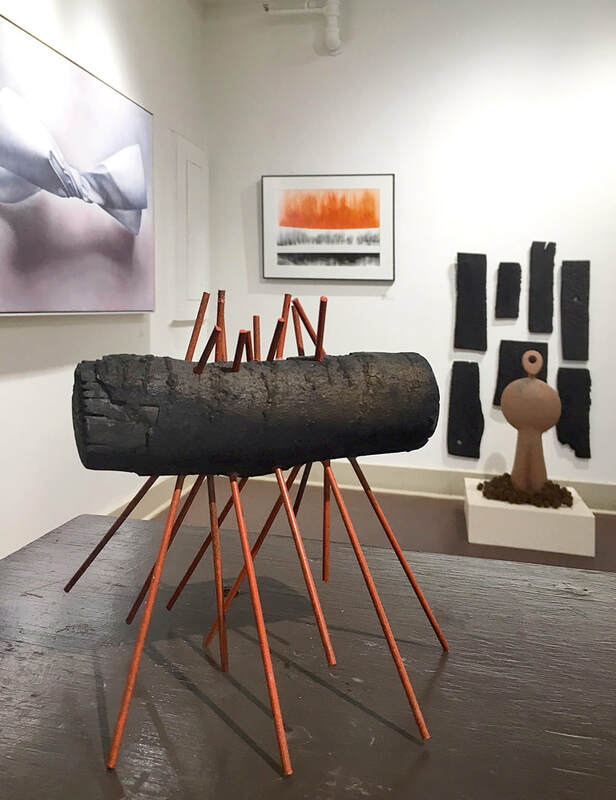 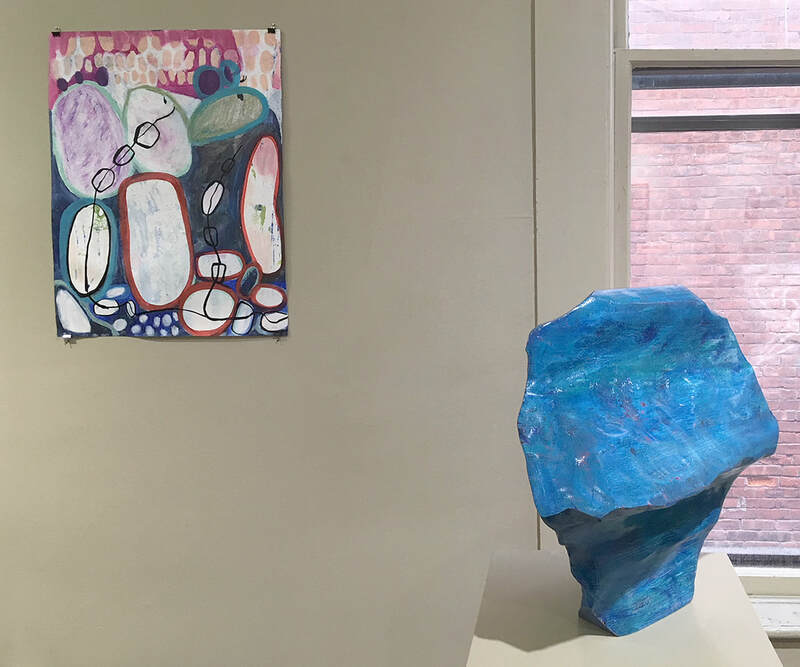 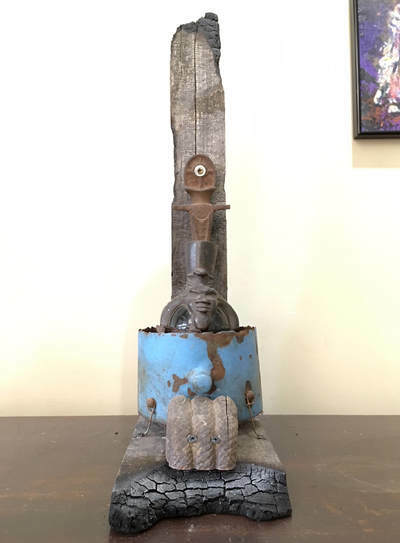 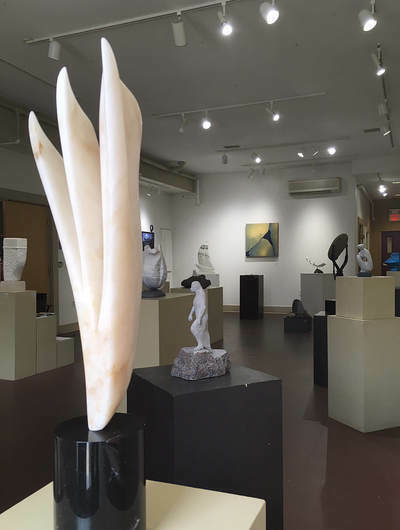 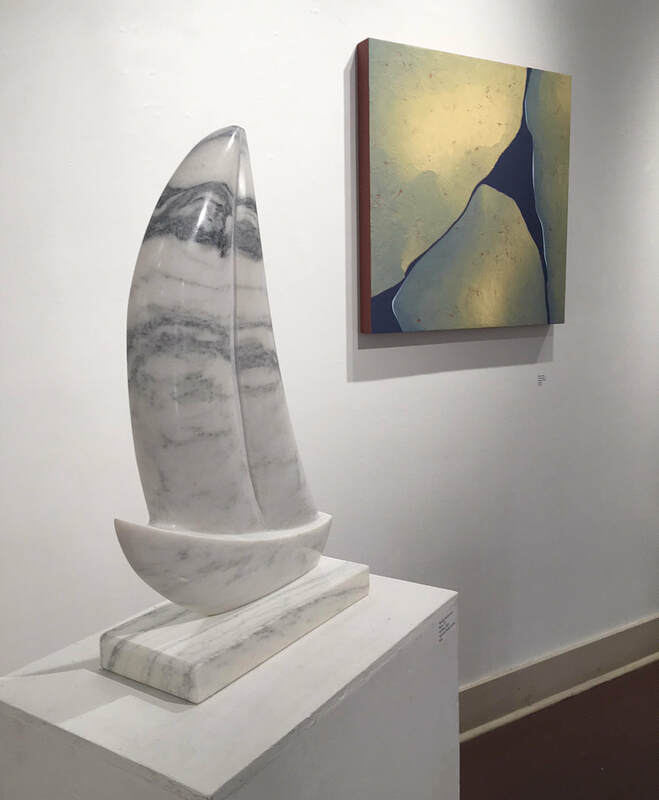 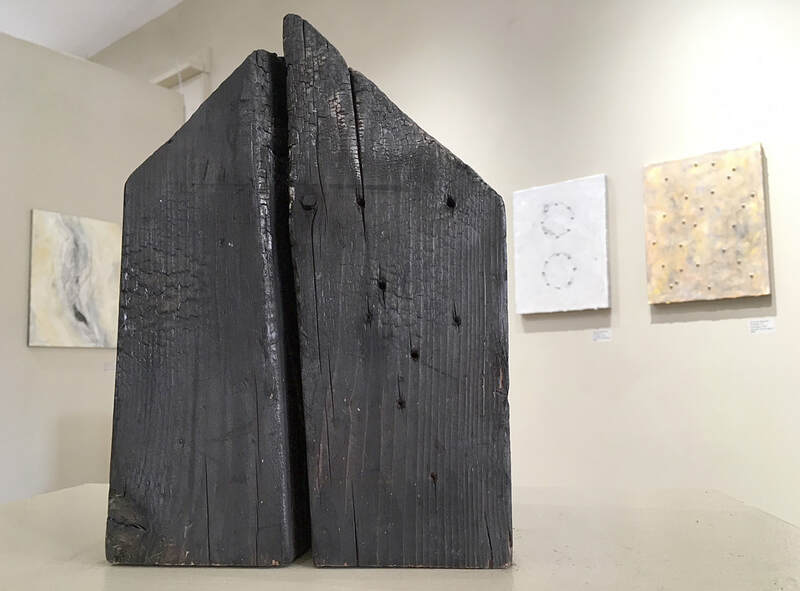 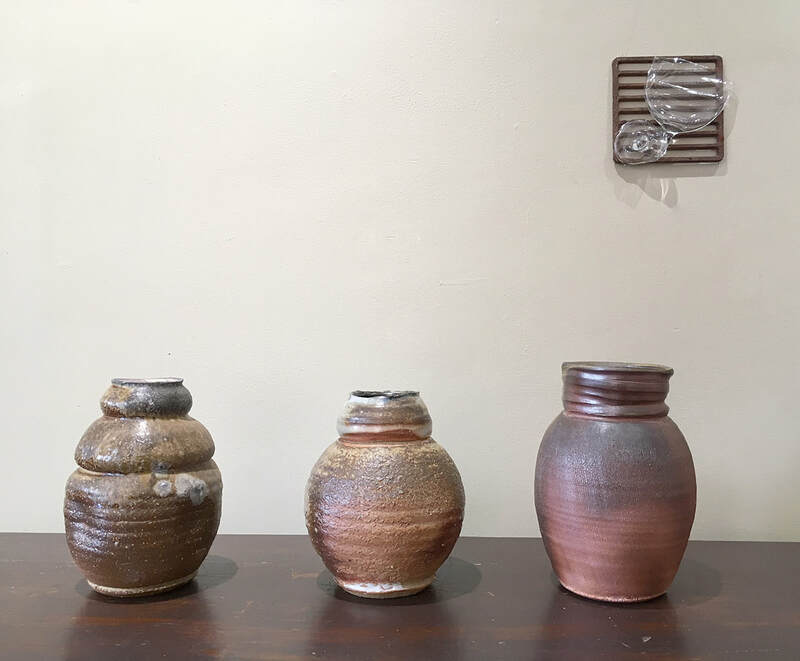 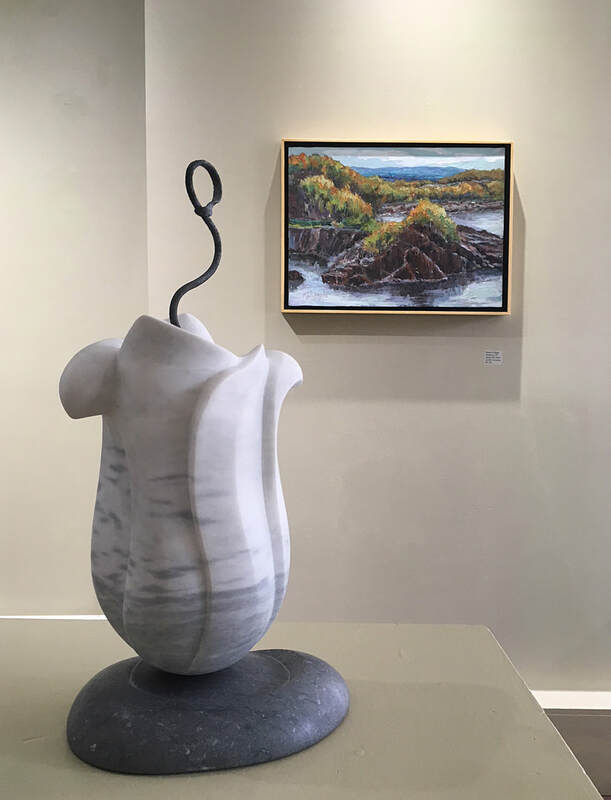 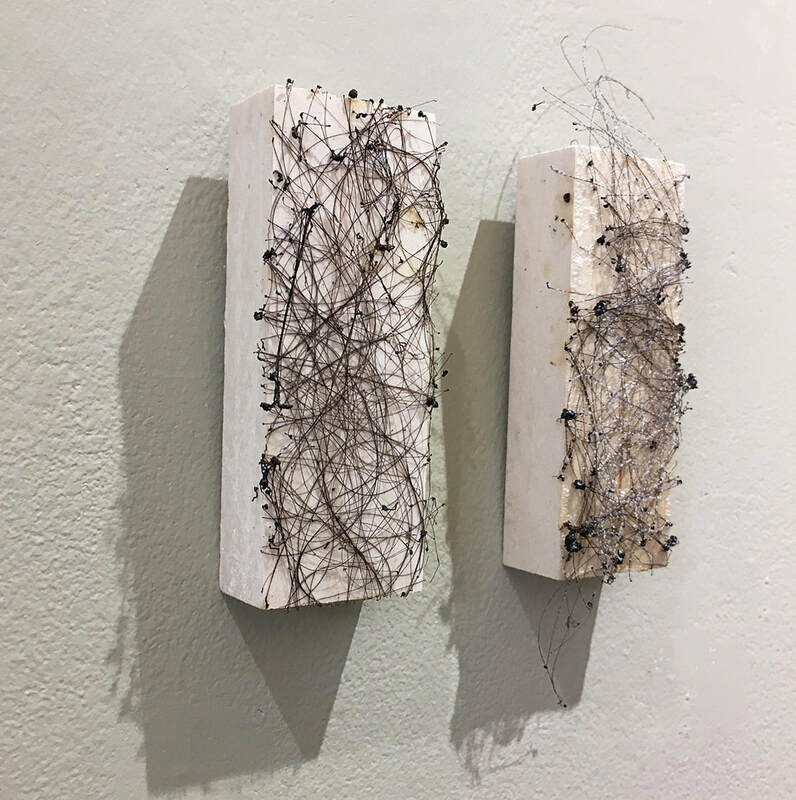 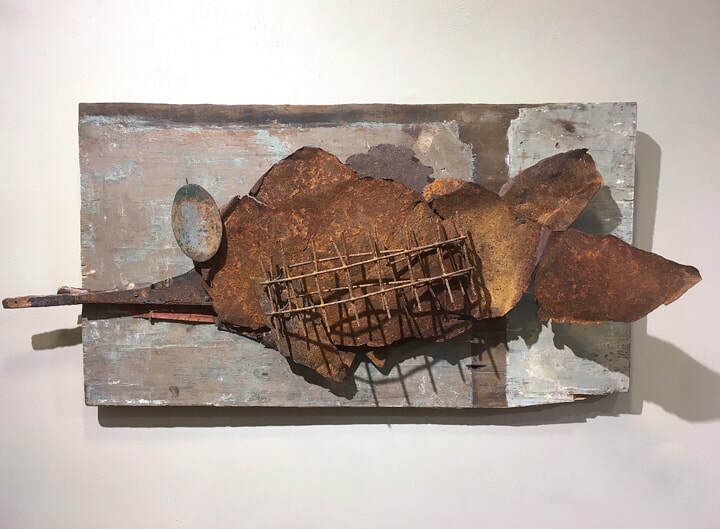 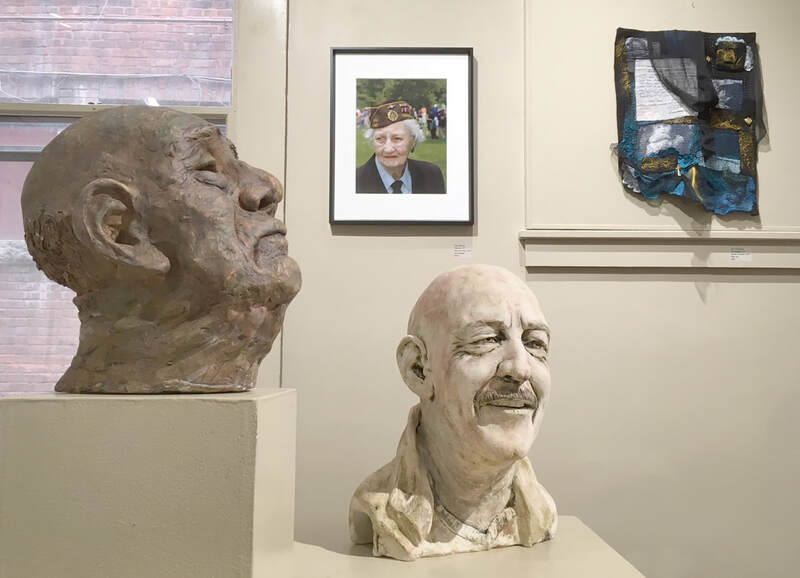 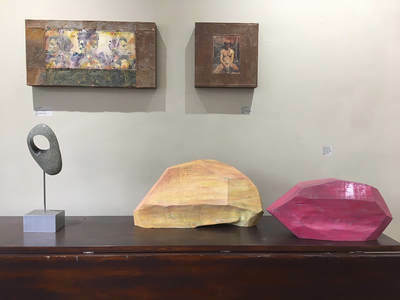 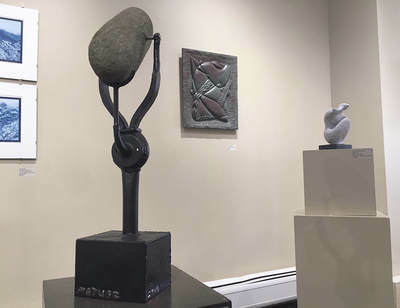 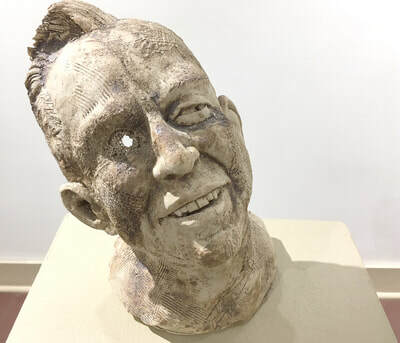 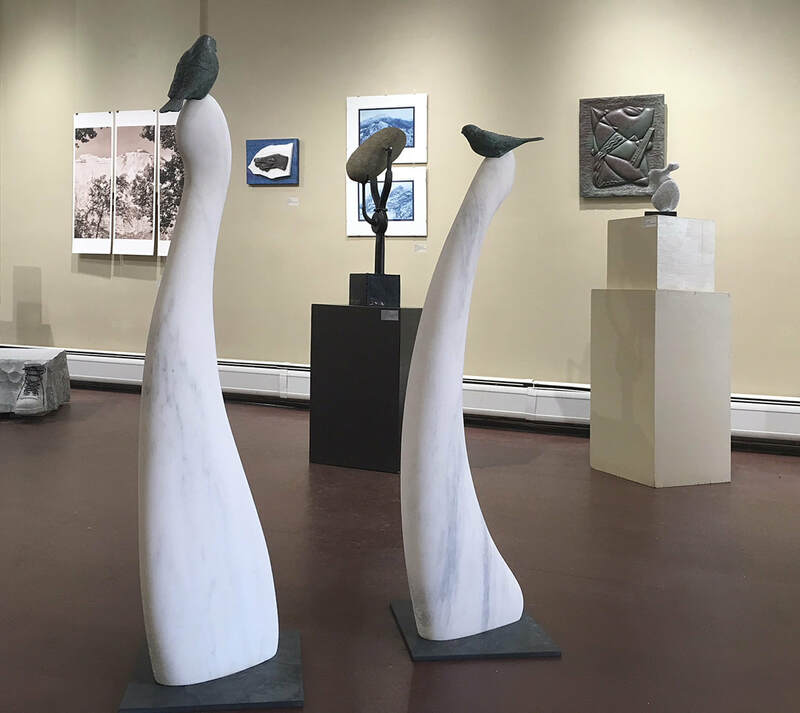 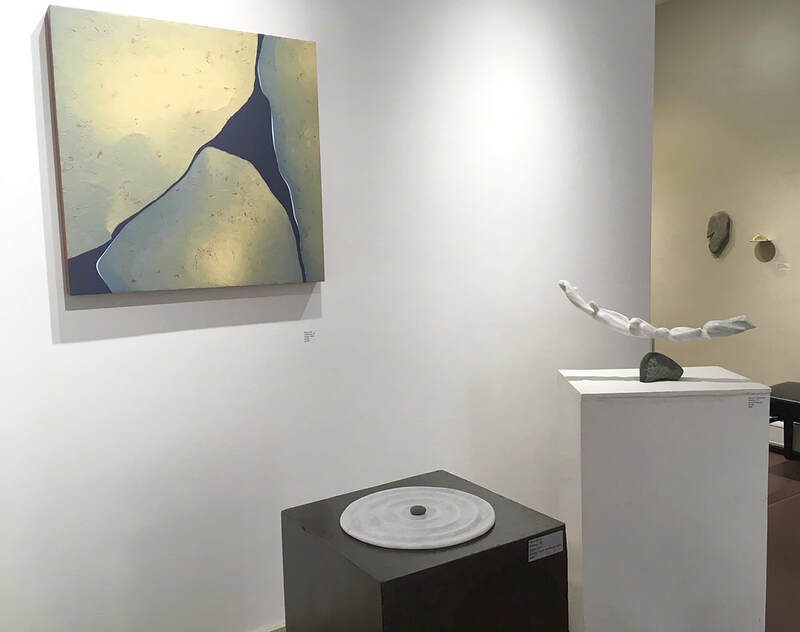 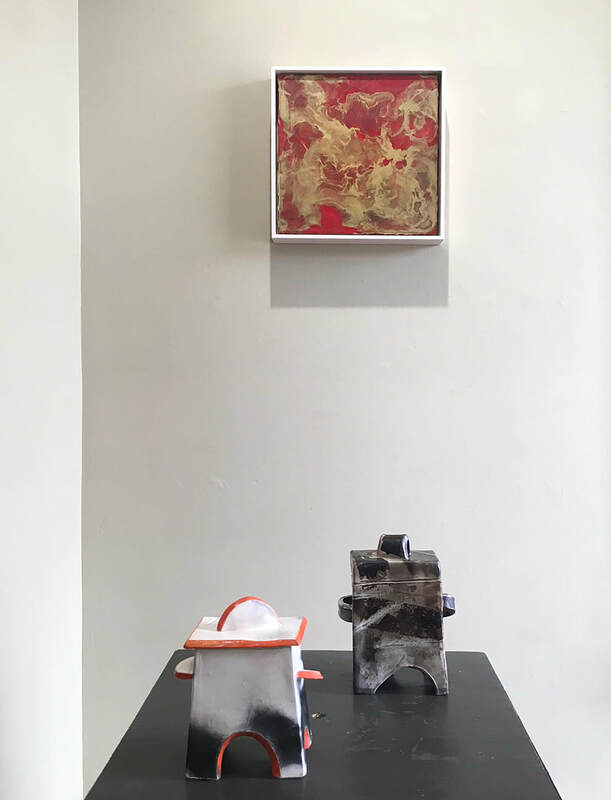 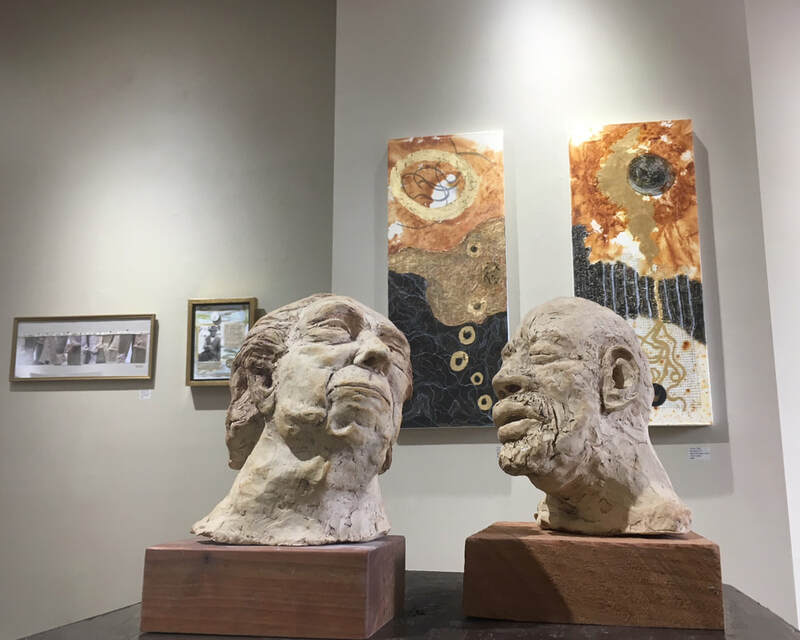 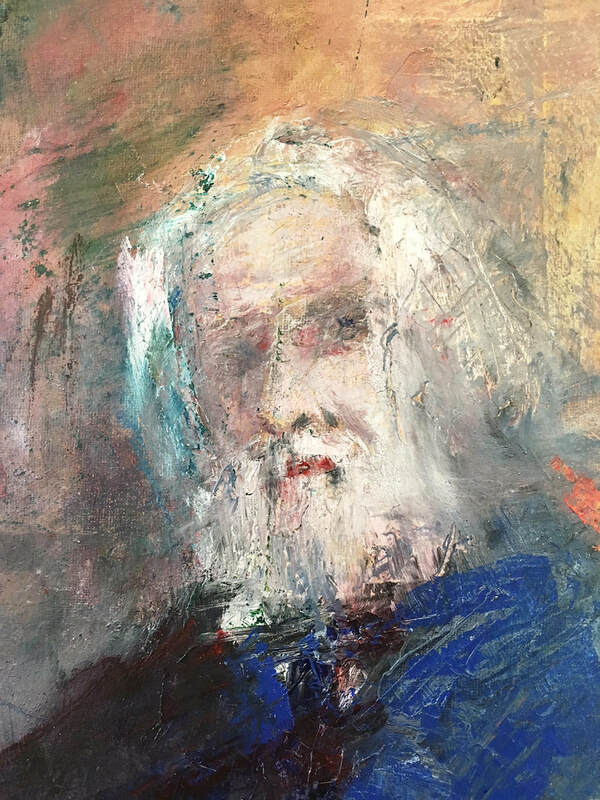 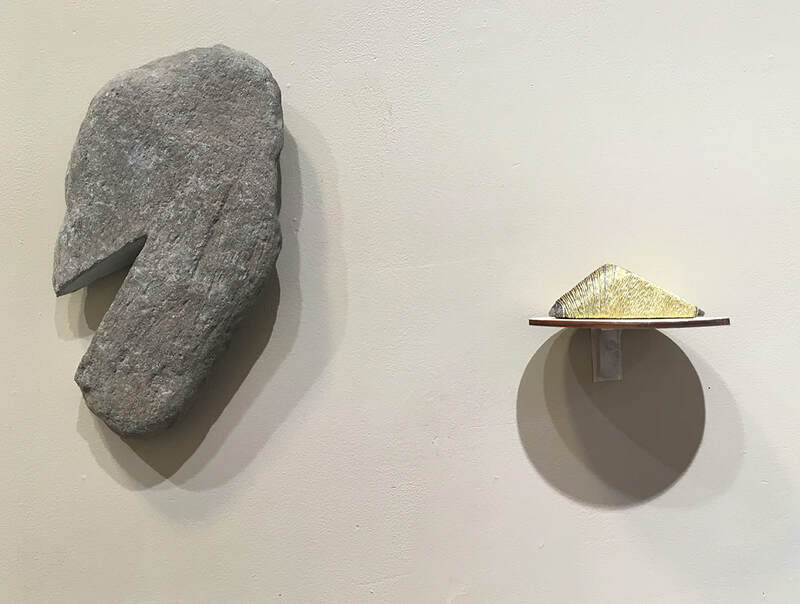 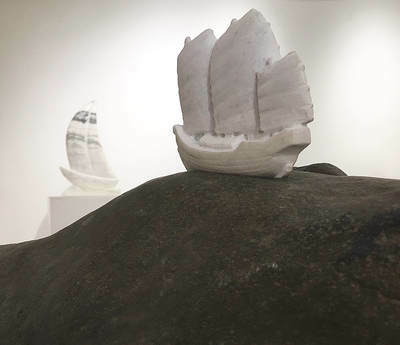 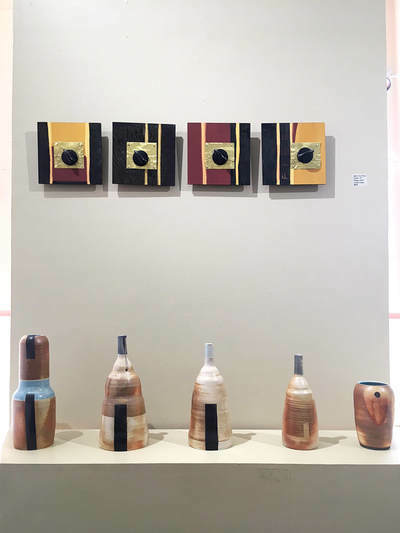 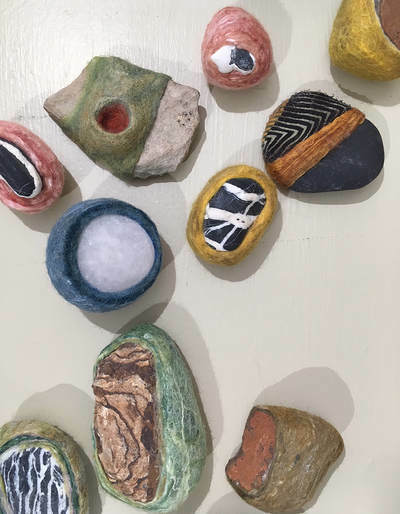 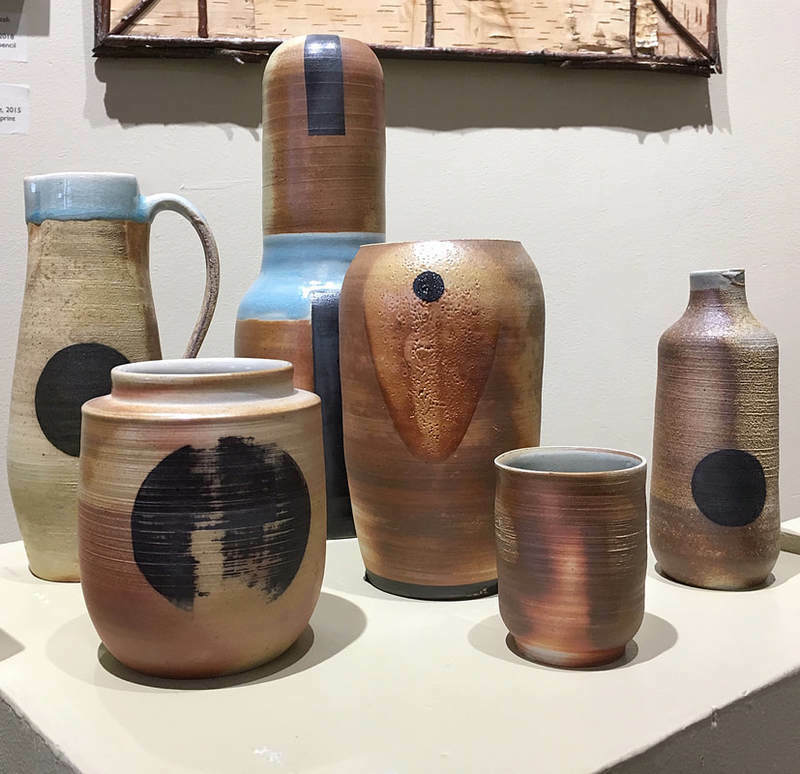 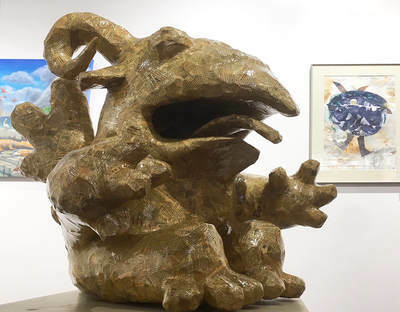 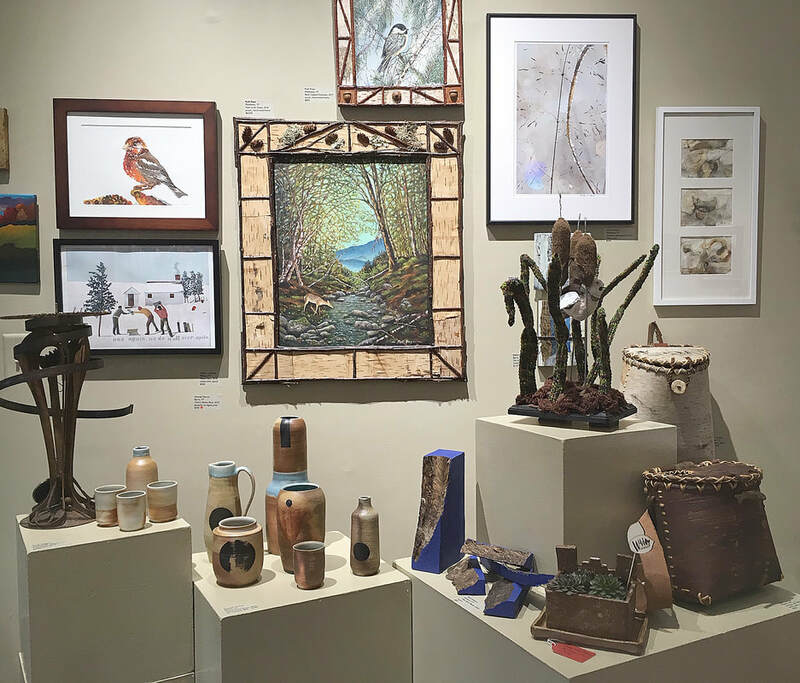 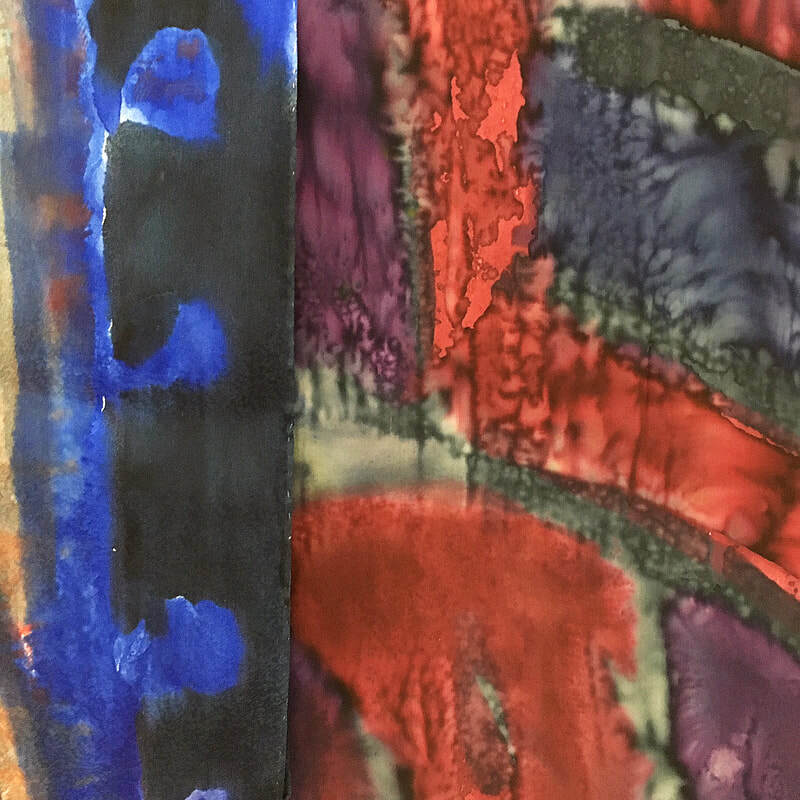 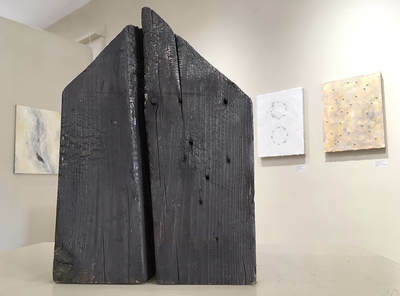 Expanded hours in Dec.
Rock Solid XVIII - This annual stone sculpture exhibit, since 2000, showcases stone sculptures and assemblages by area artists. 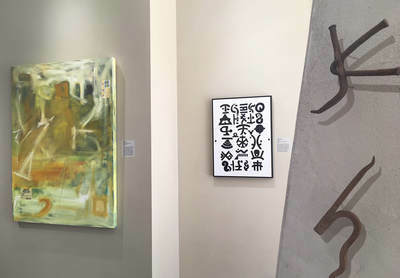 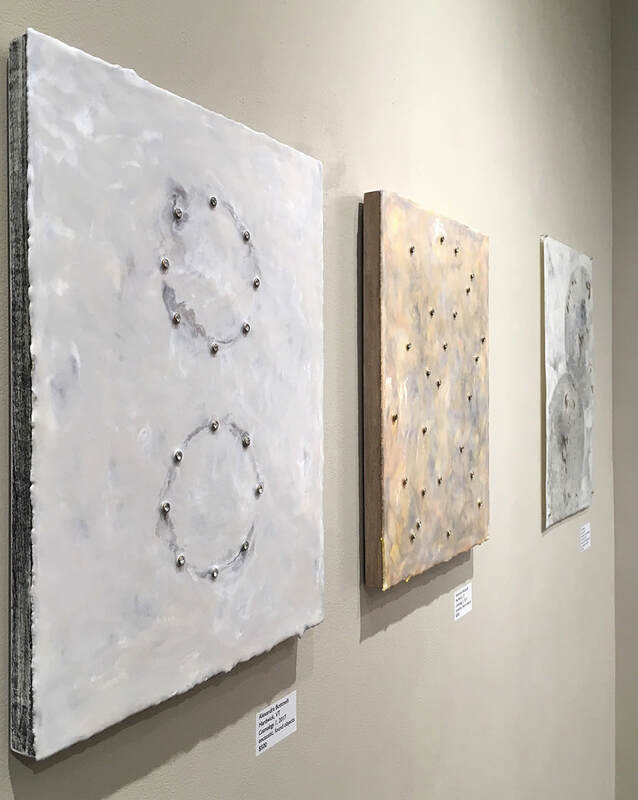 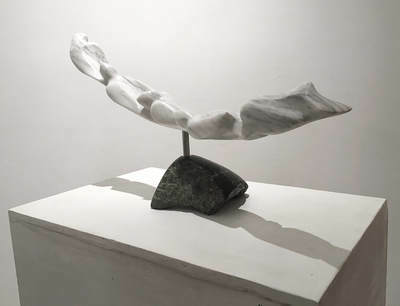 The show includes 2-D works that show the beautiful qualities of stone. 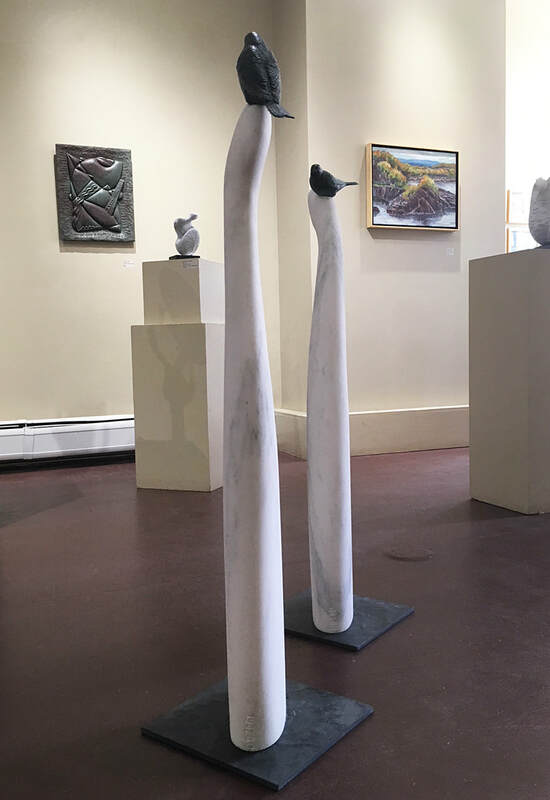 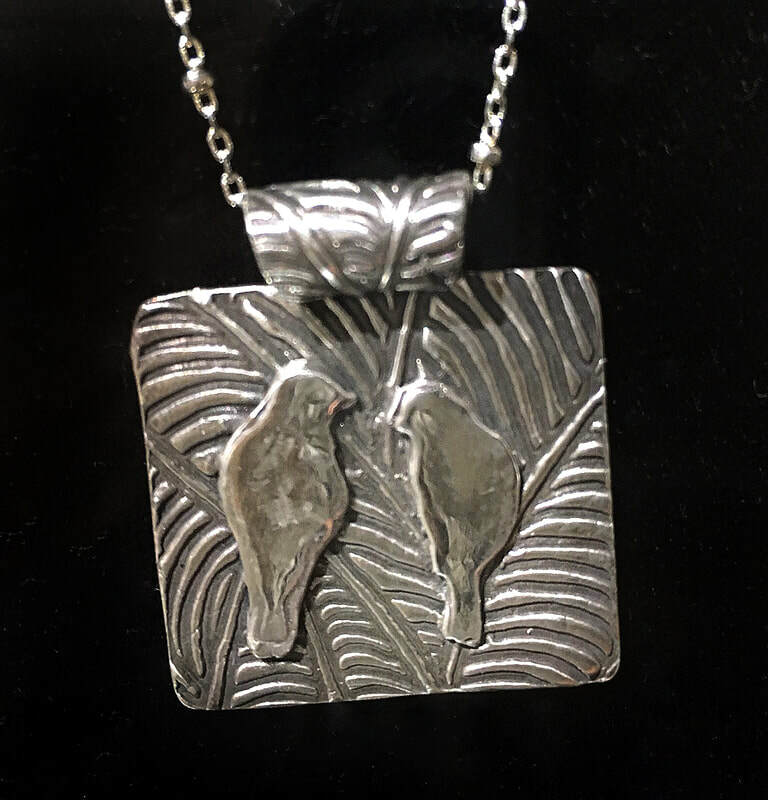 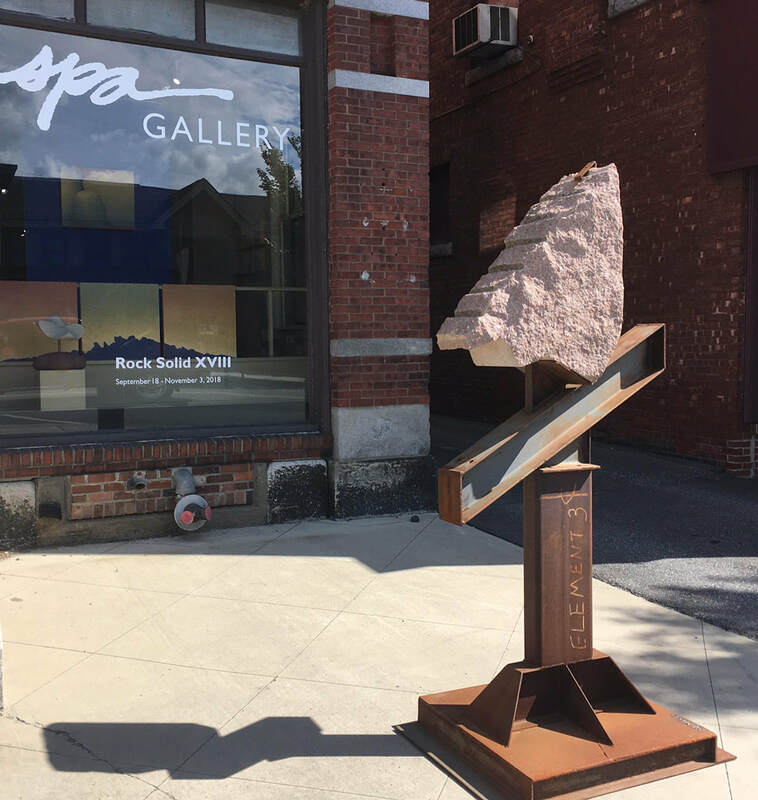 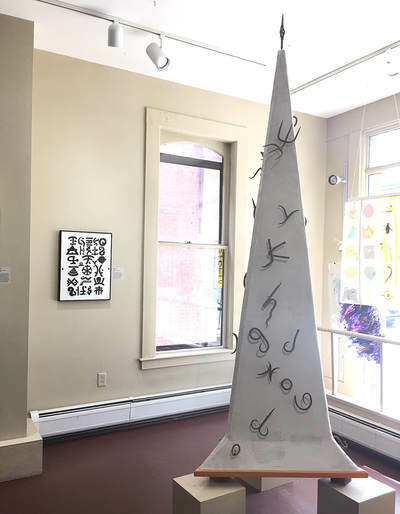 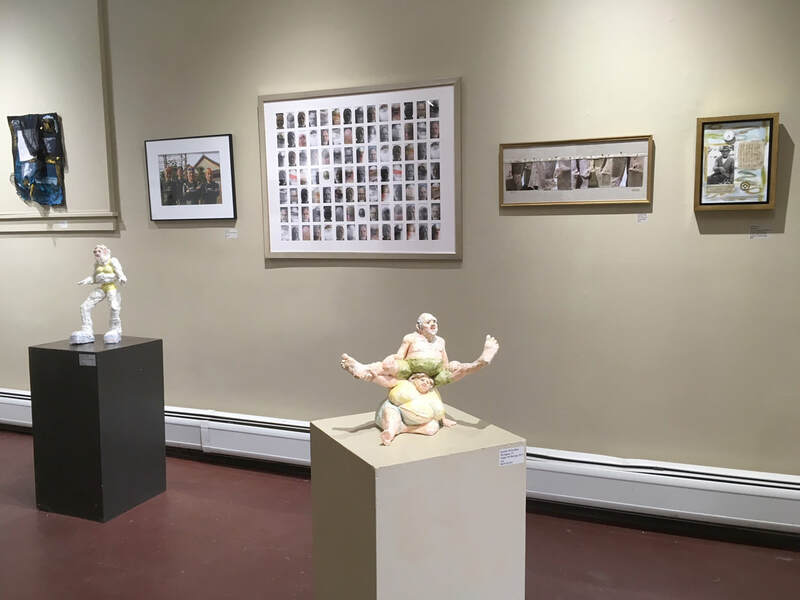 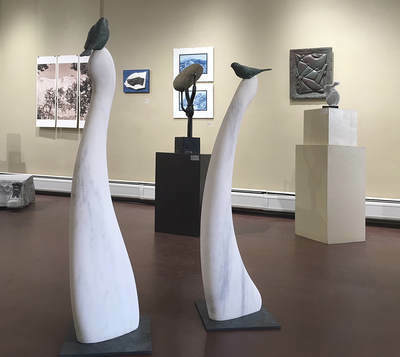 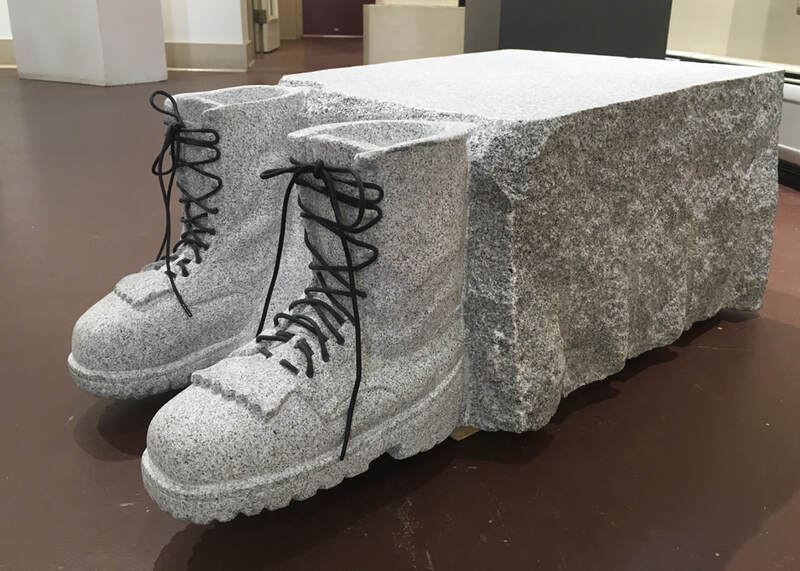 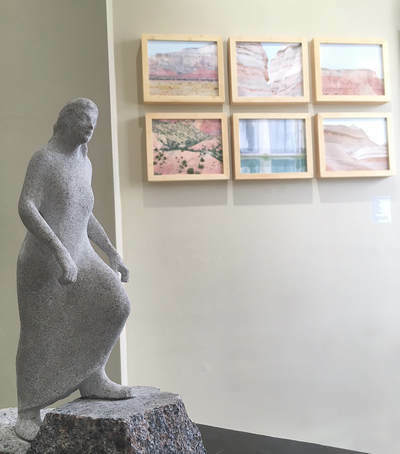 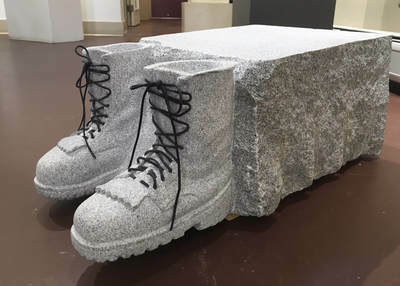 Additionally, visitors are invited to take the Art Stroll around downtown, historic Barre to view a variety of sculptures created from granite (at this website, click on "visit" for a slide show and link to the map). 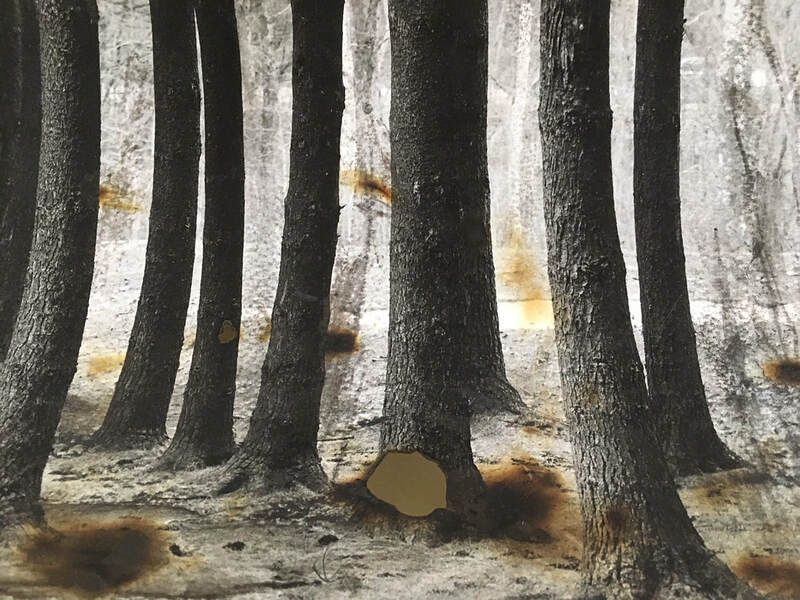 Scorched - Artwork that feels the burn. 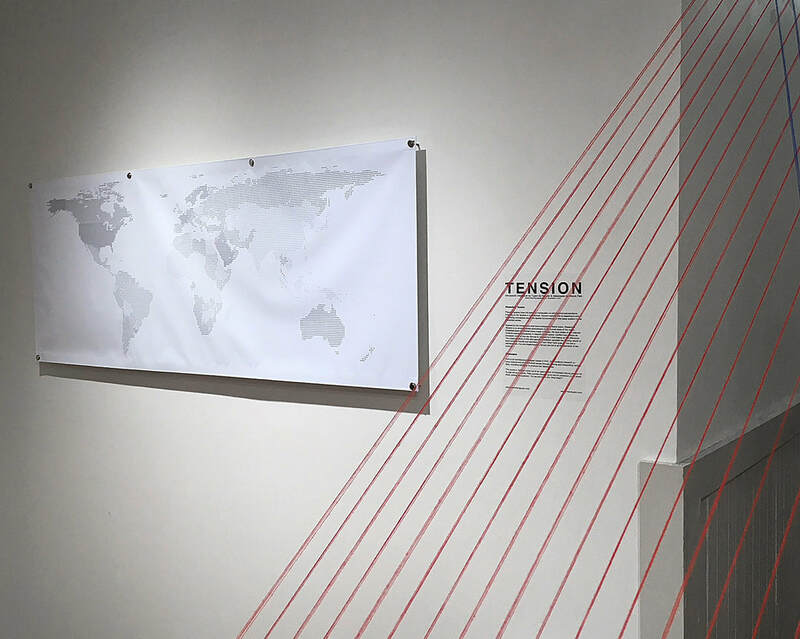 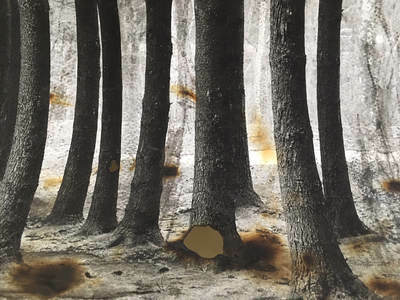 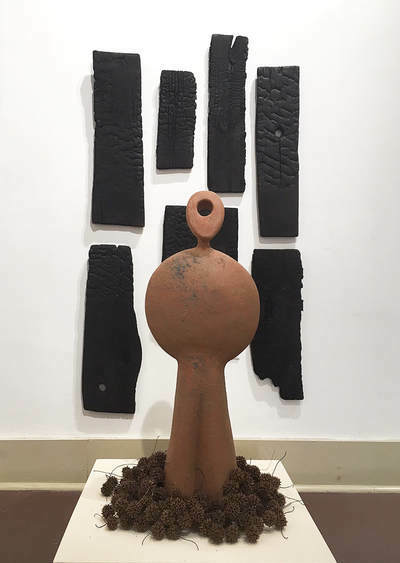 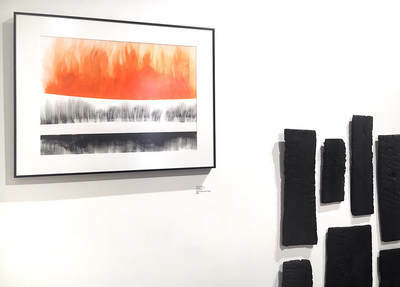 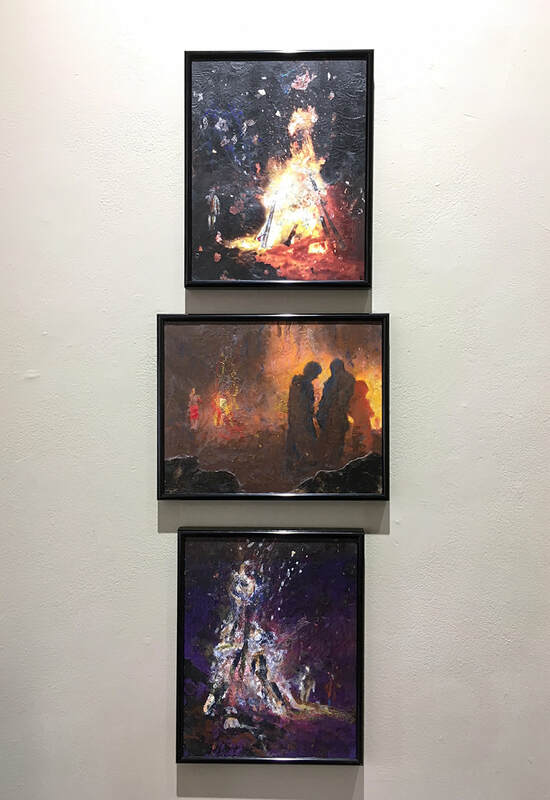 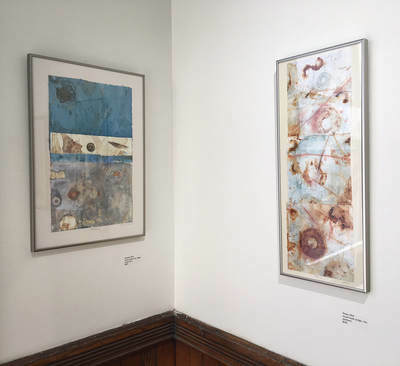 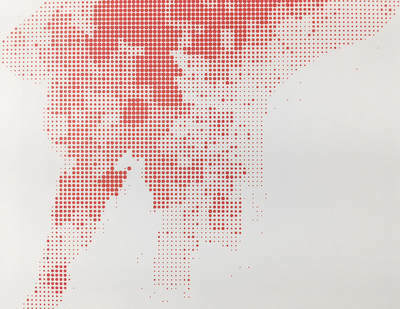 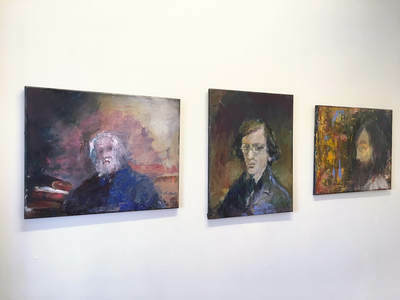 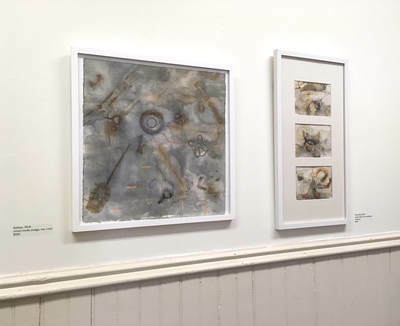 A group show illustrating the effects of heat and fire. 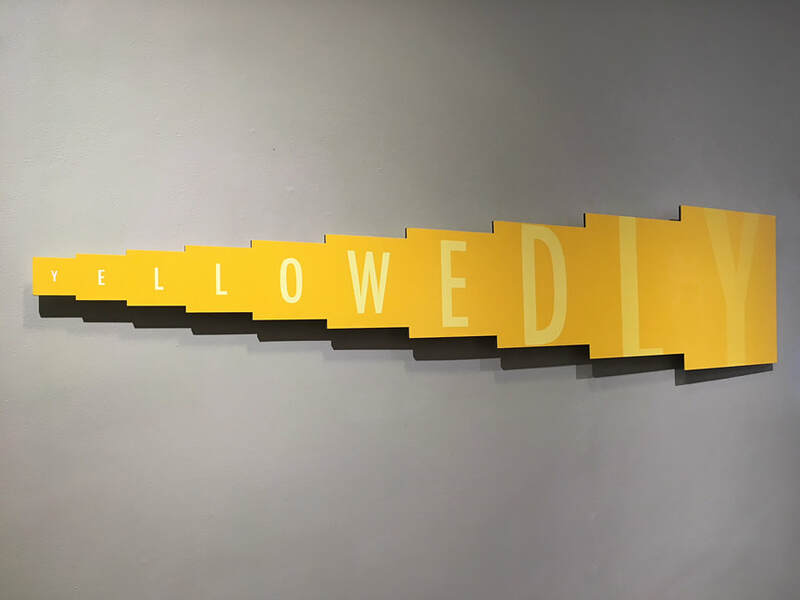 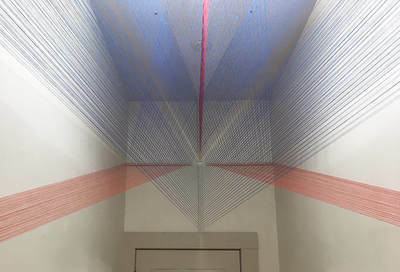 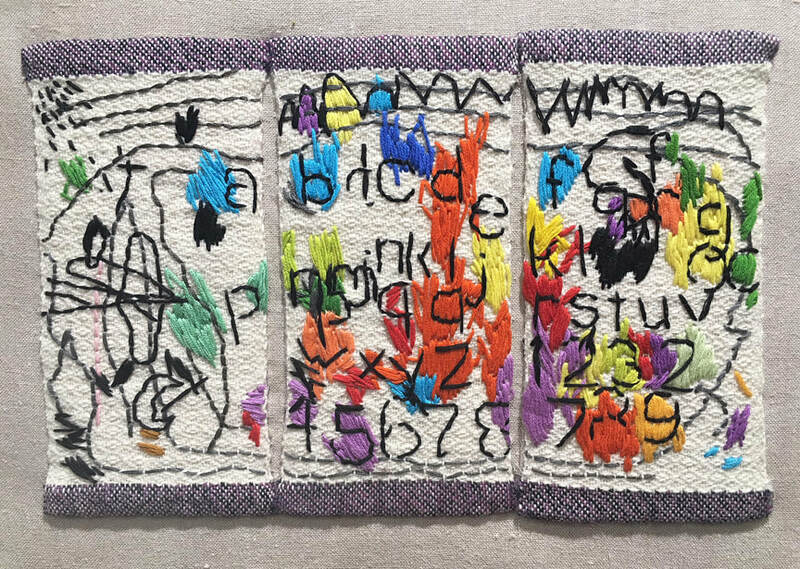 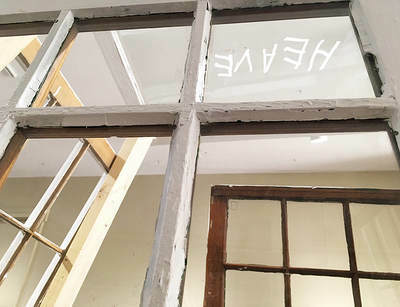 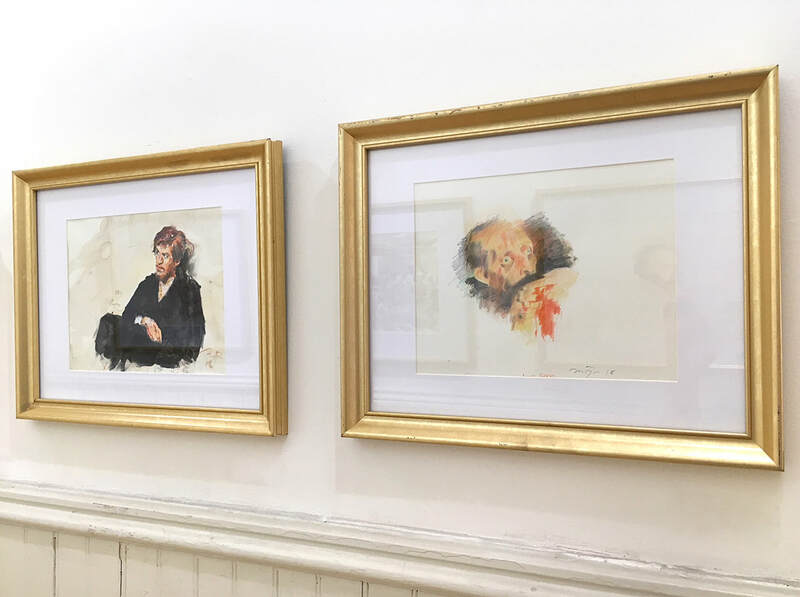 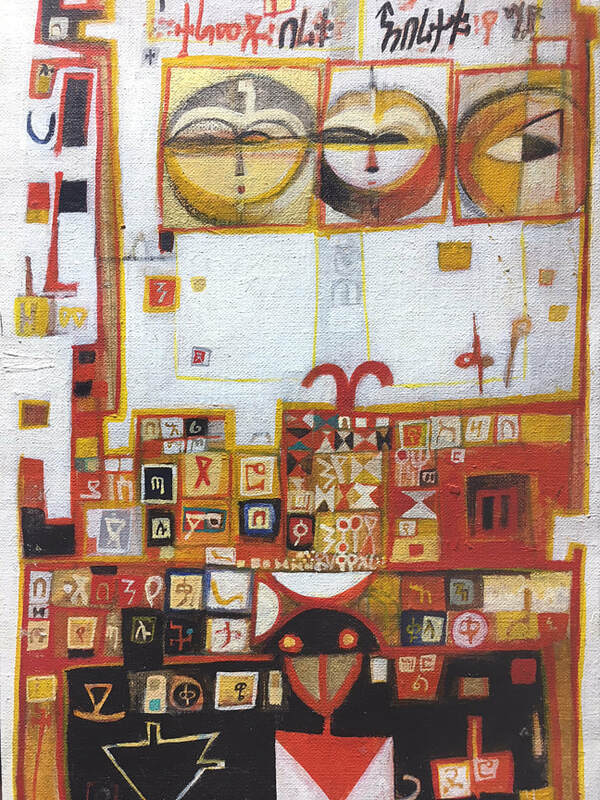 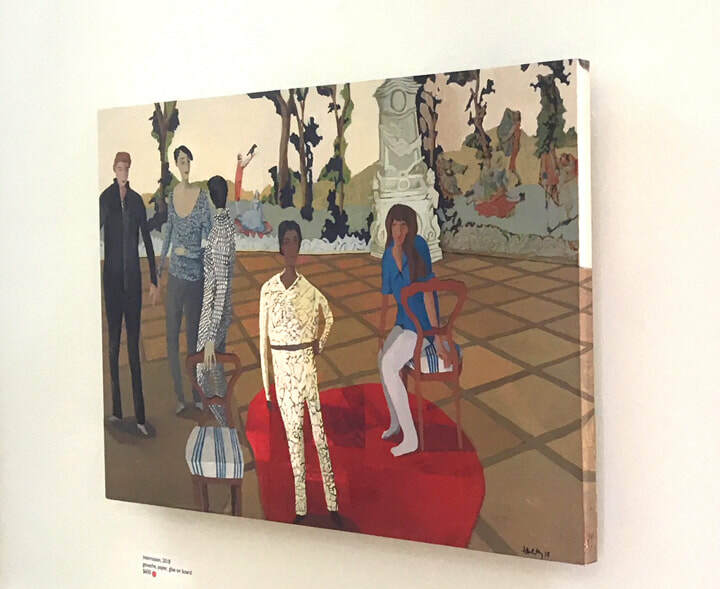 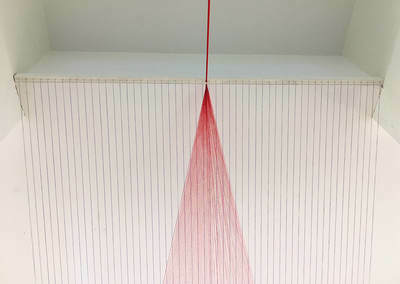 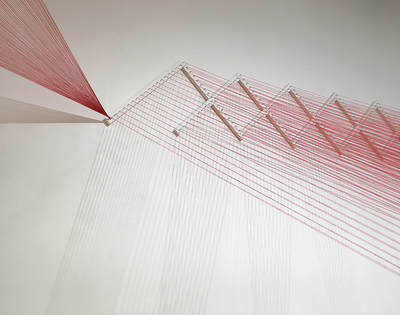 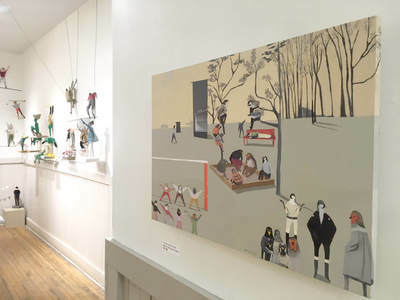 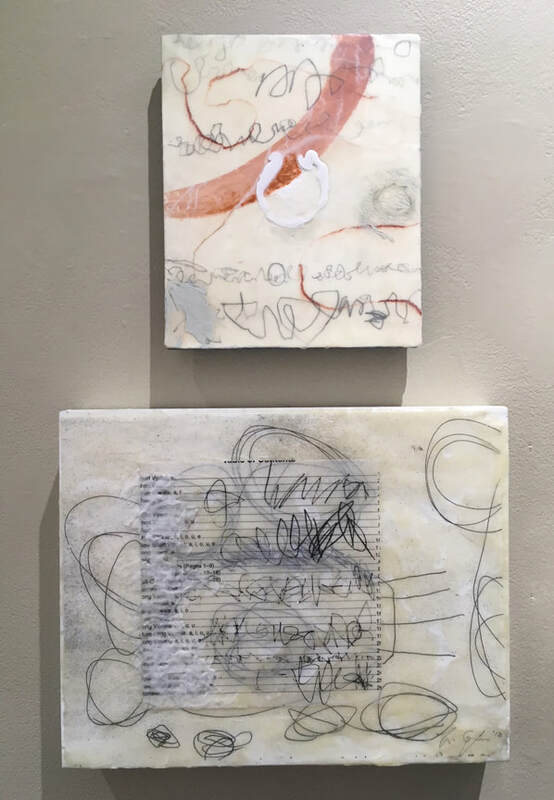 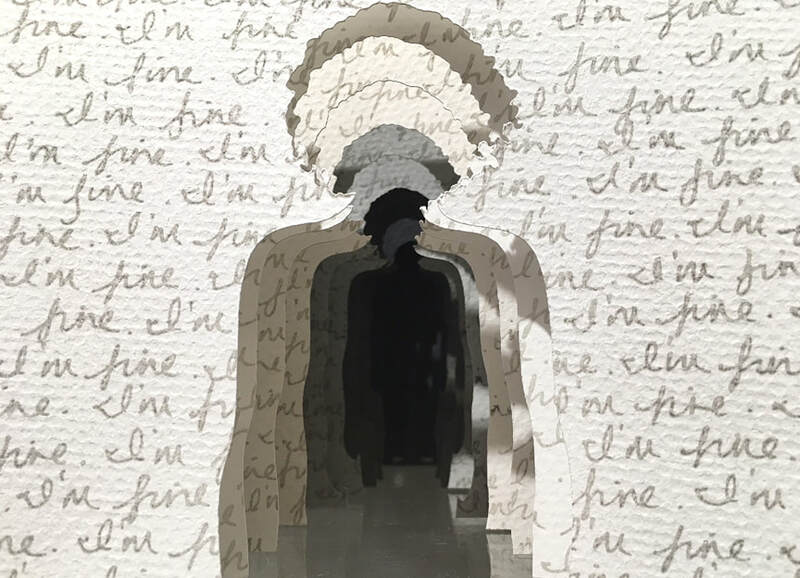 Main Floor Gallery: Tell Me - Artwork that explores language and communication. 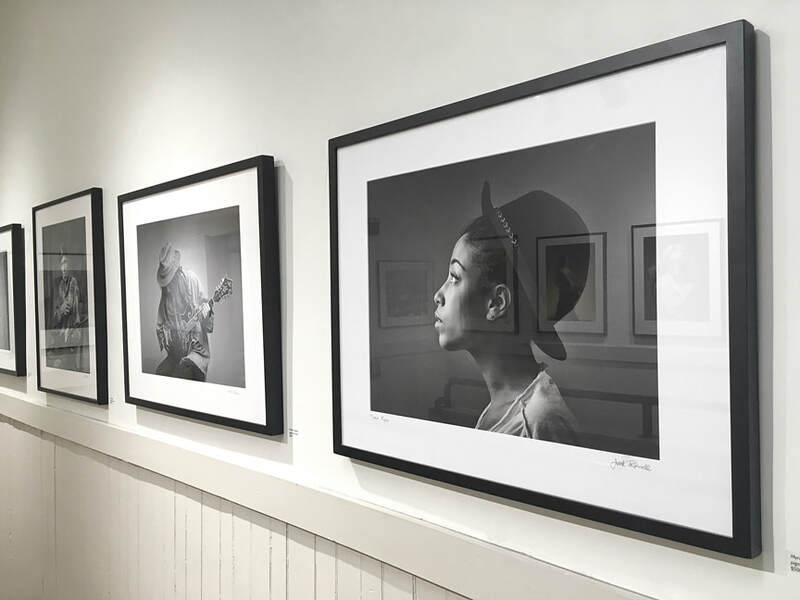 Curated by Janet Van Fleet. 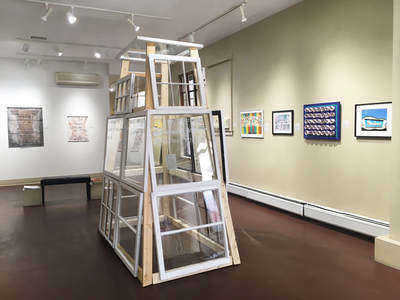 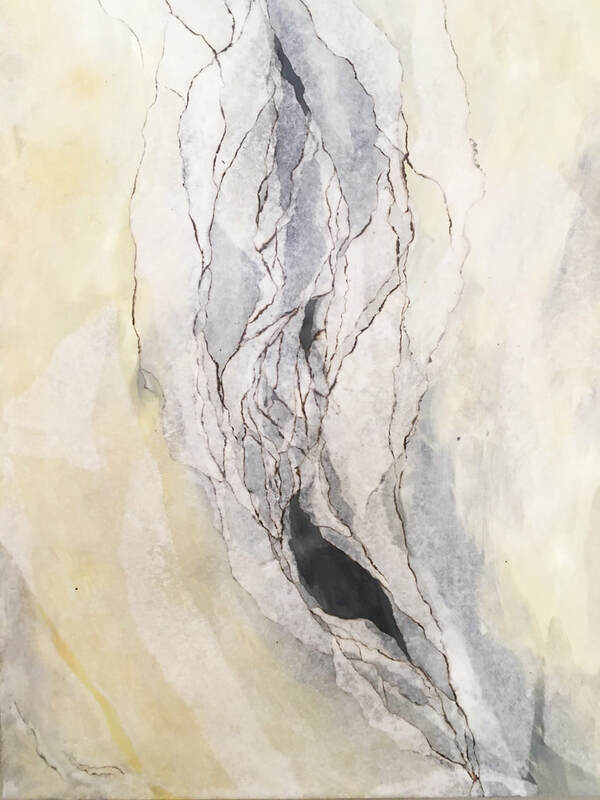 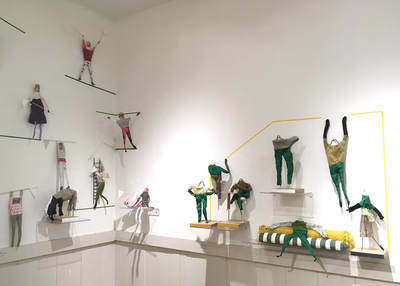 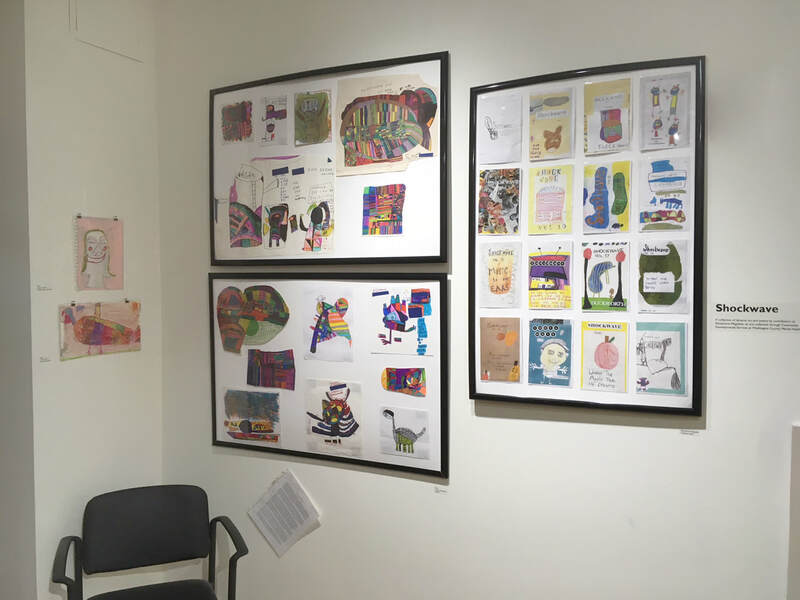 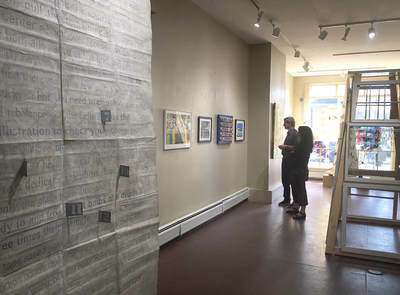 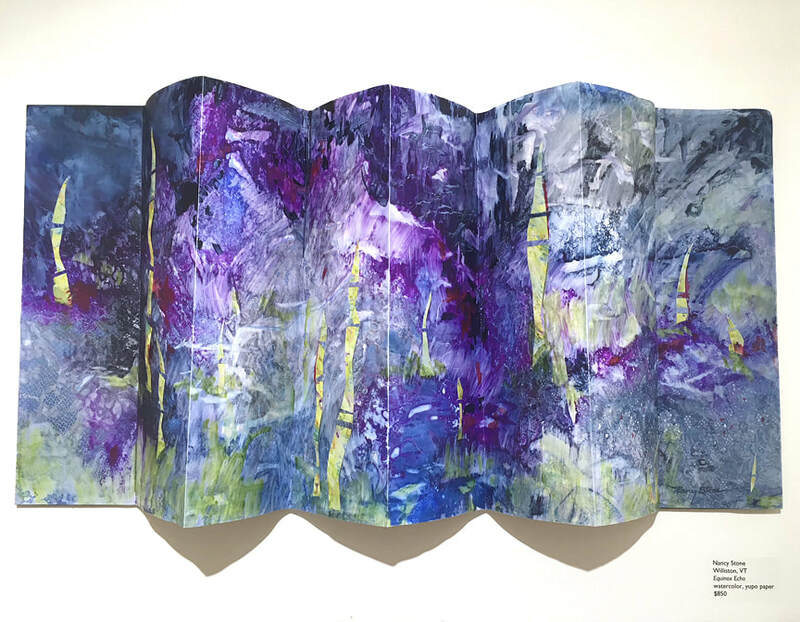 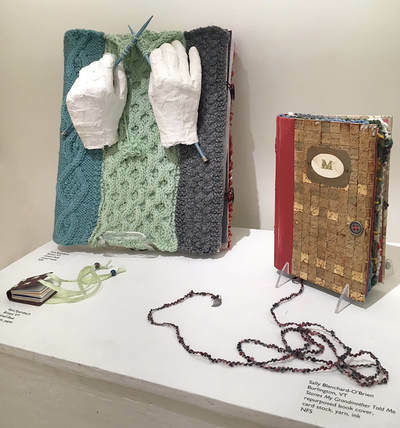 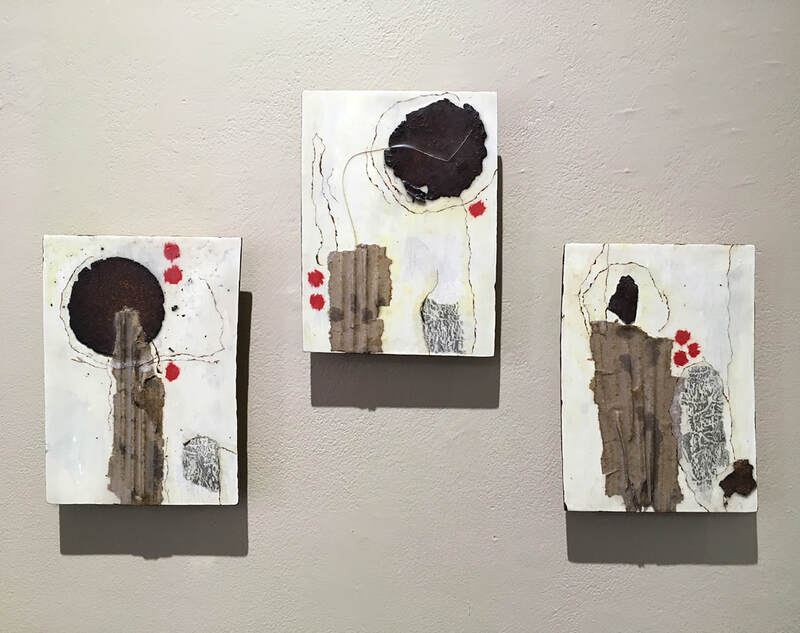 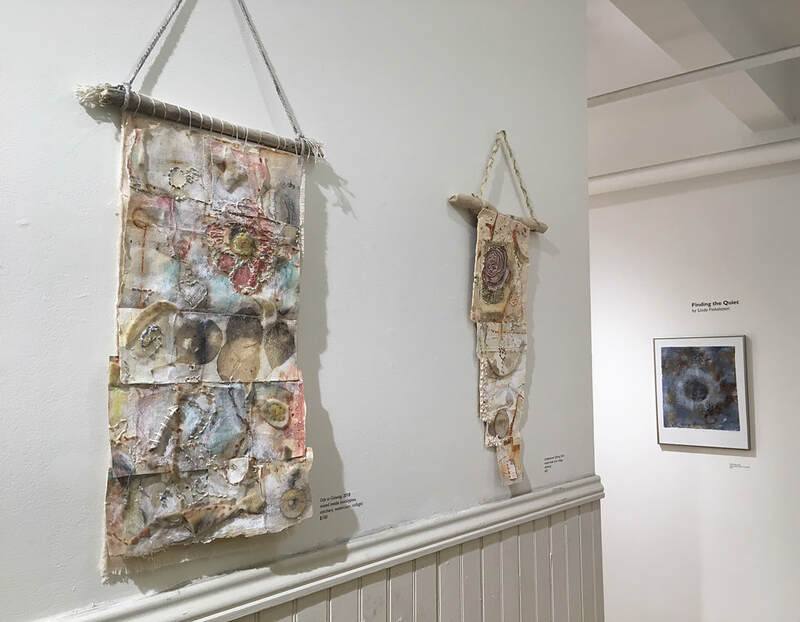 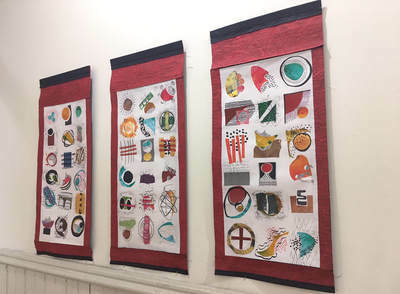 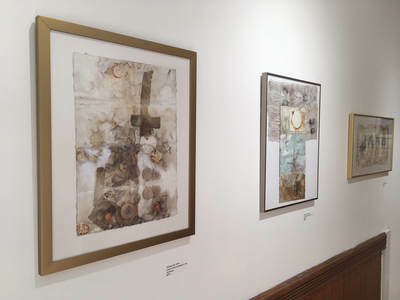 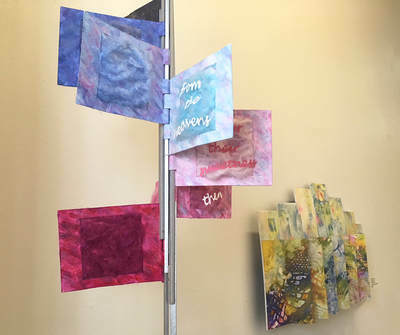 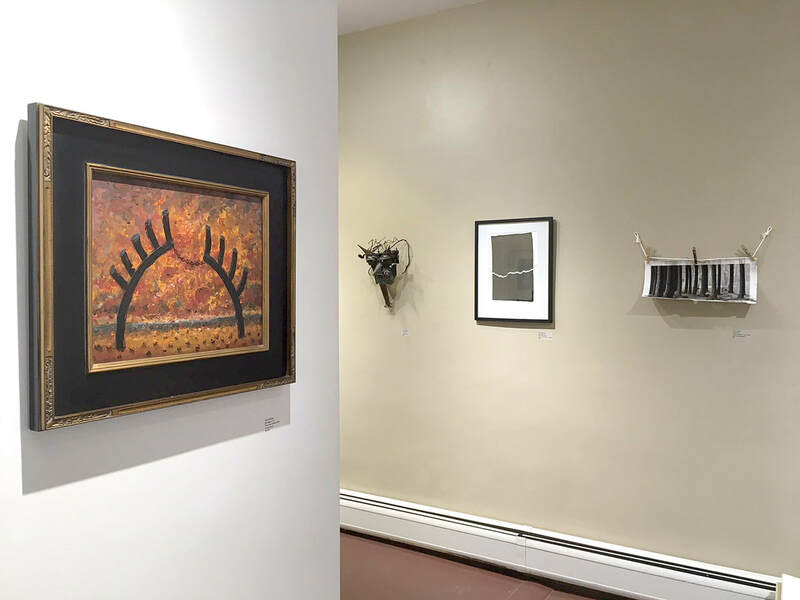 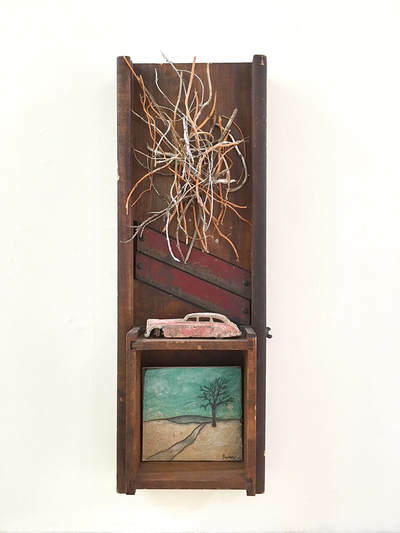 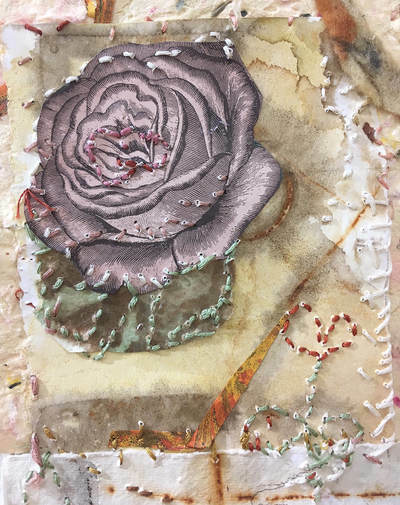 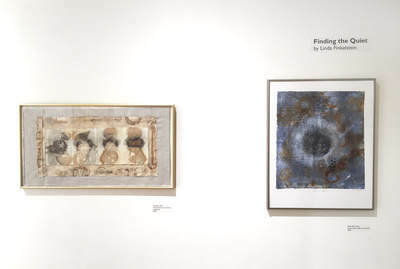 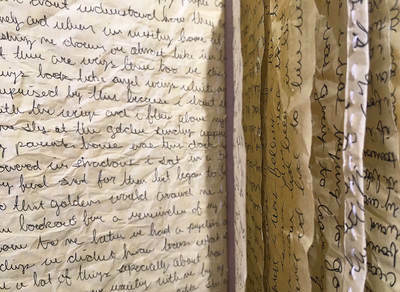 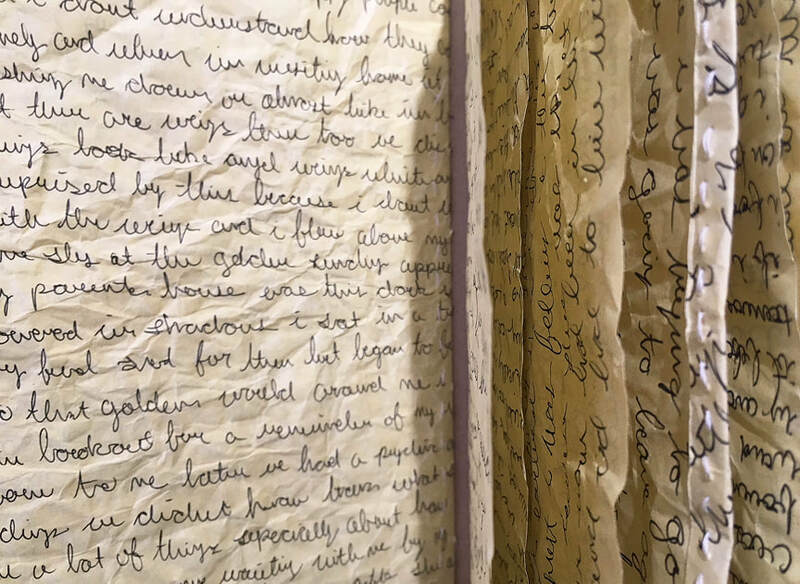 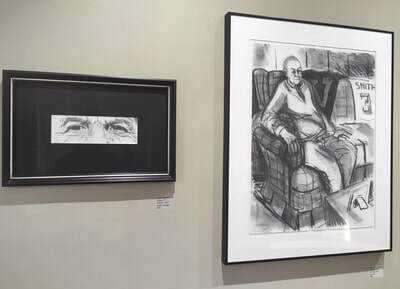 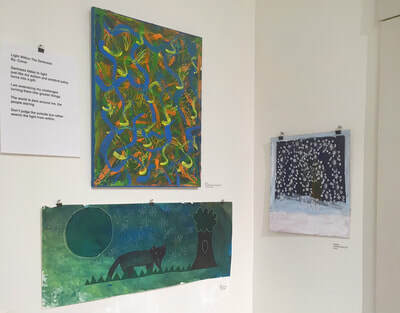 Second Floor Gallery: Beyond Words: Artworks by the Book Arts Guild of Vermont. 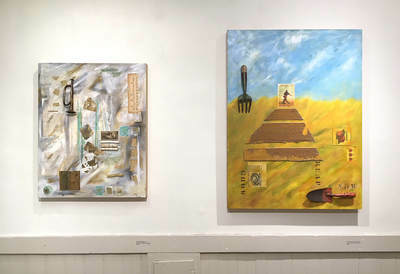 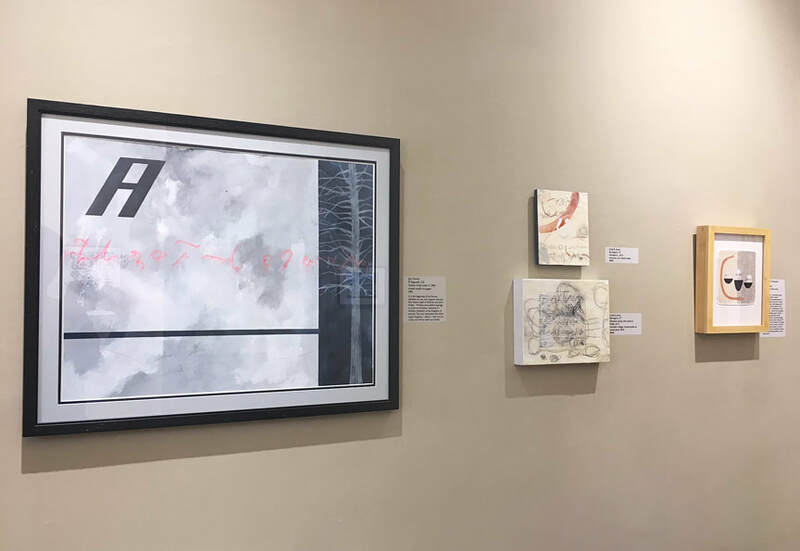 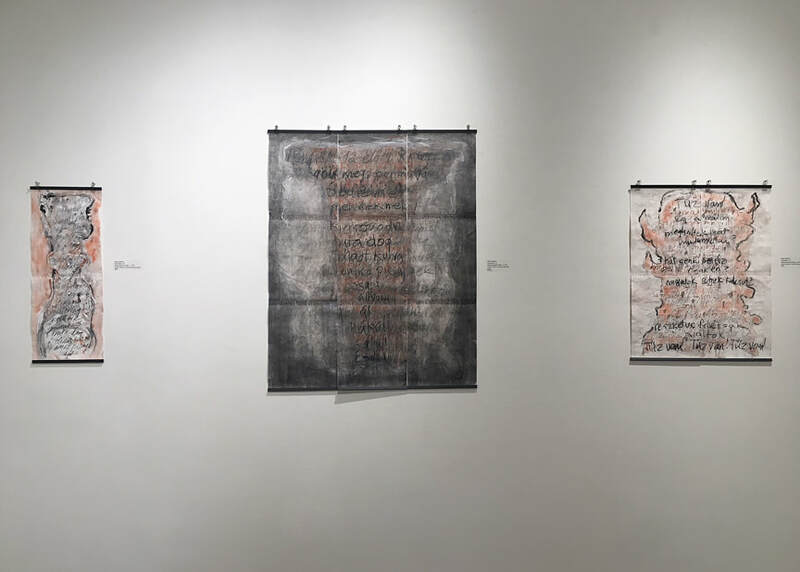 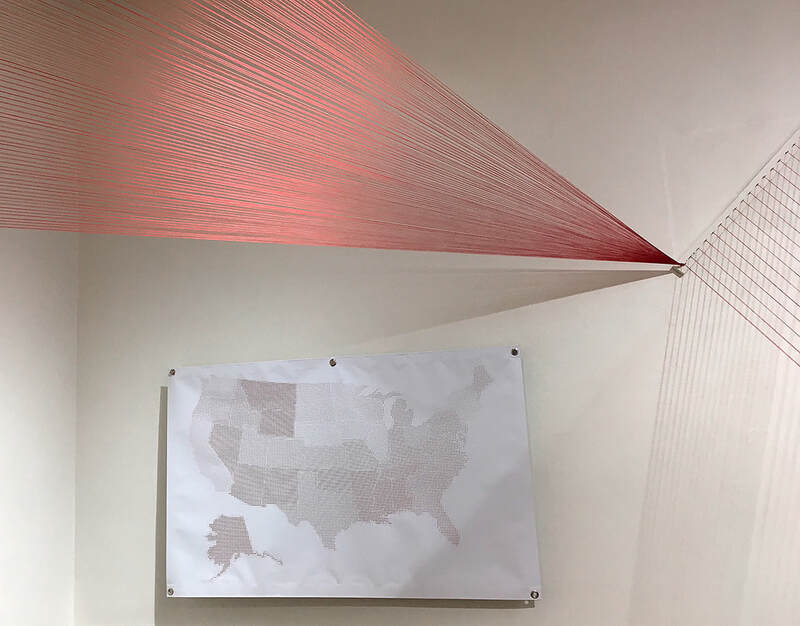 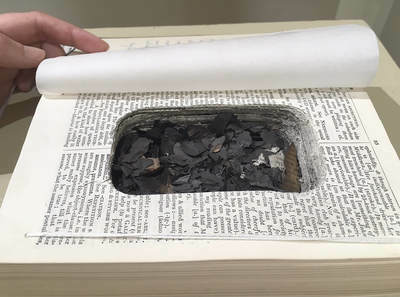 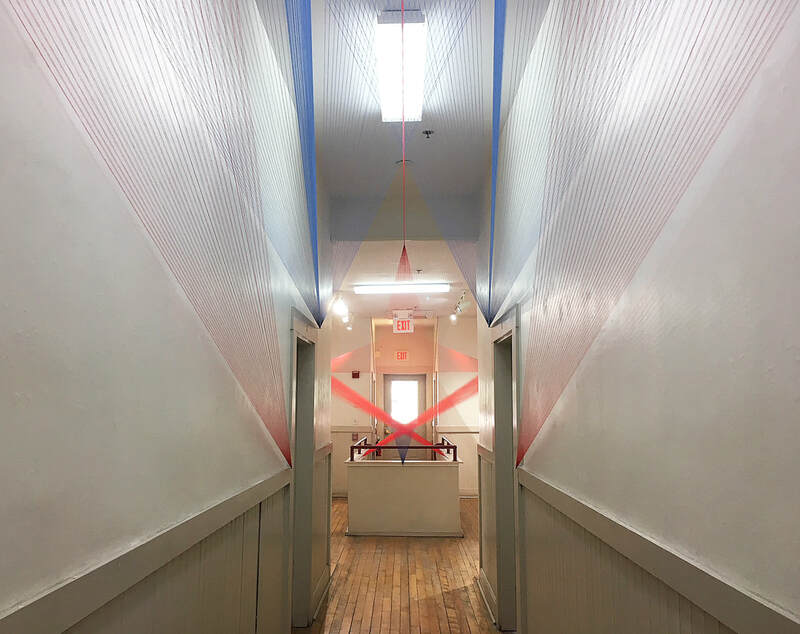 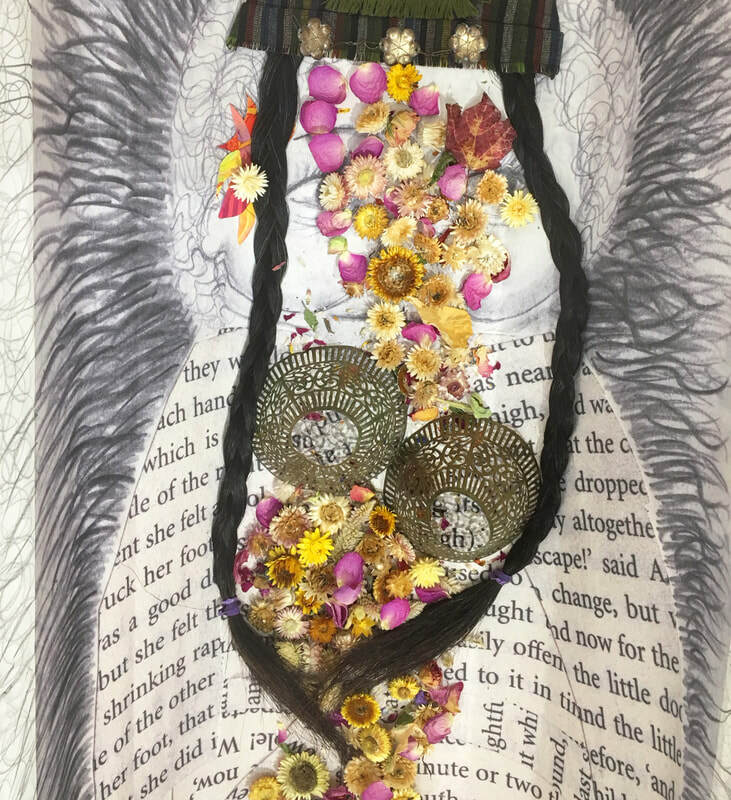 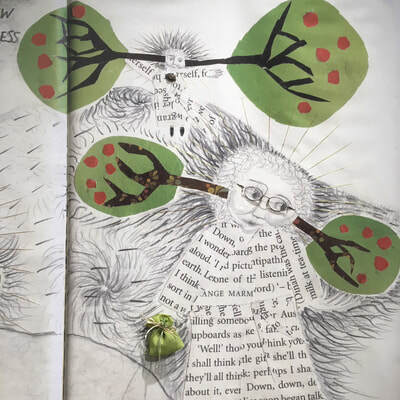 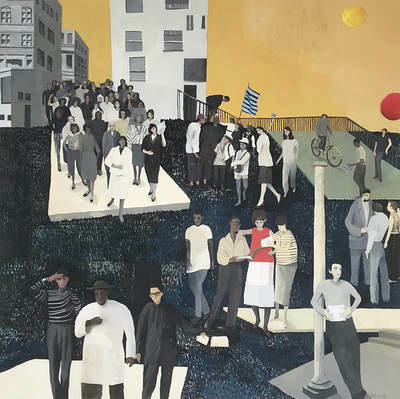 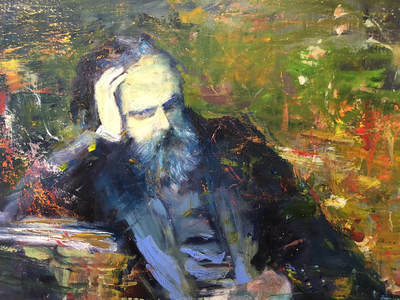 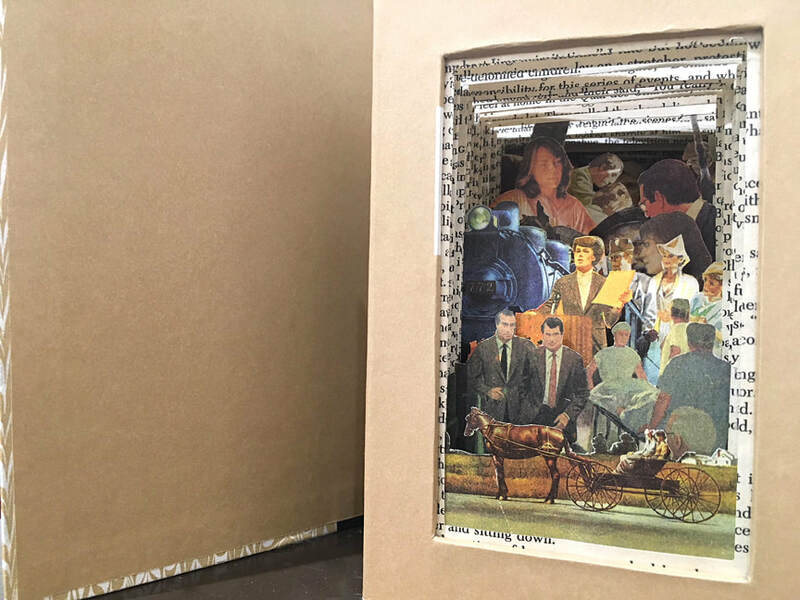 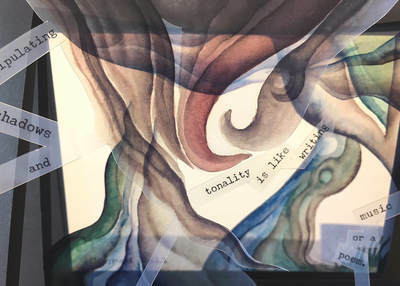 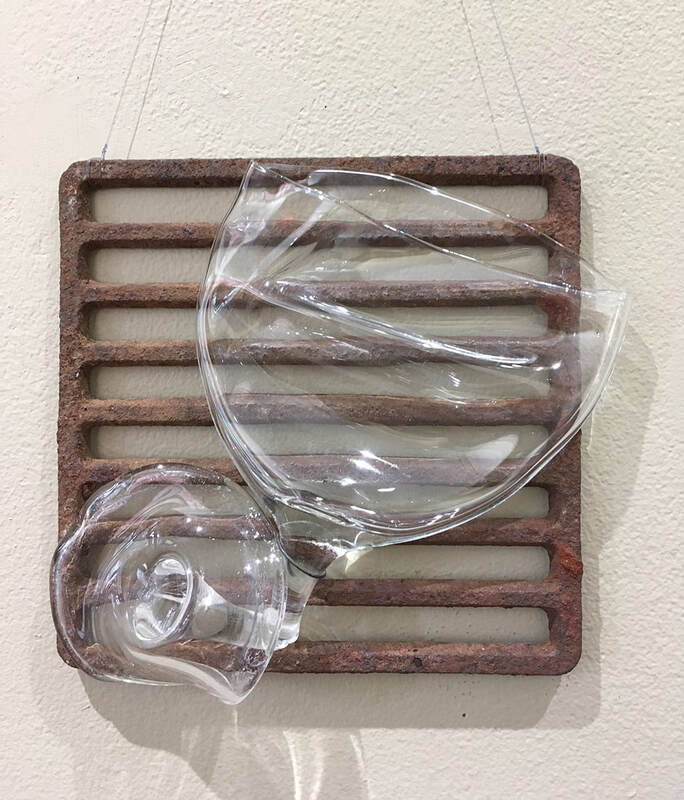 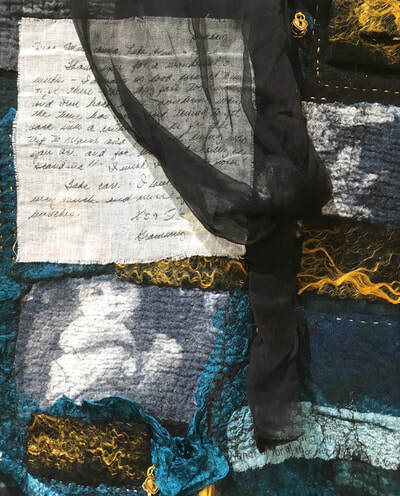 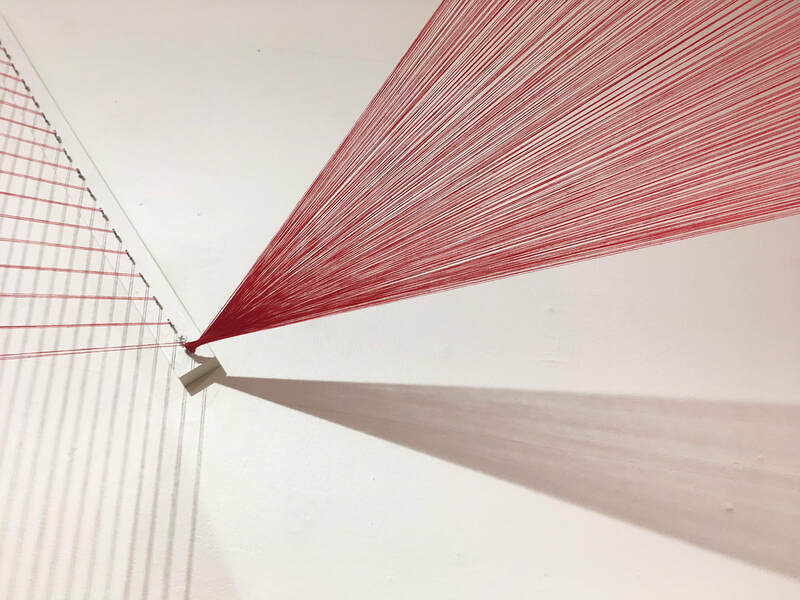 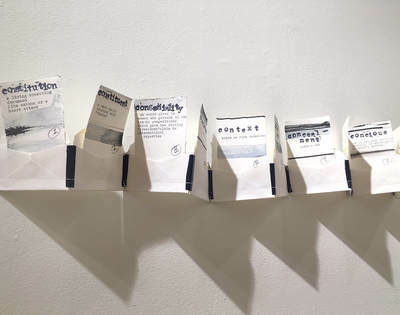 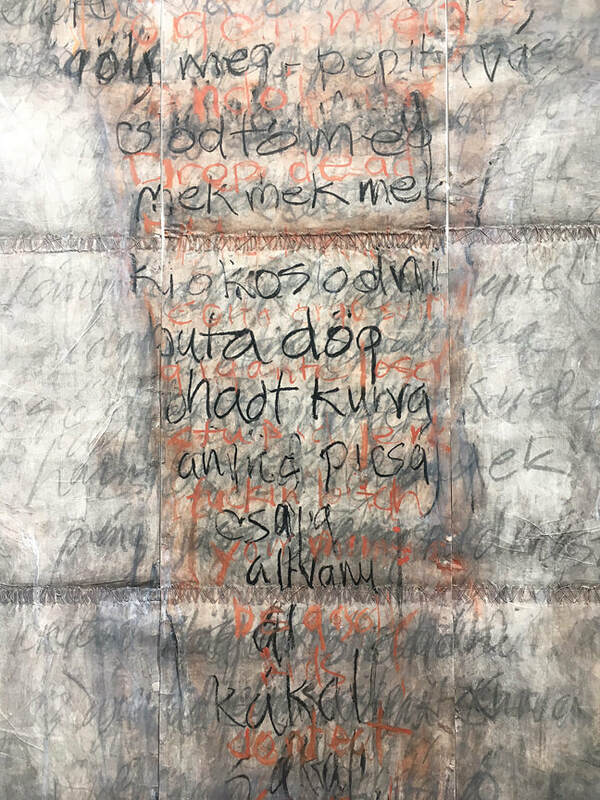 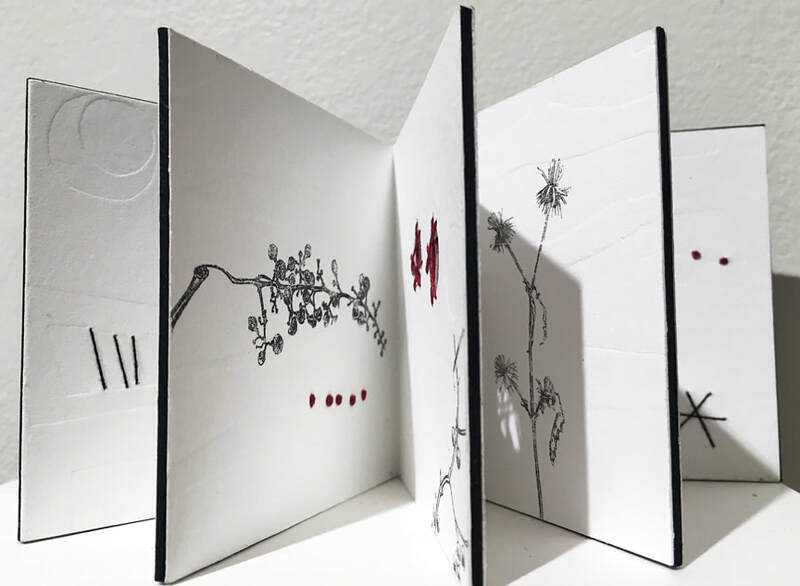 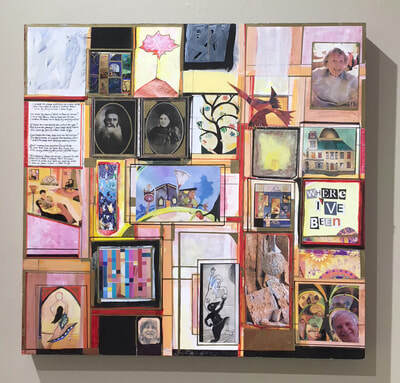 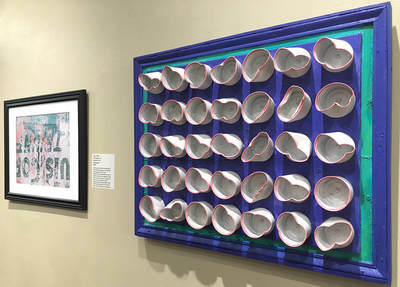 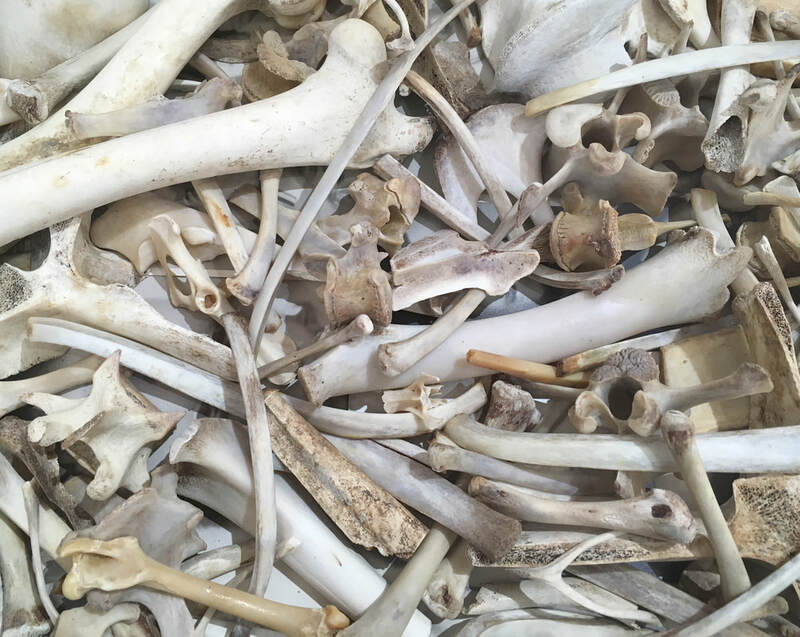 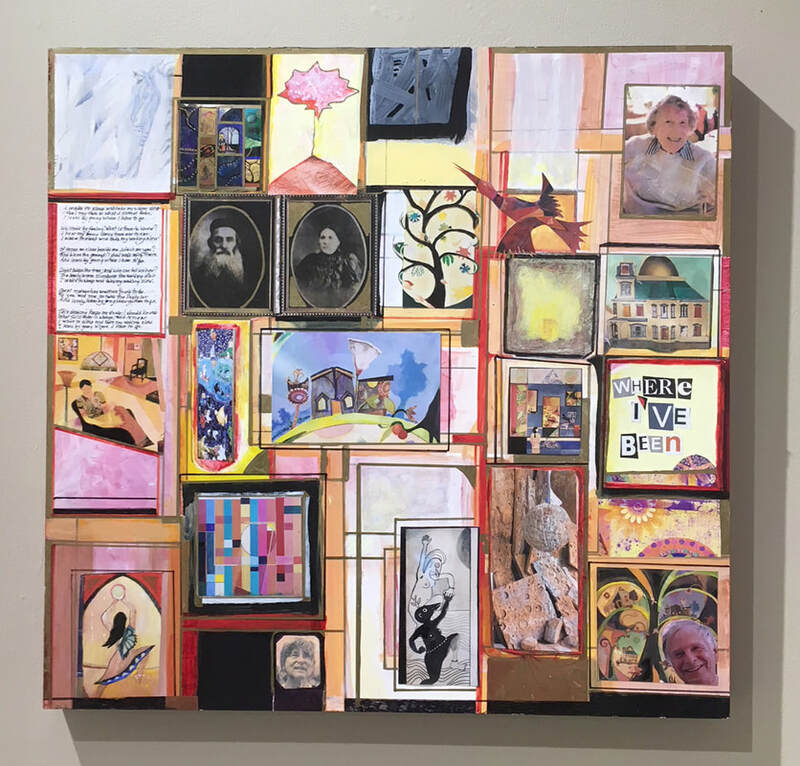 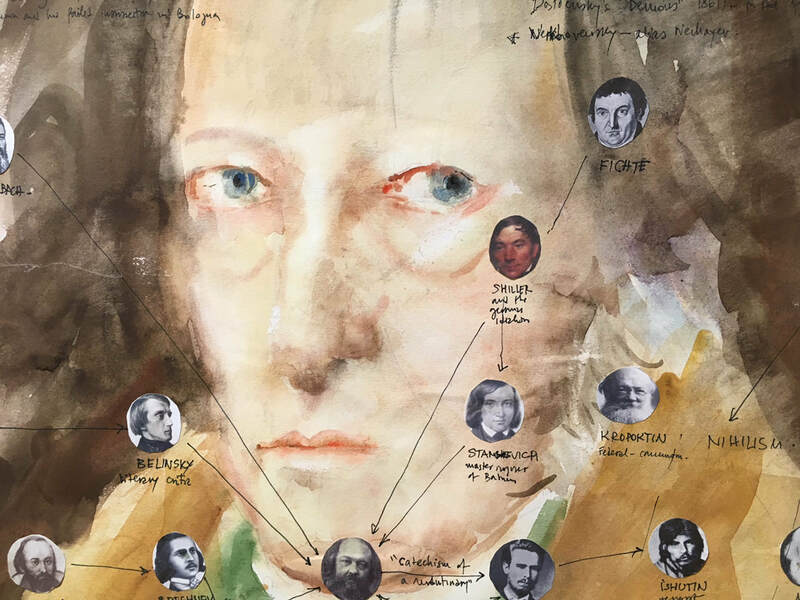 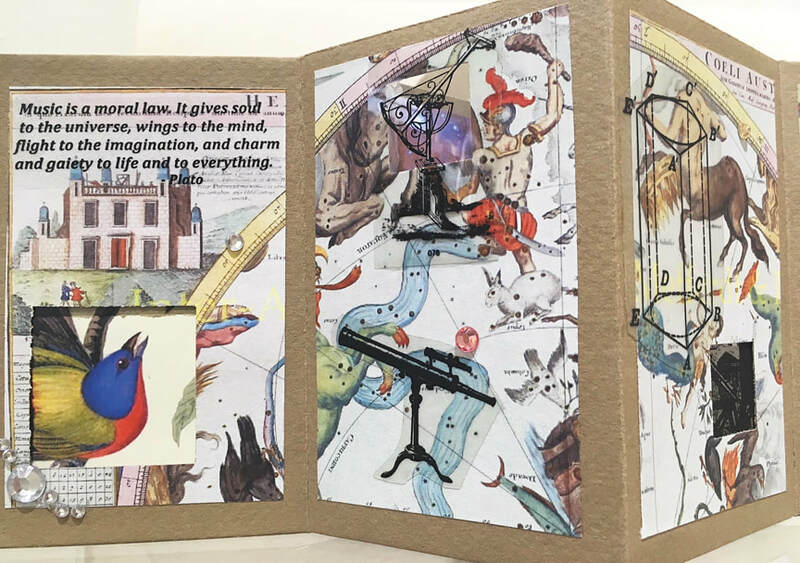 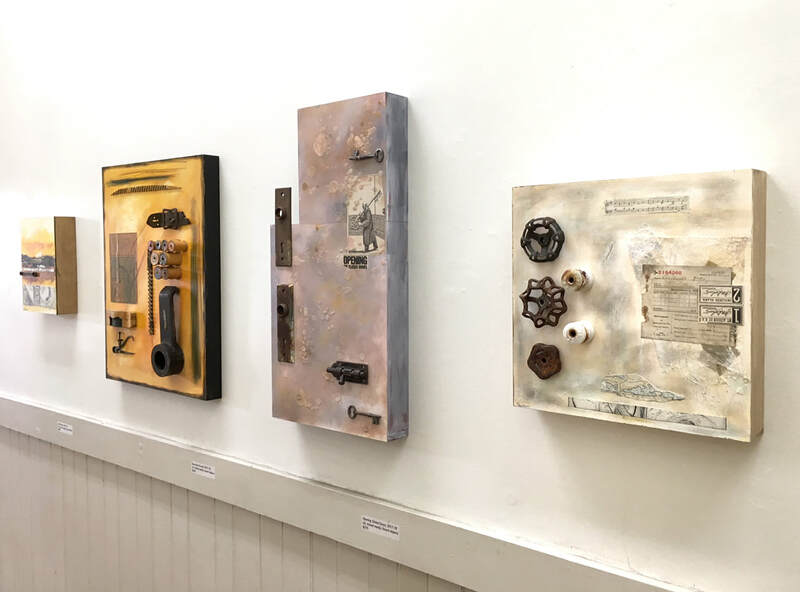 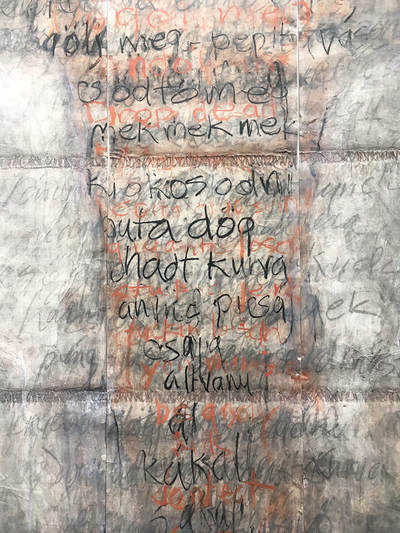 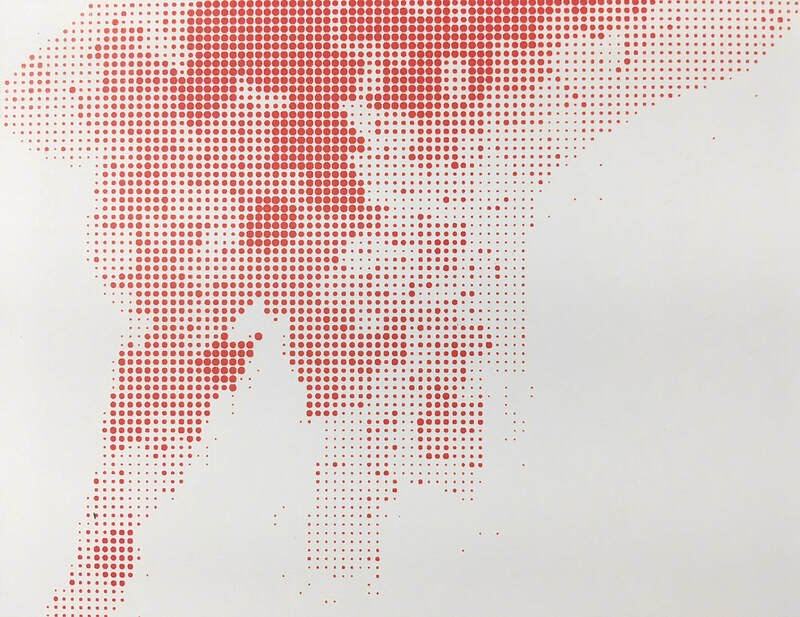 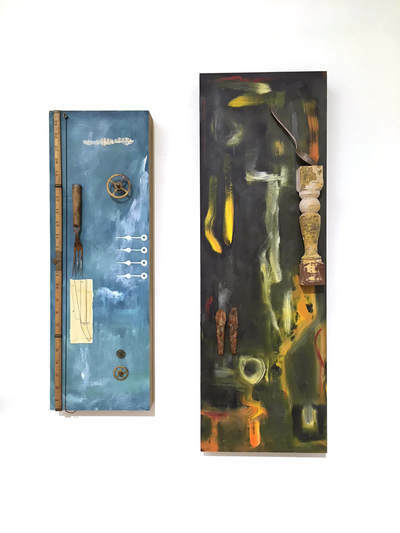 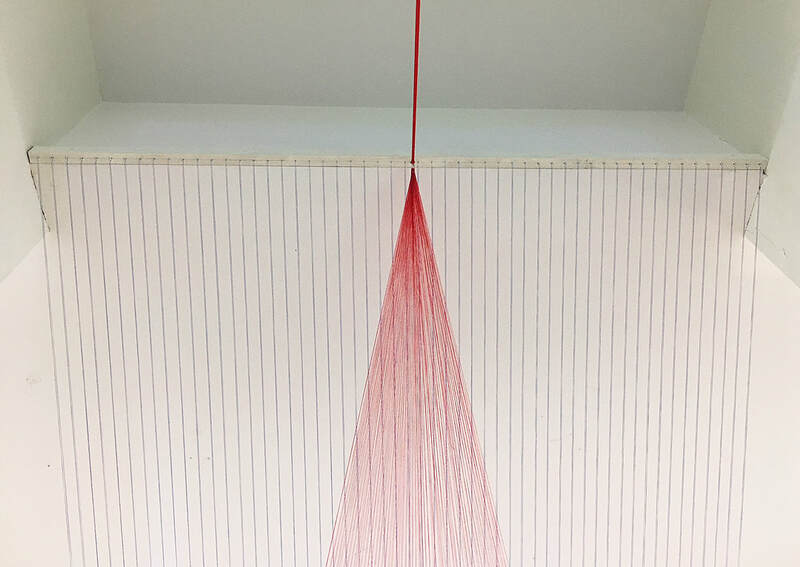 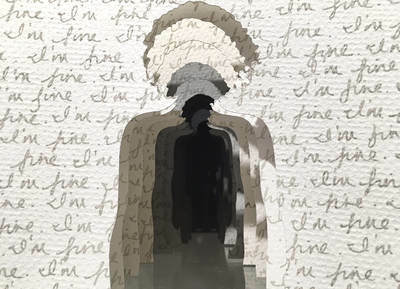 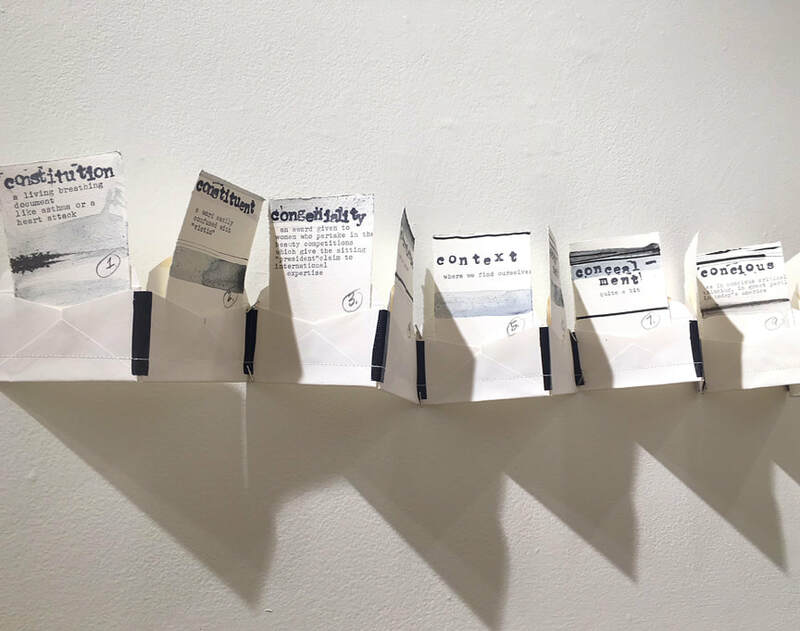 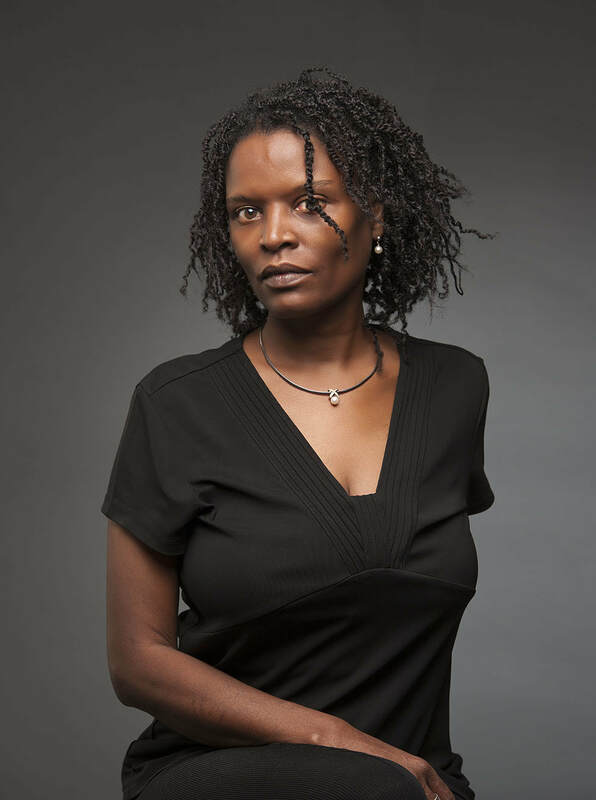 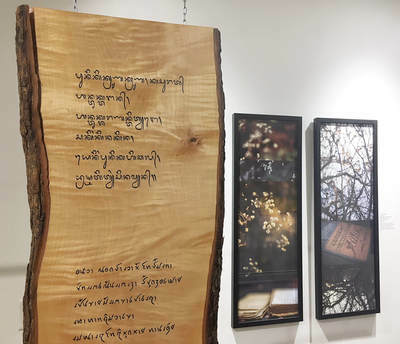 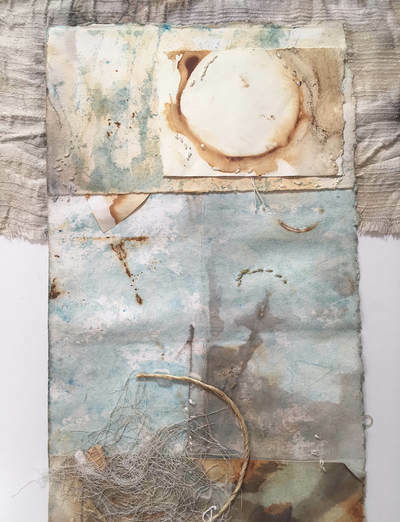 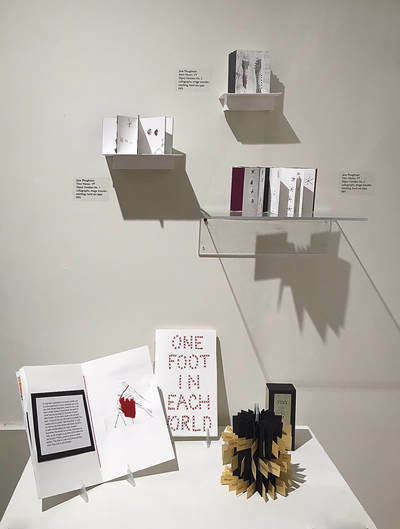 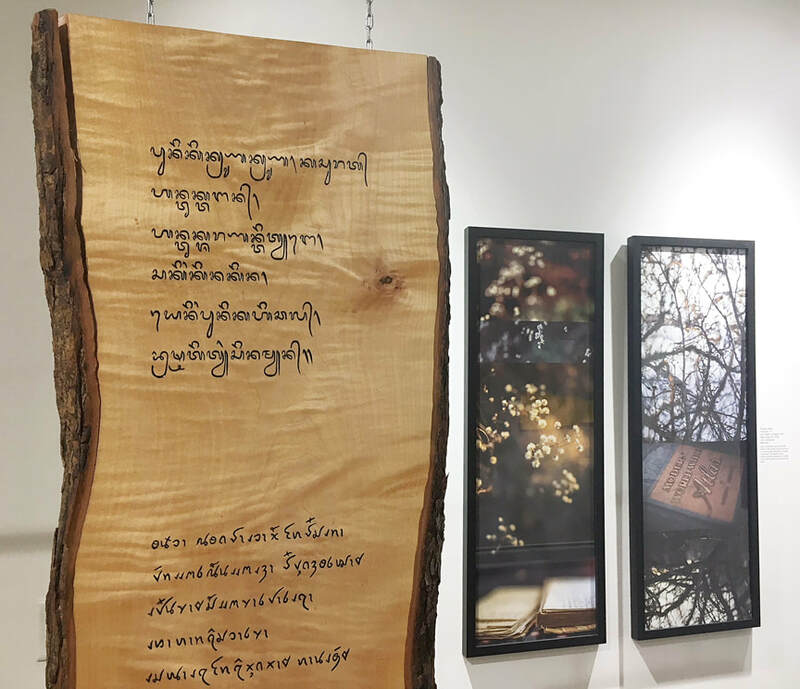 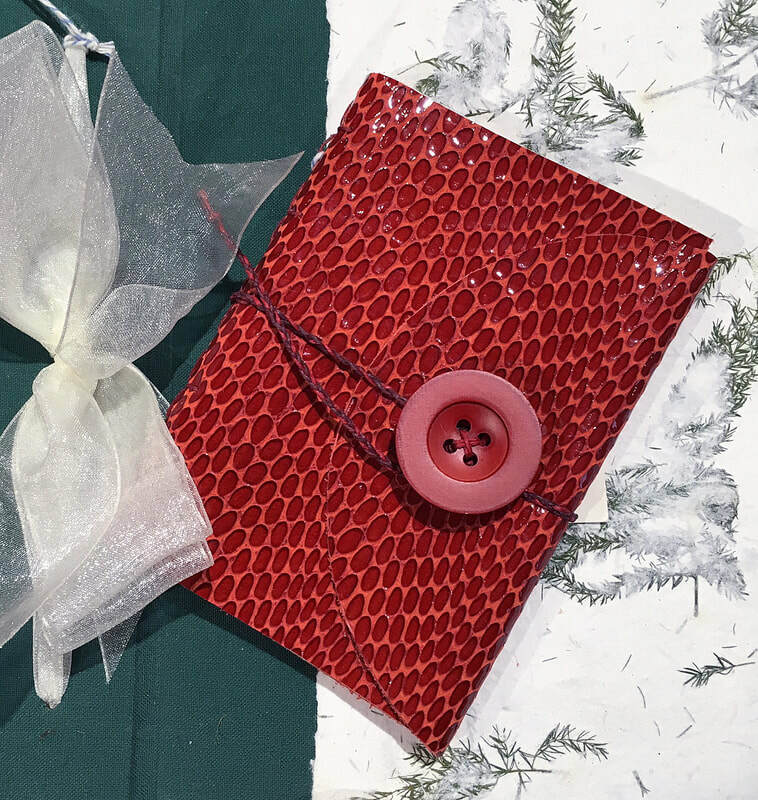 Books can take on a language of their own, as shown in the multimedia work of this group of artists that use shape, structure, and materials to get their message across. 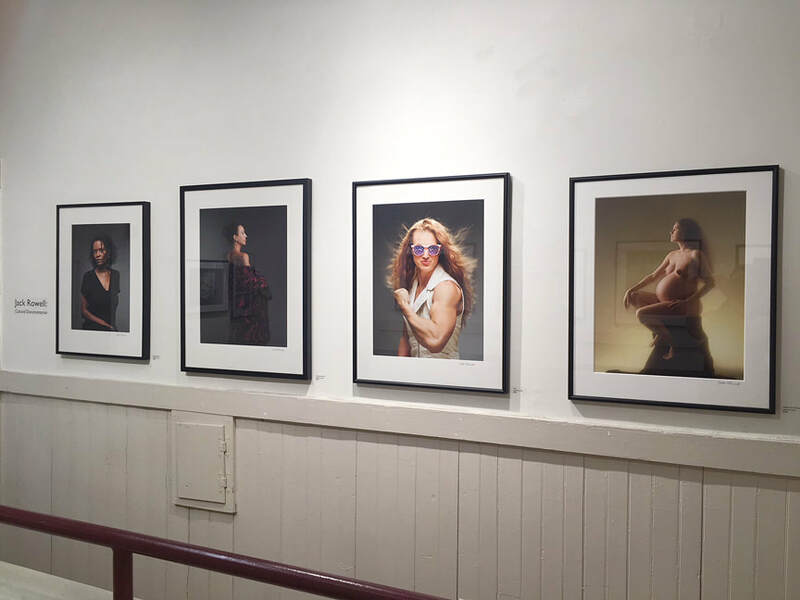 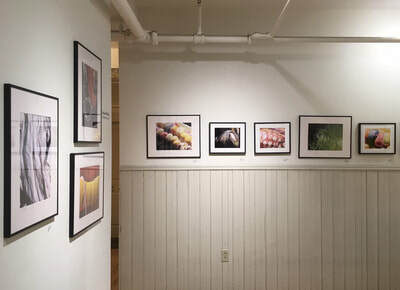 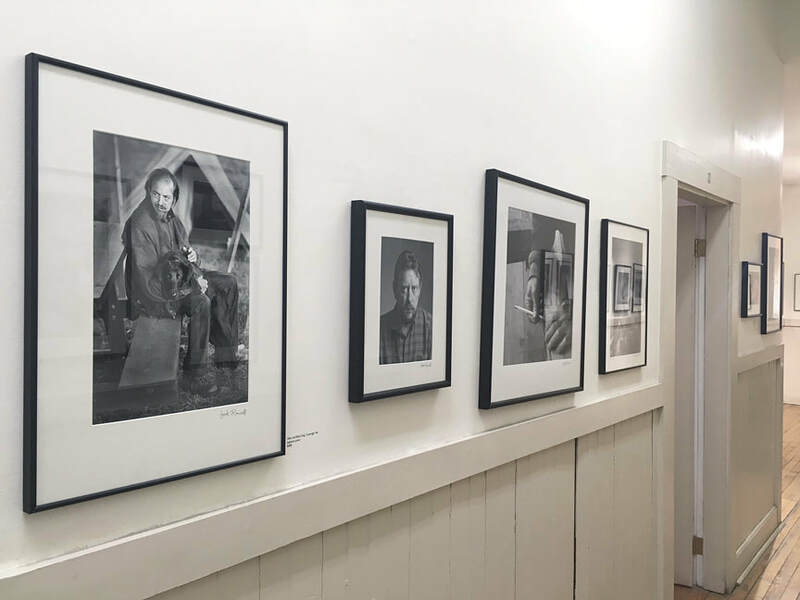 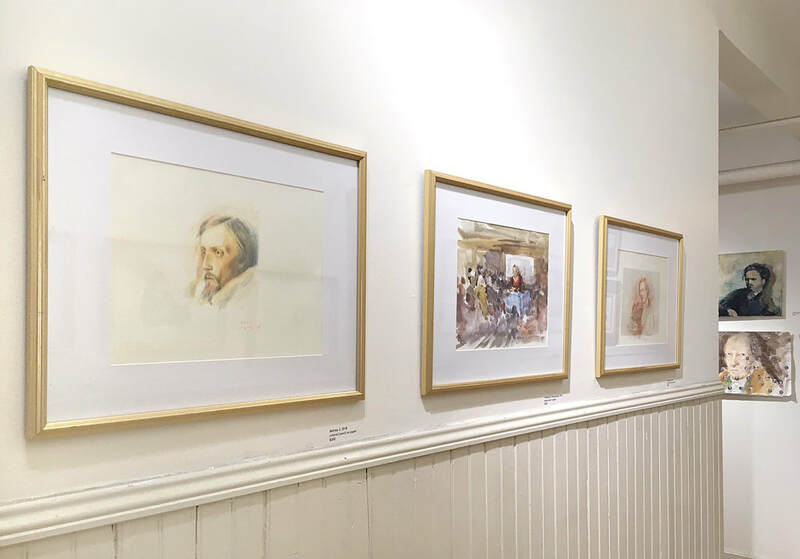 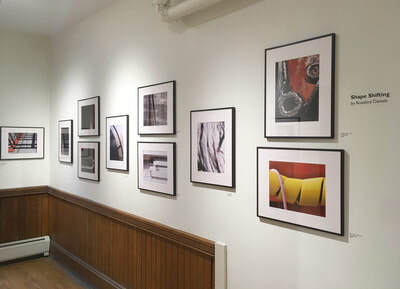 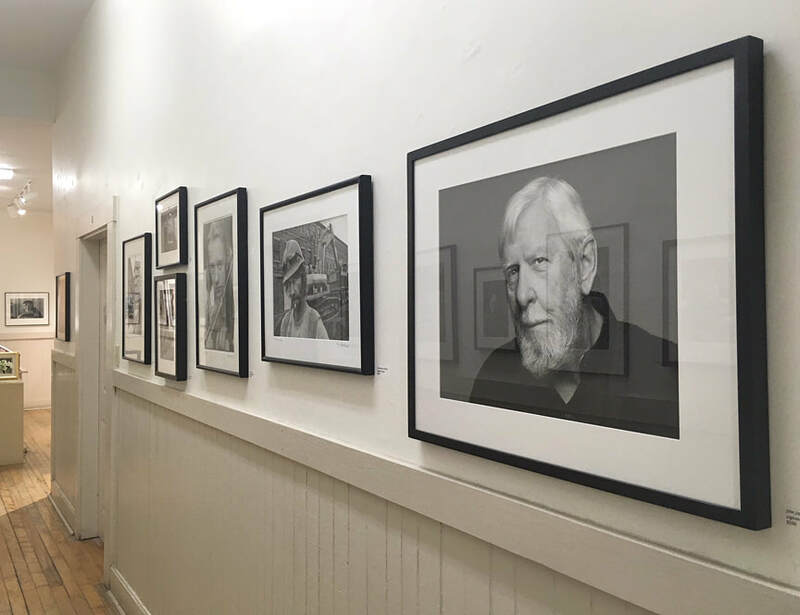 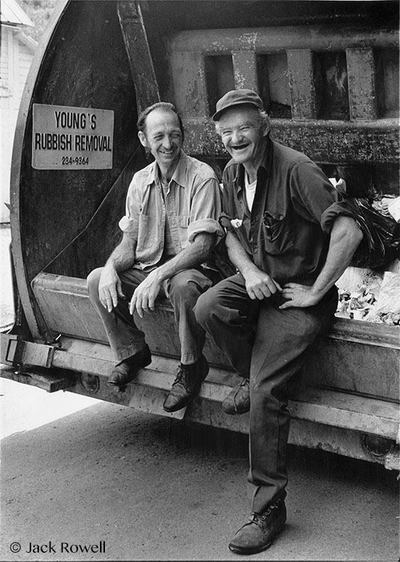 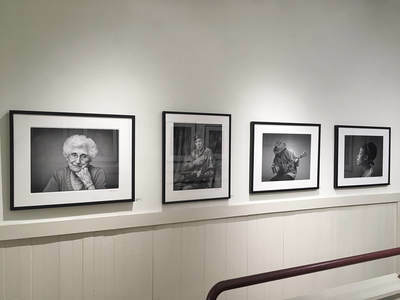 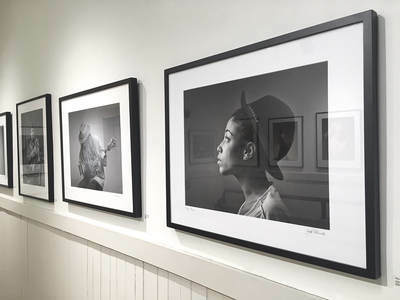 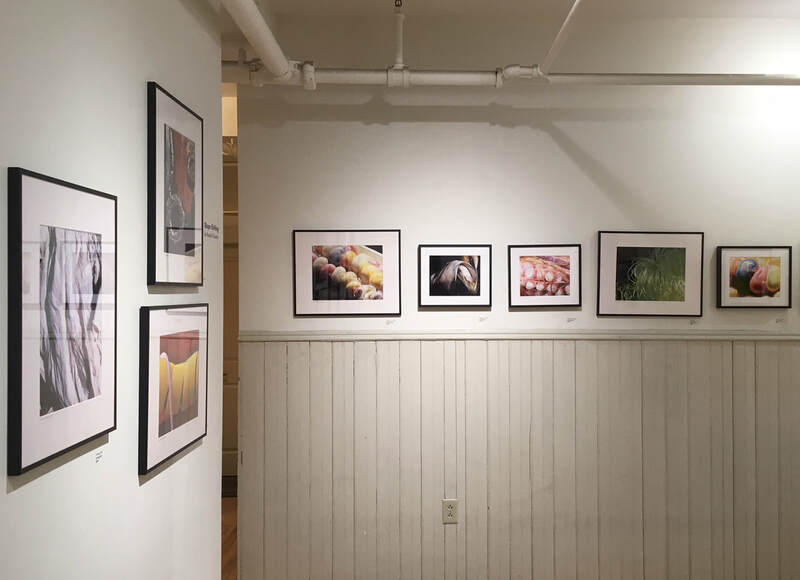 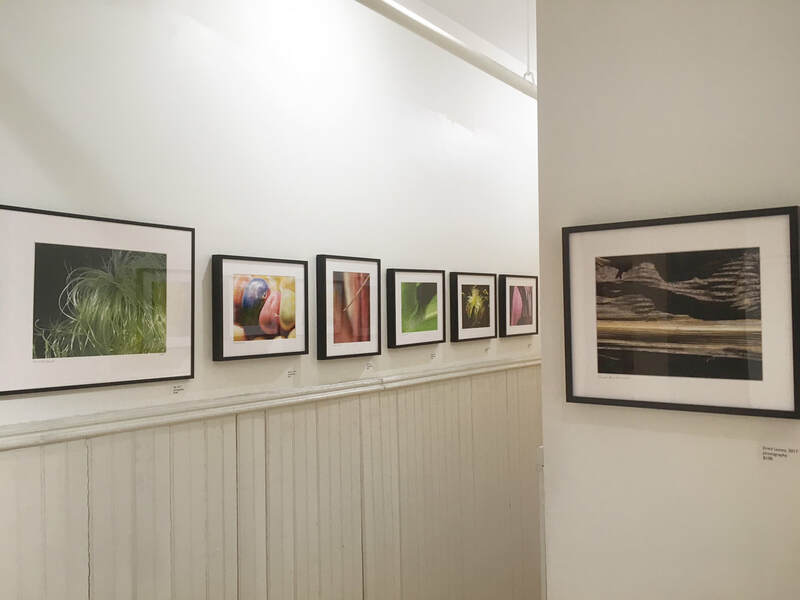 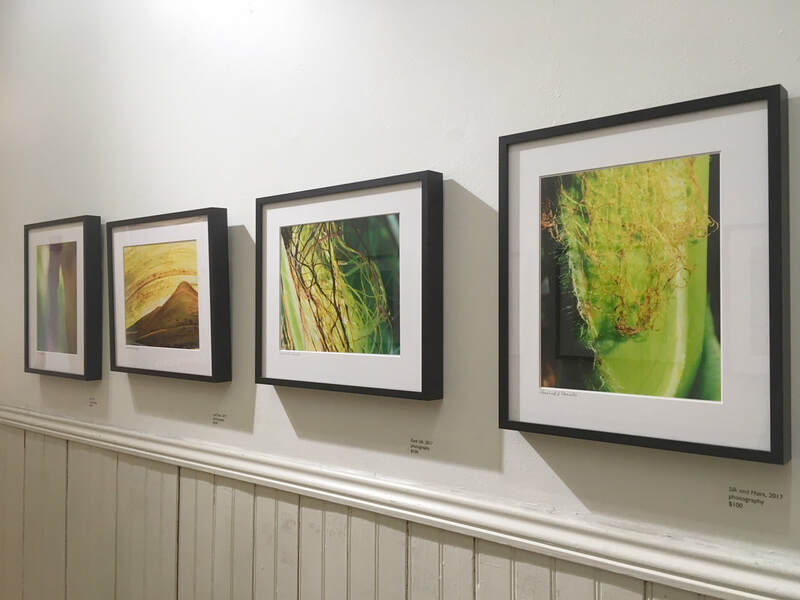 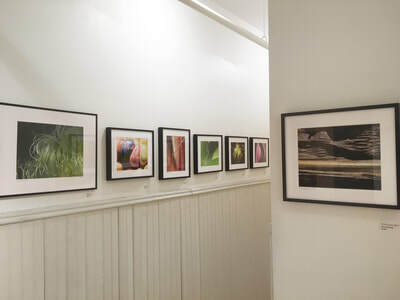 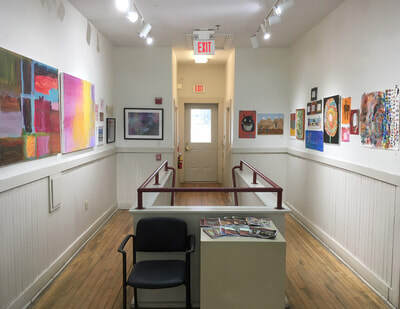 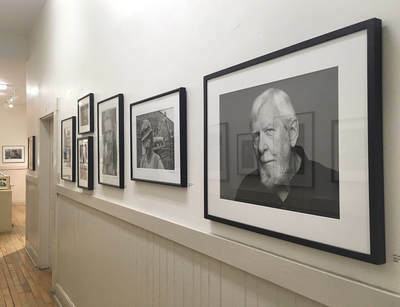 Third Floor Gallery: Jack Rowell: Cultural Documentarian - photographs from 5th generation Vermonter Jack Rowell's 30+ year career as a photographer. 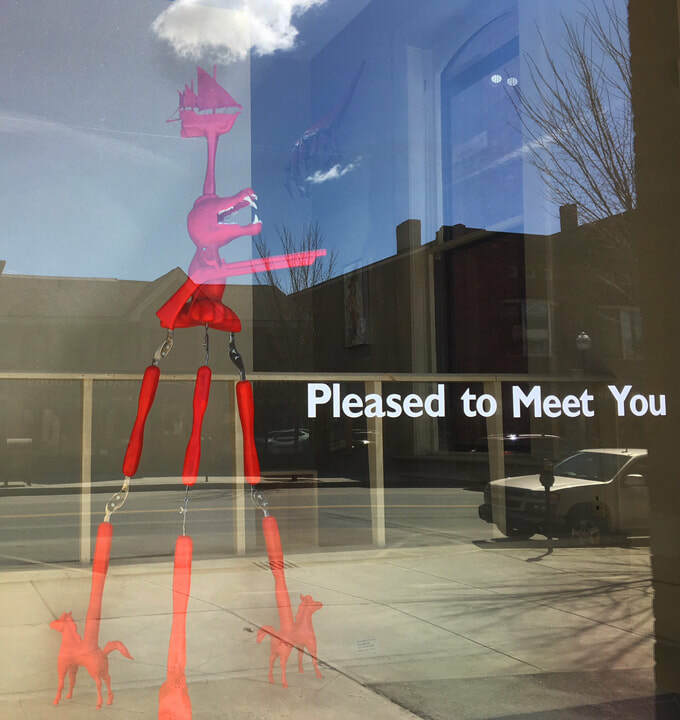 Pleased to Meet You! 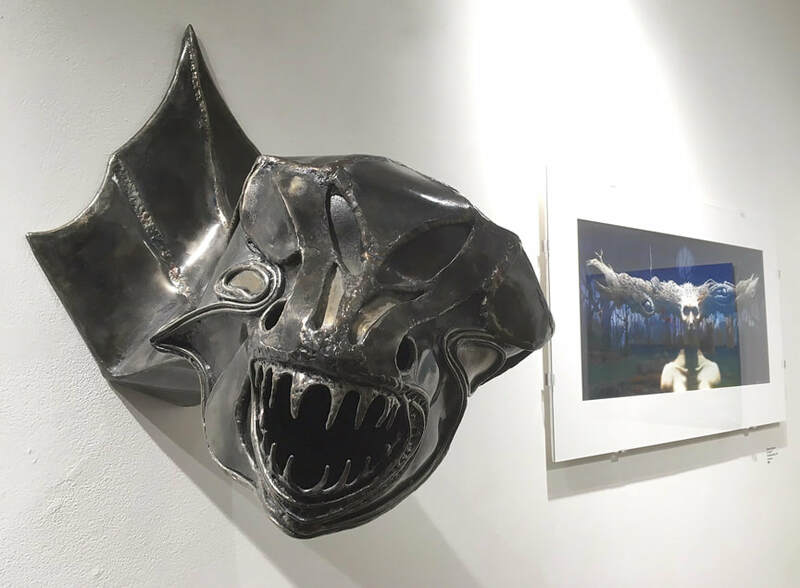 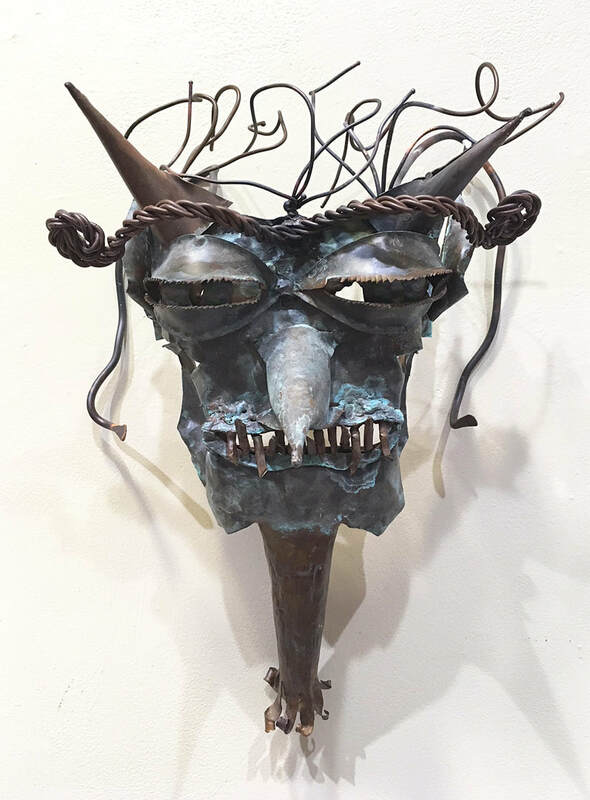 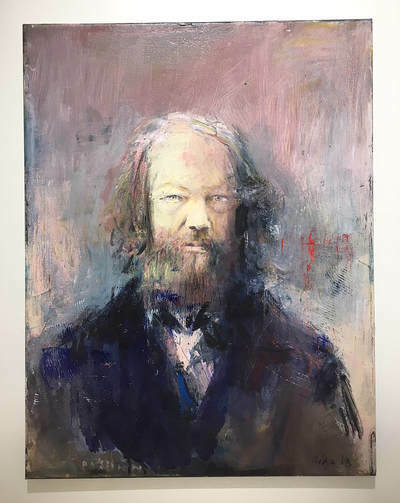 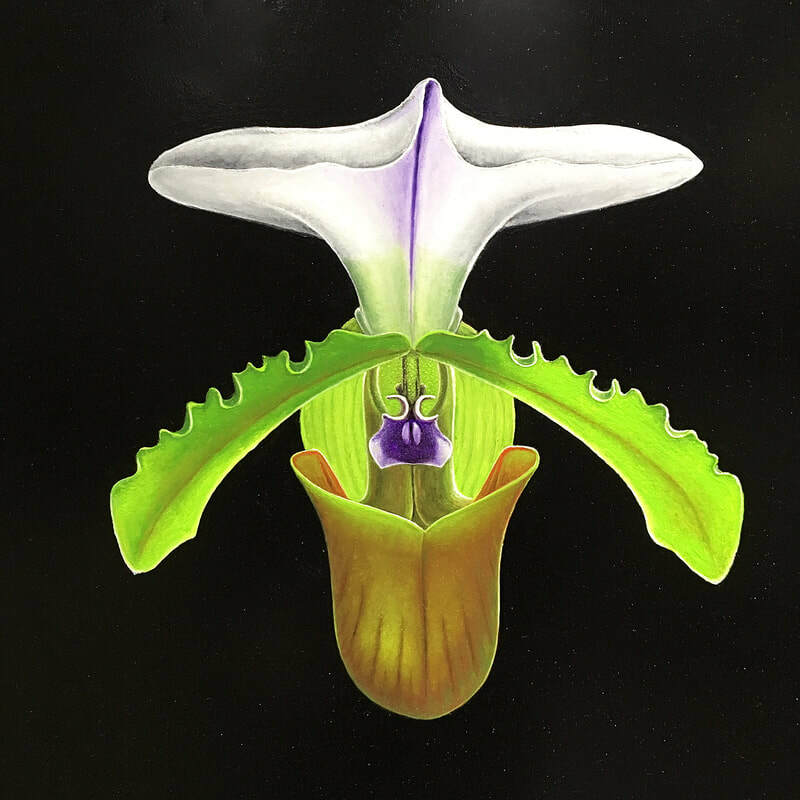 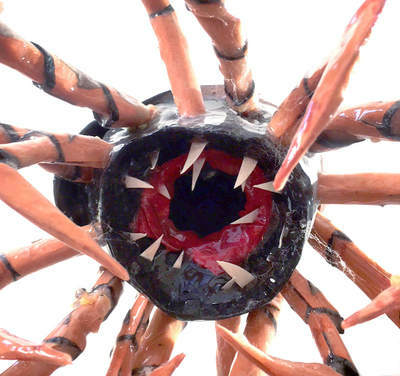 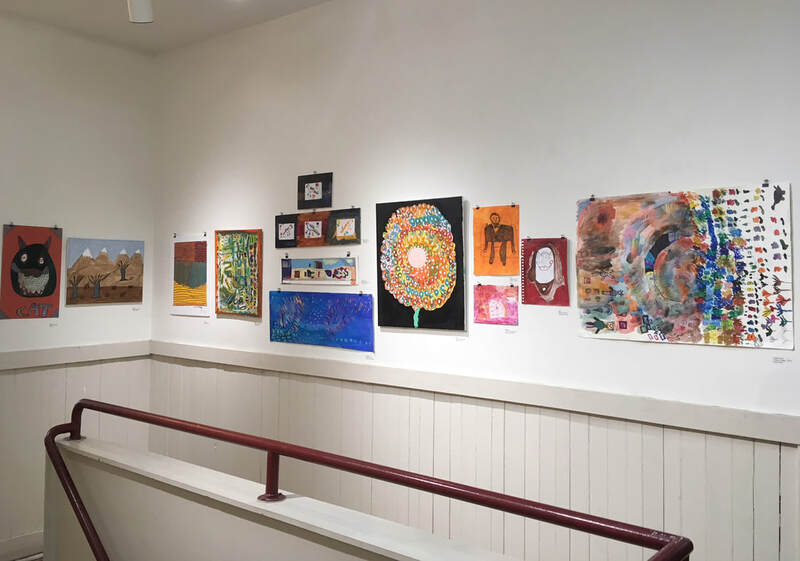 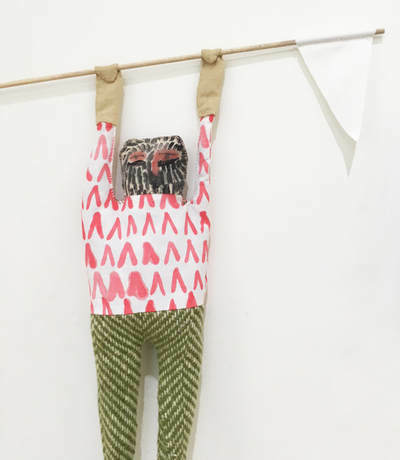 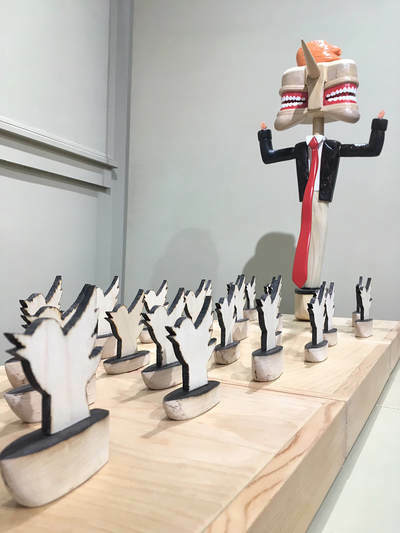 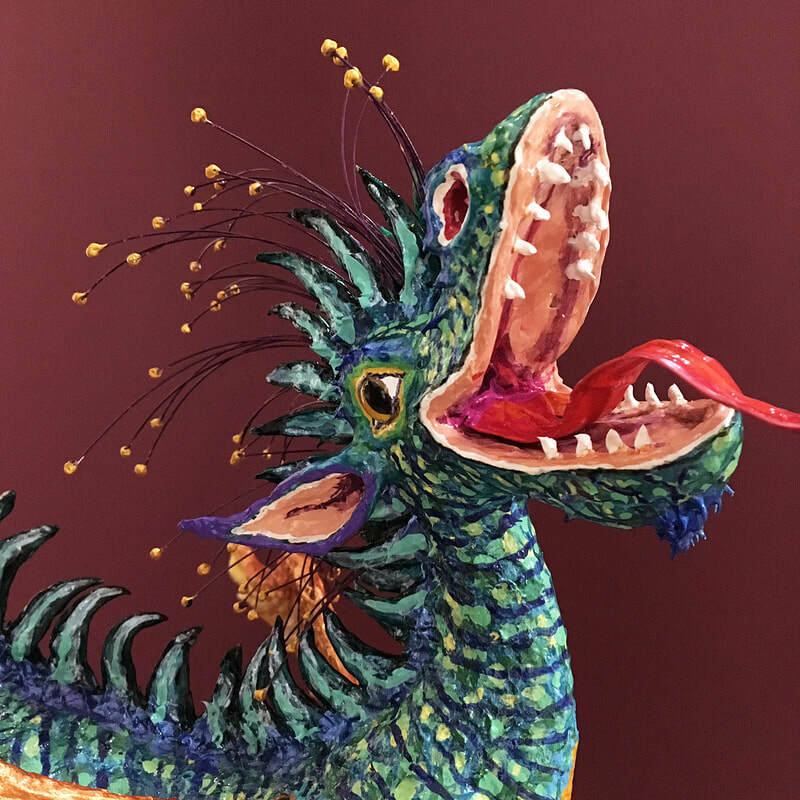 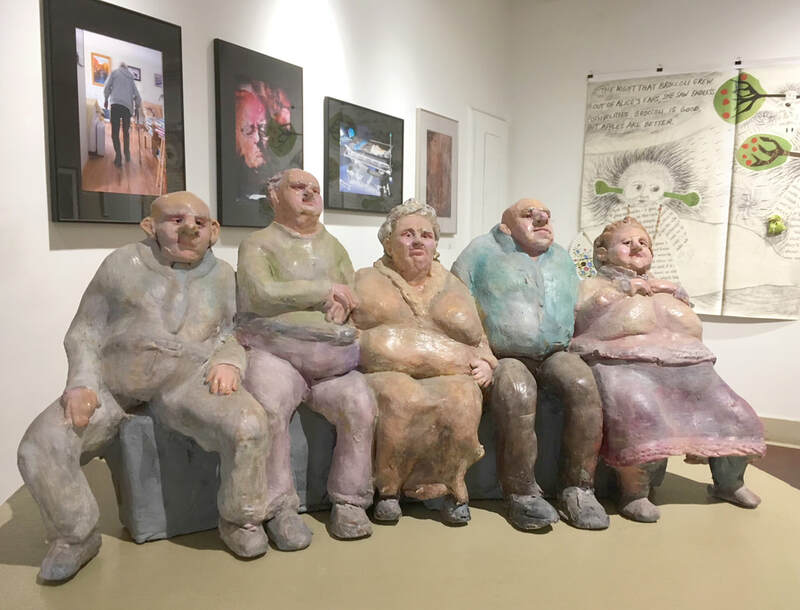 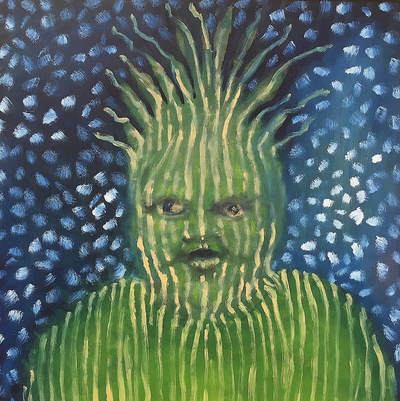 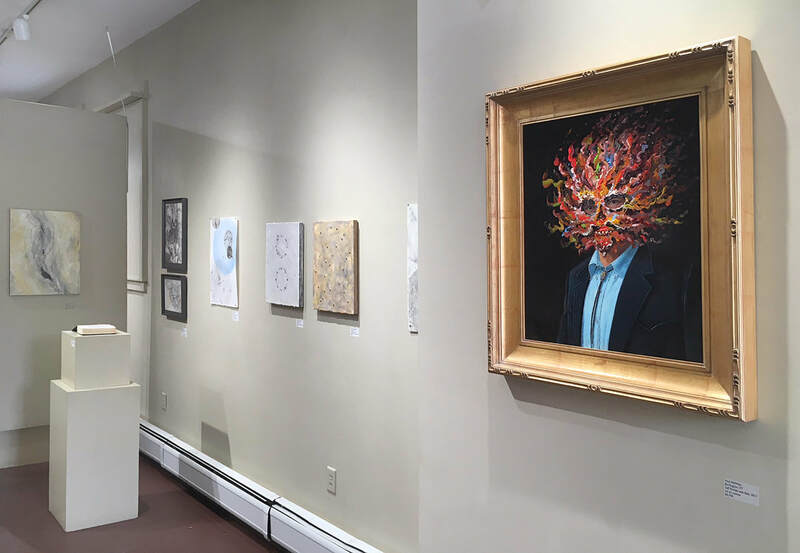 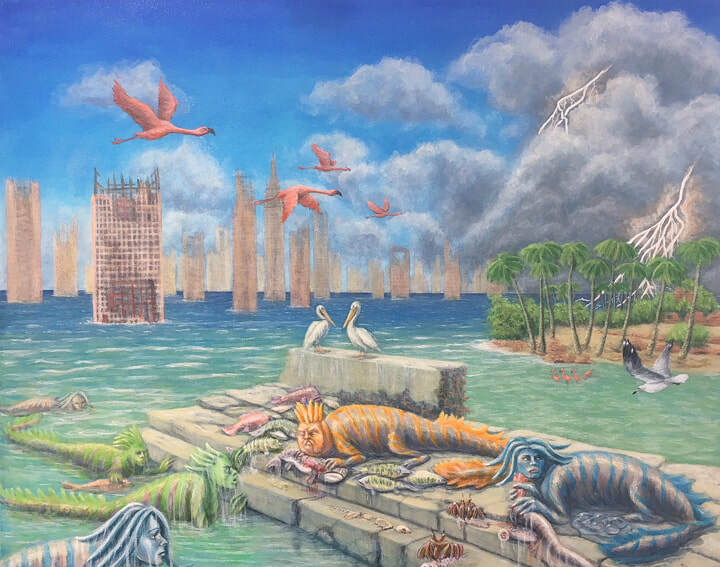 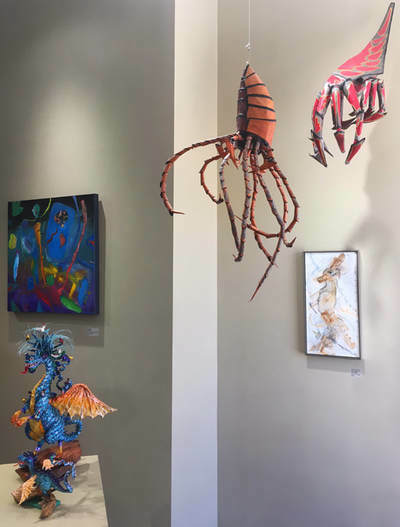 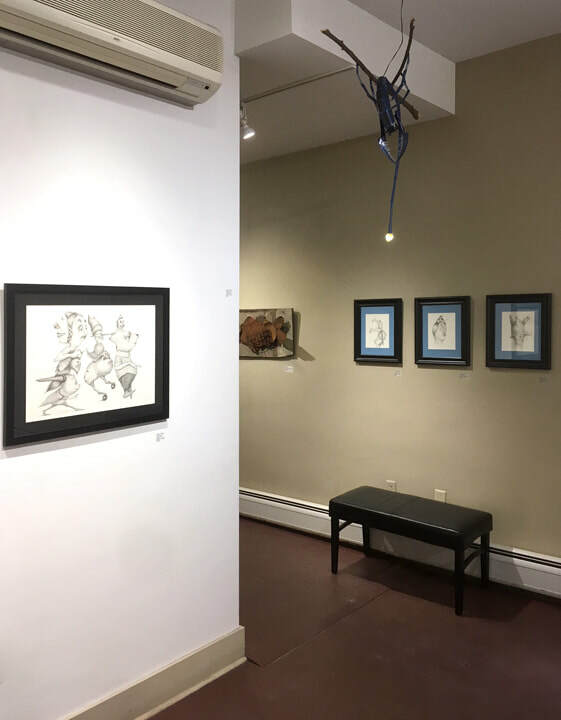 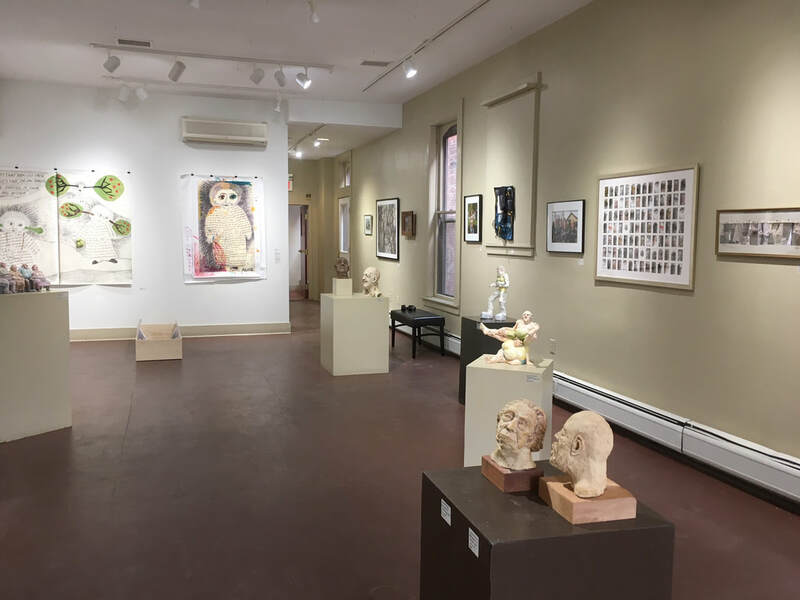 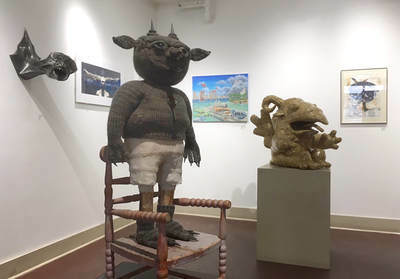 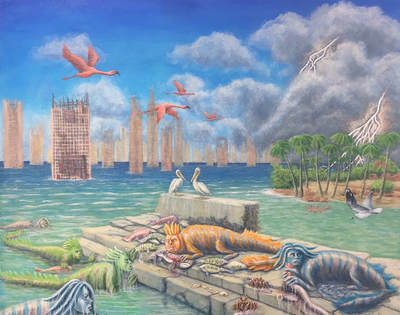 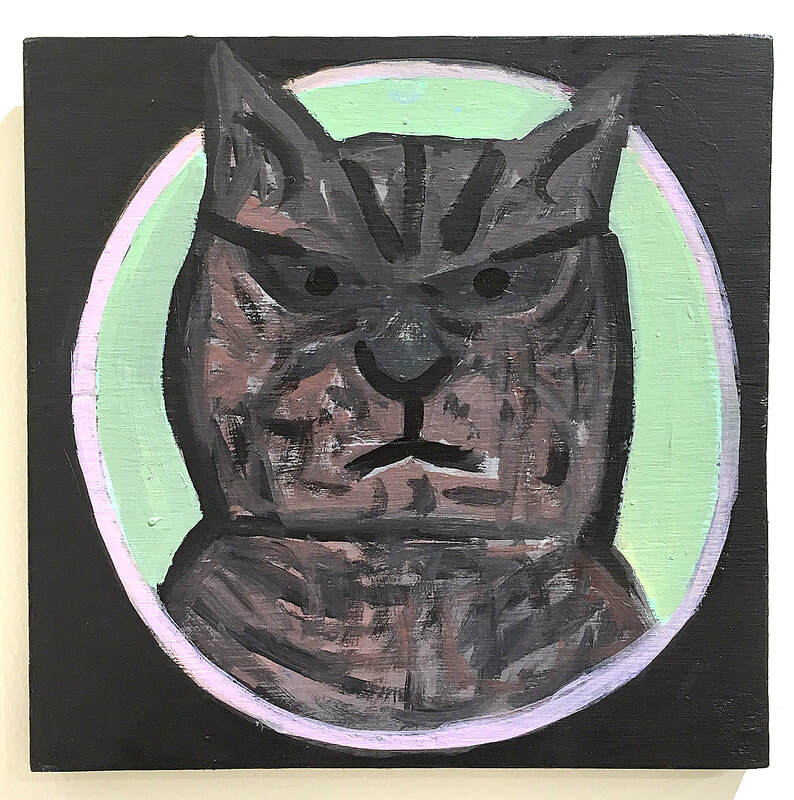 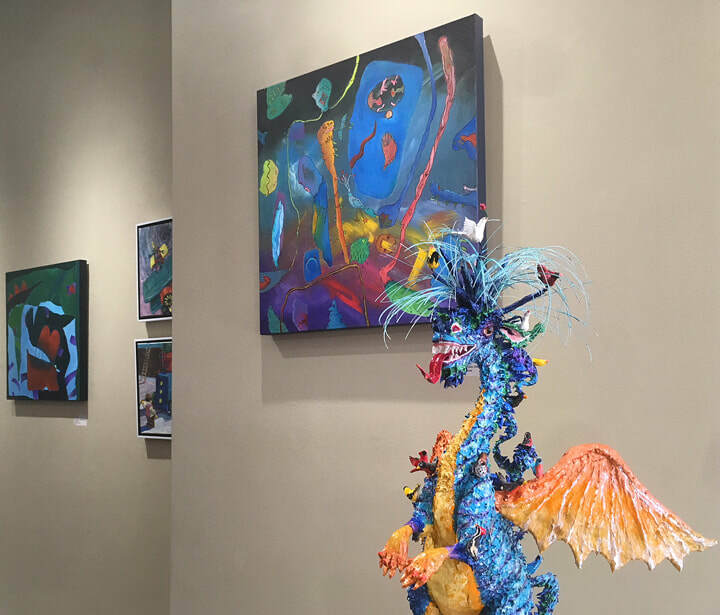 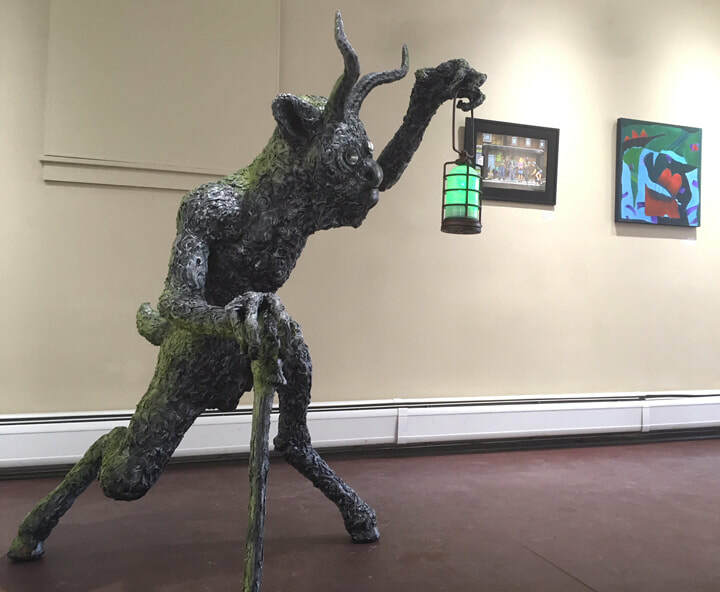 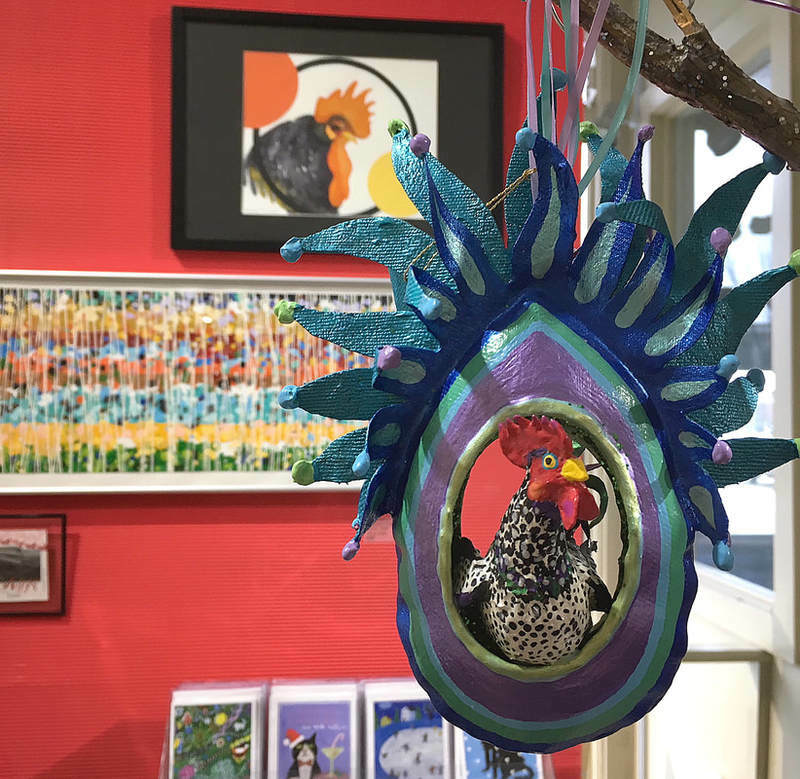 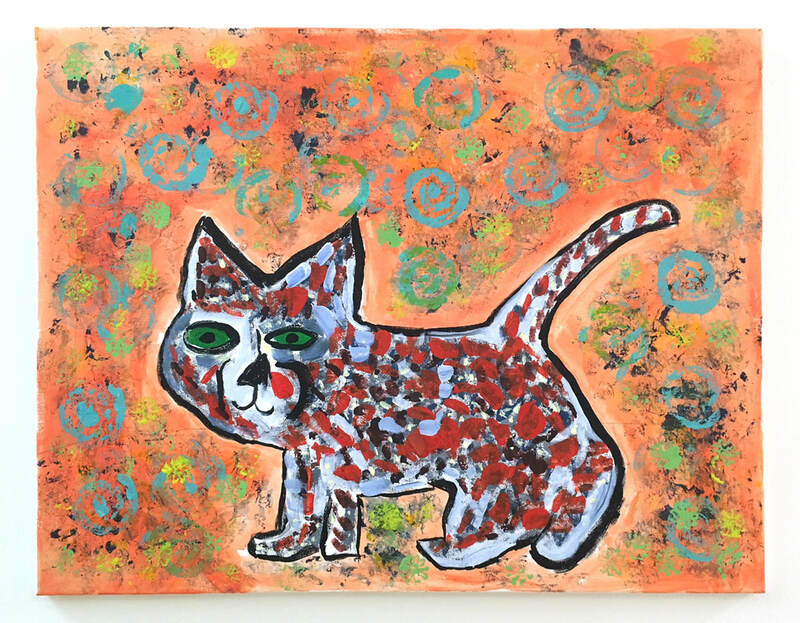 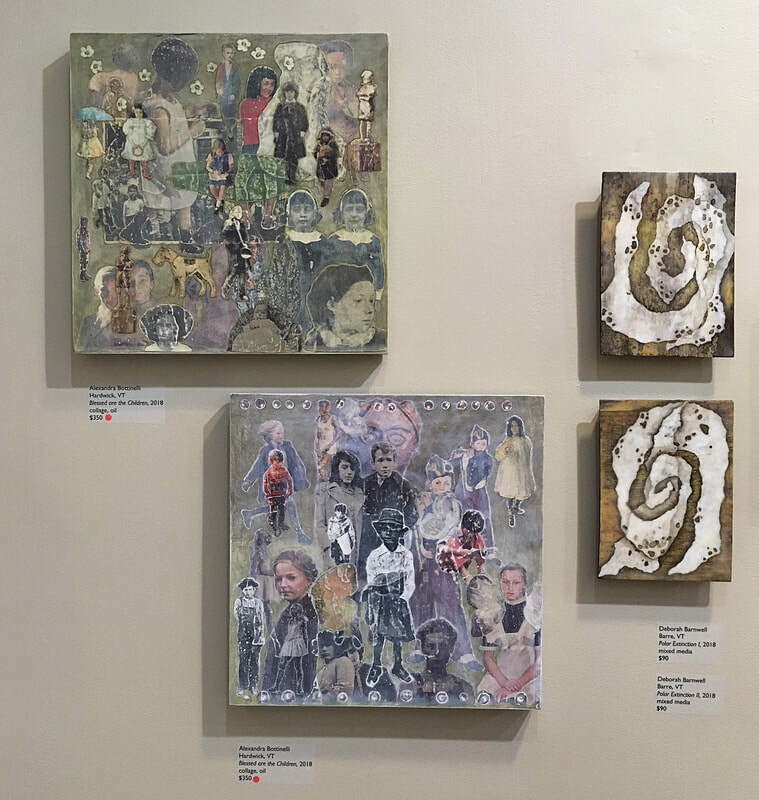 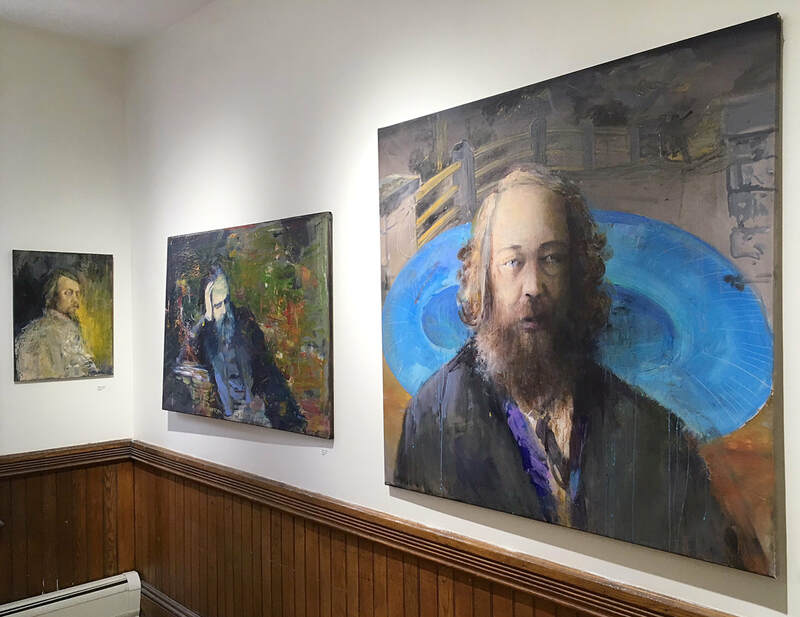 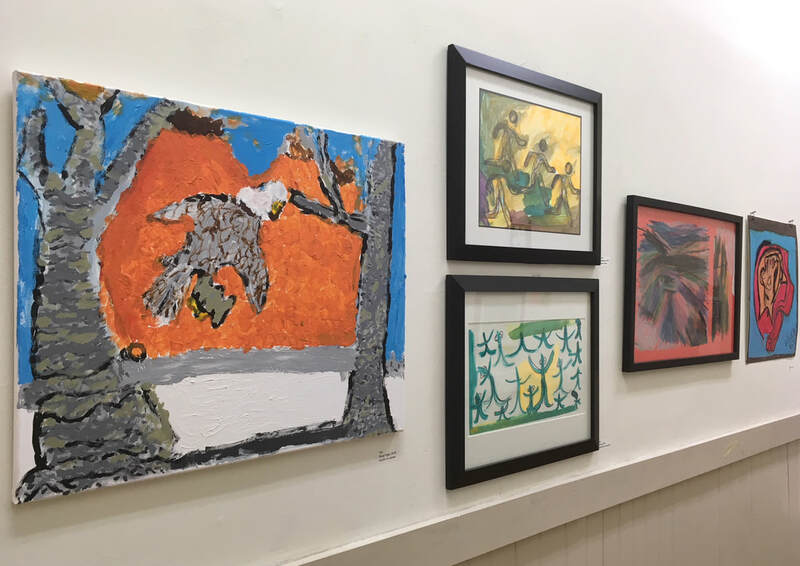 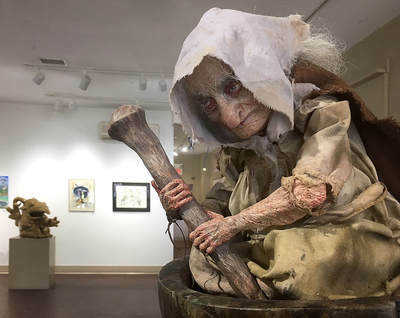 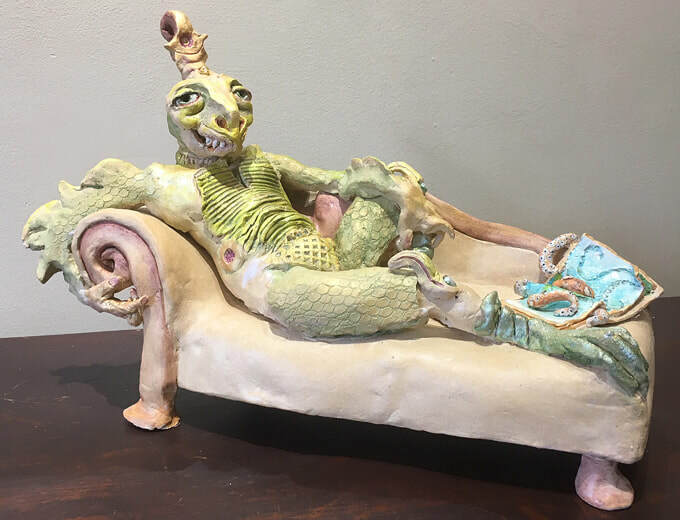 This show involving 20 local artists brings to life fantastical, imaginative creatures and beings of the non-human variety. 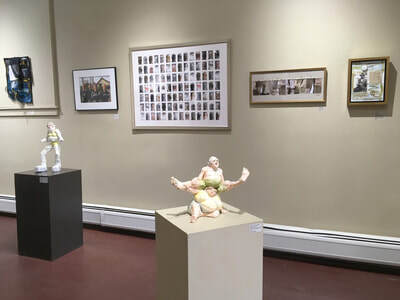 Silent Auction to benefit SPA Programs: Artwork, crafts, antiques and many other items are on display starting March 27. 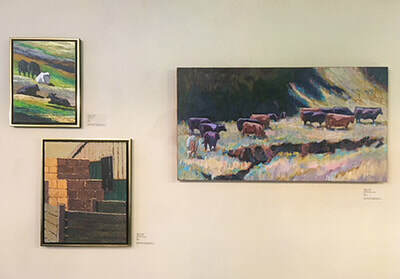 Bidding concludes at the BASH on April 20th. 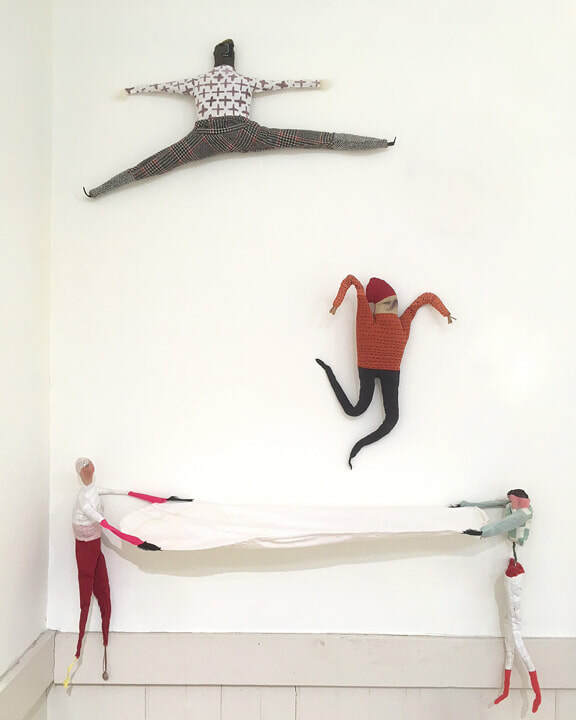 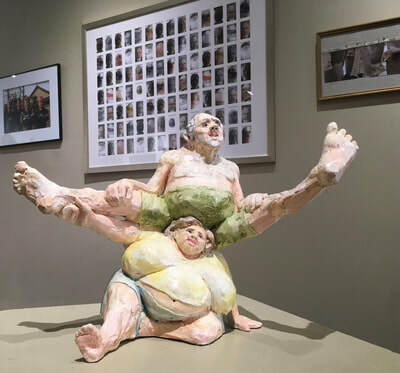 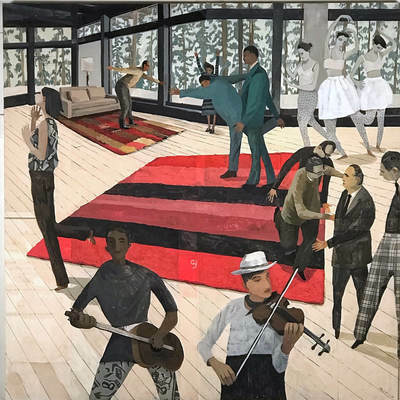 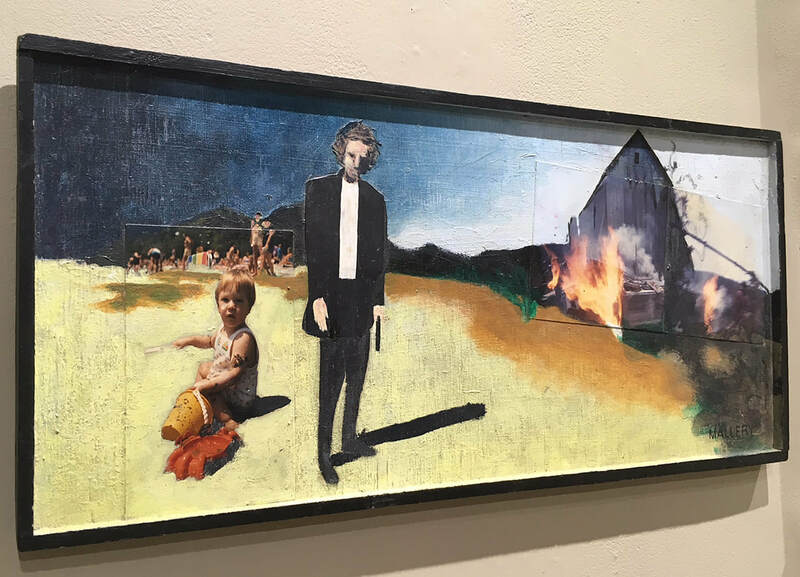 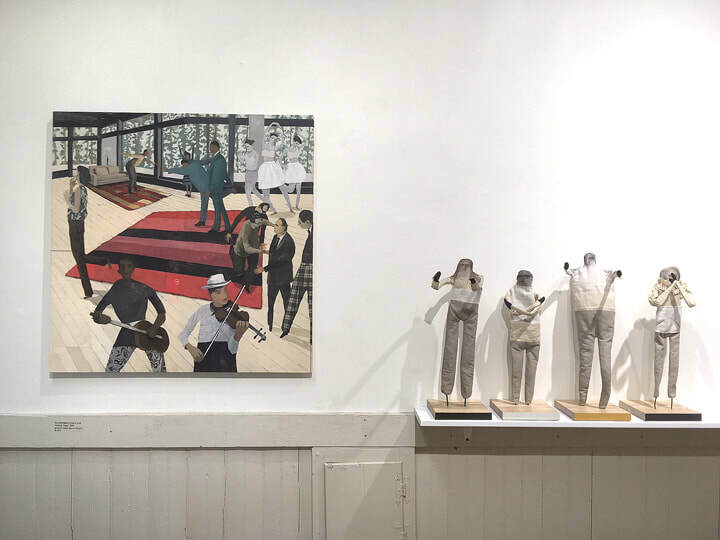 The Feast of Fools by Hannah Morris - Painted collages and soft sculpture installations exploring the intersection of the sublime, the absurd, and the mundane in recognizable moments and places. 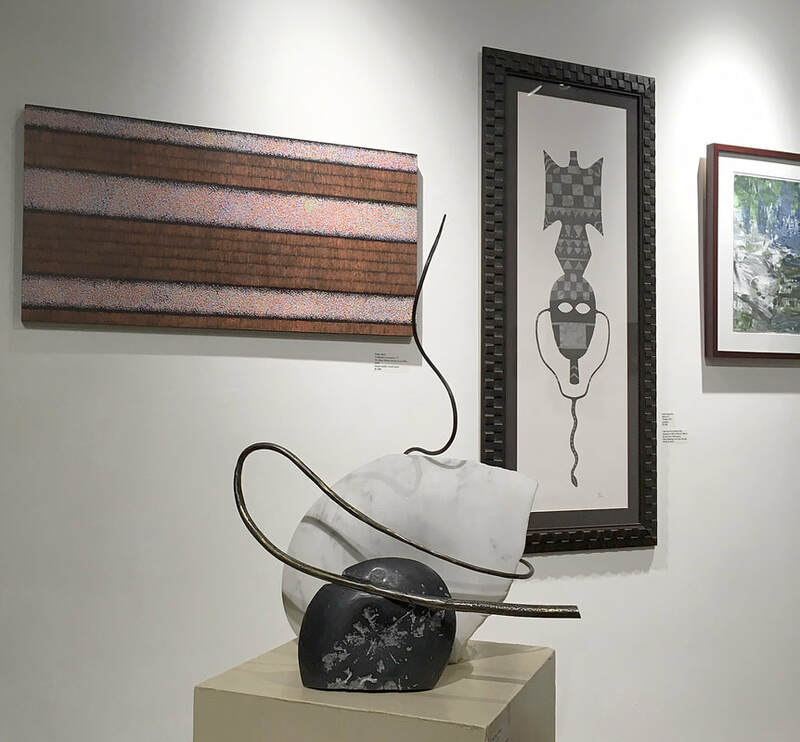 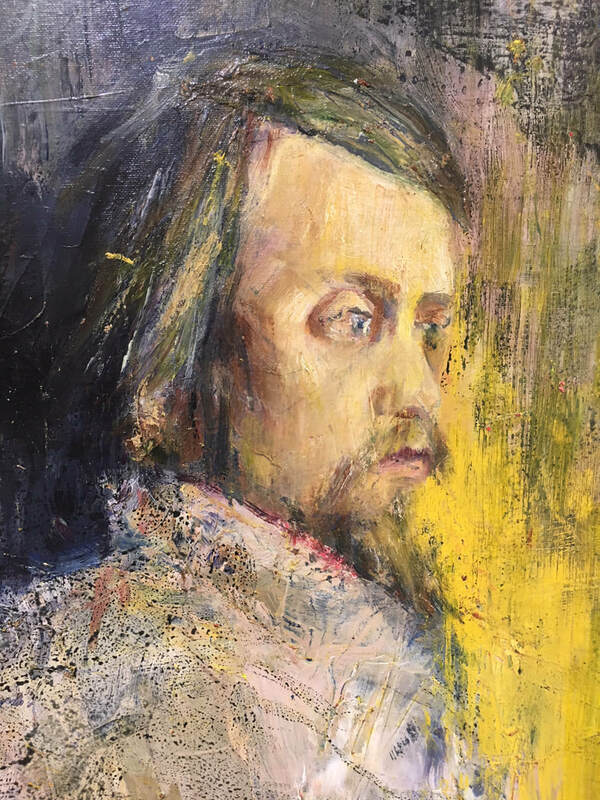 Enjoy great art, music & eats – and help raise funds for SPA art programs. 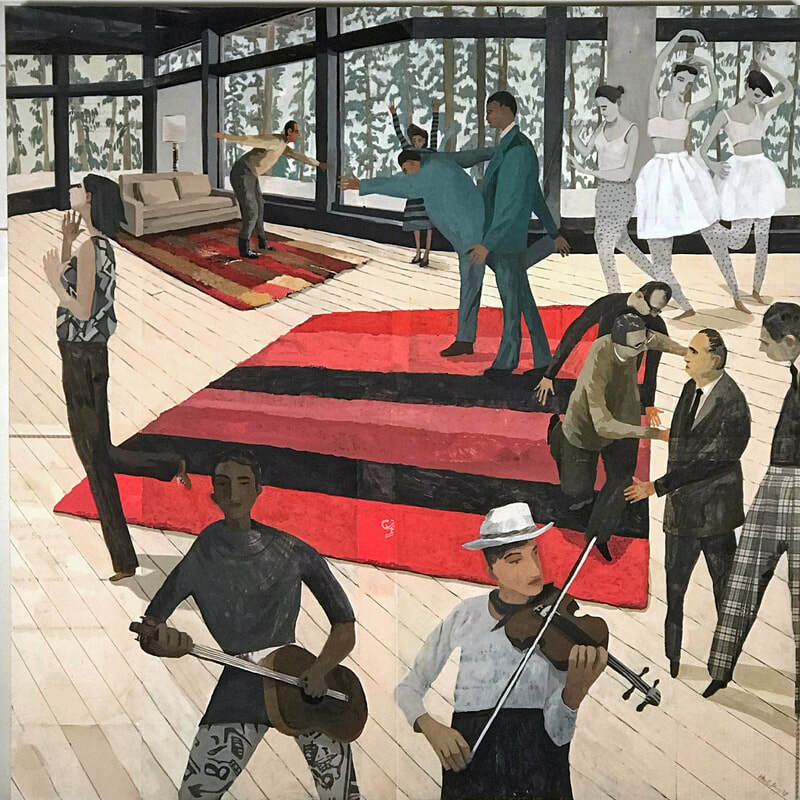 Musical performance by Old Rocket, a Southern Old-Time String band including Dana and Susan Robinson, and special guest Tom MacKenzie. Cash bar. 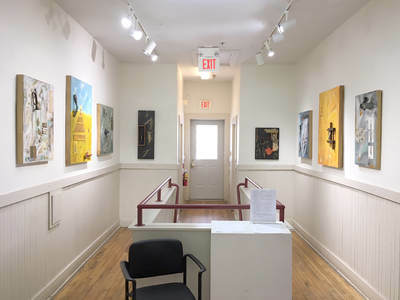 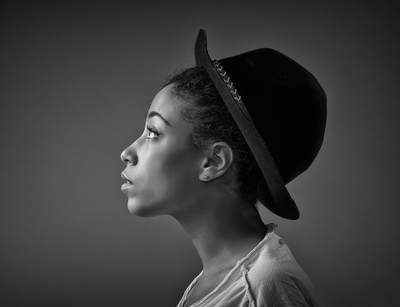 Jairo will perform an eclectic selection of acoustic Latin American and Jazz music. 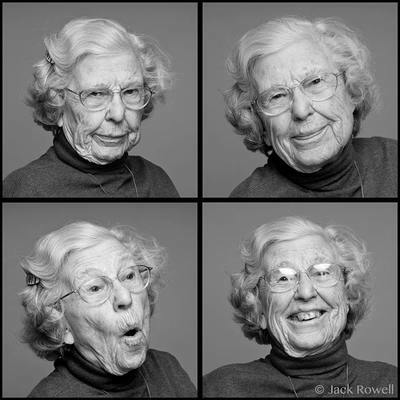 the many aspects of aging. 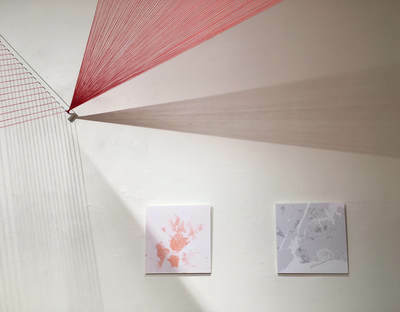 Photographs of abstracted shapes and light. 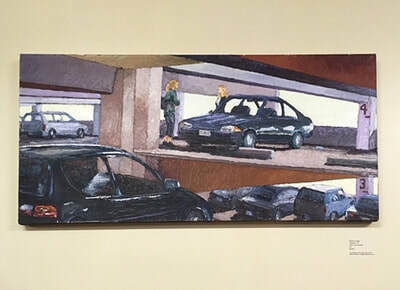 Is a parking structure merely a concrete corral? 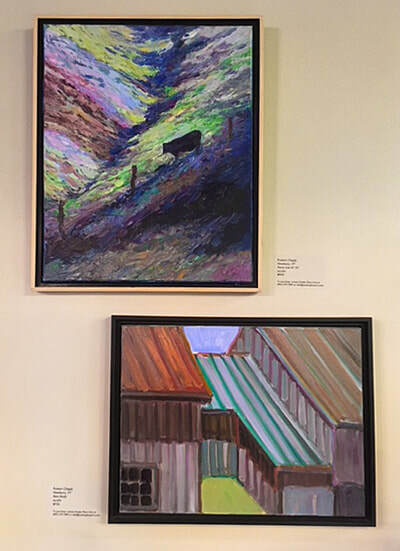 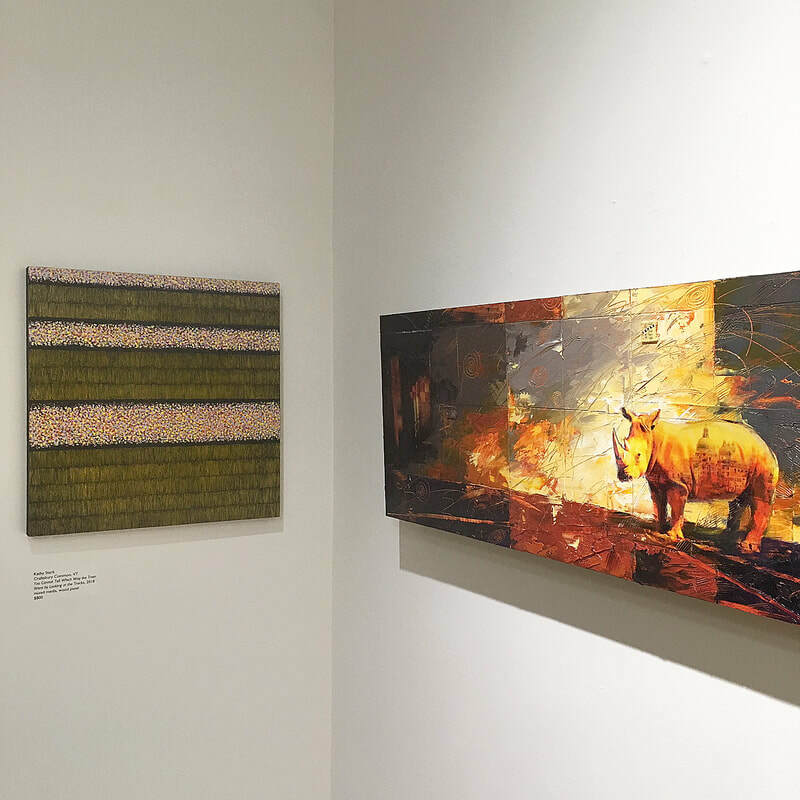 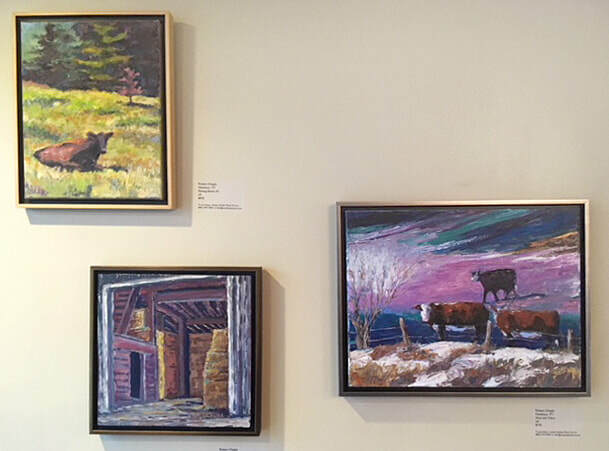 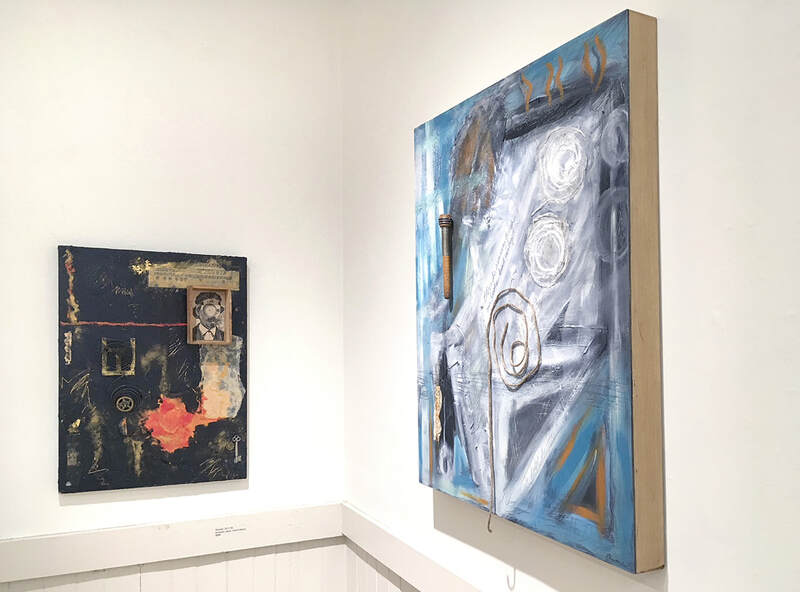 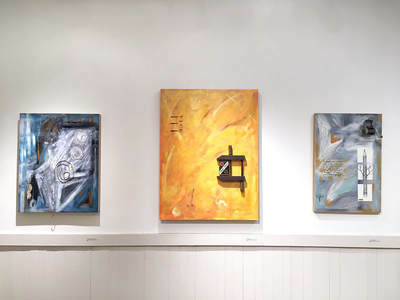 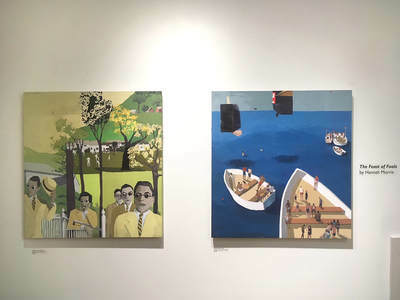 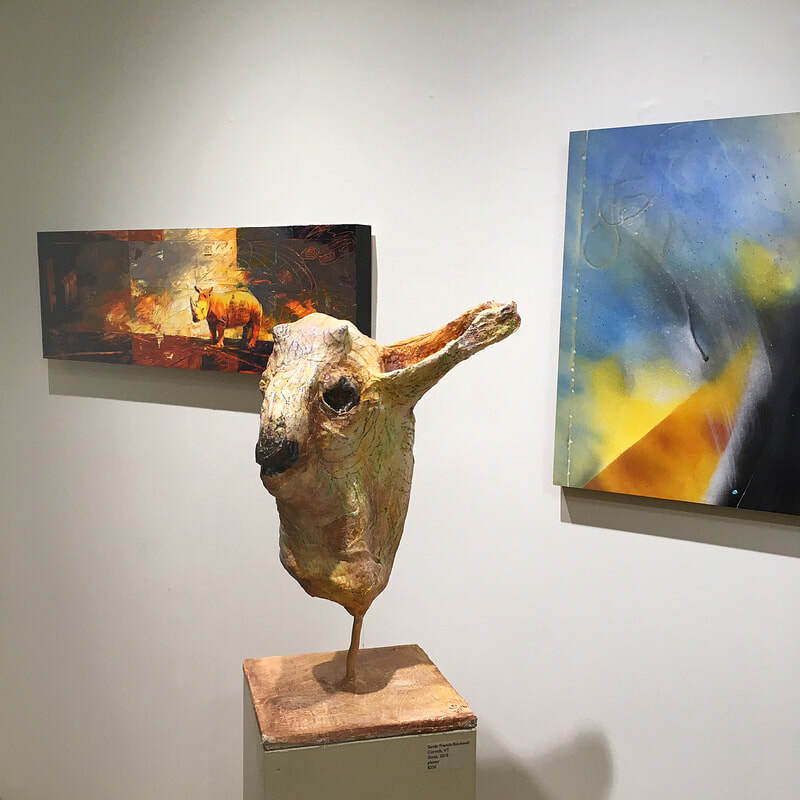 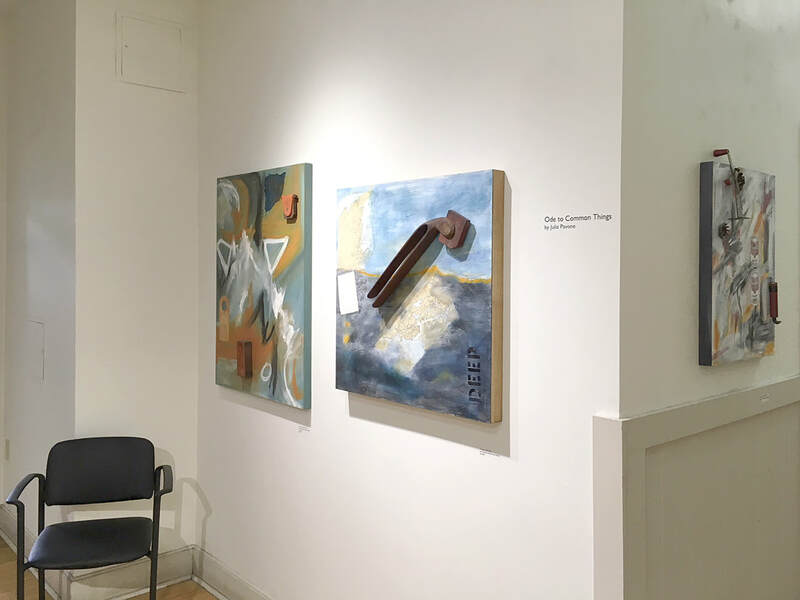 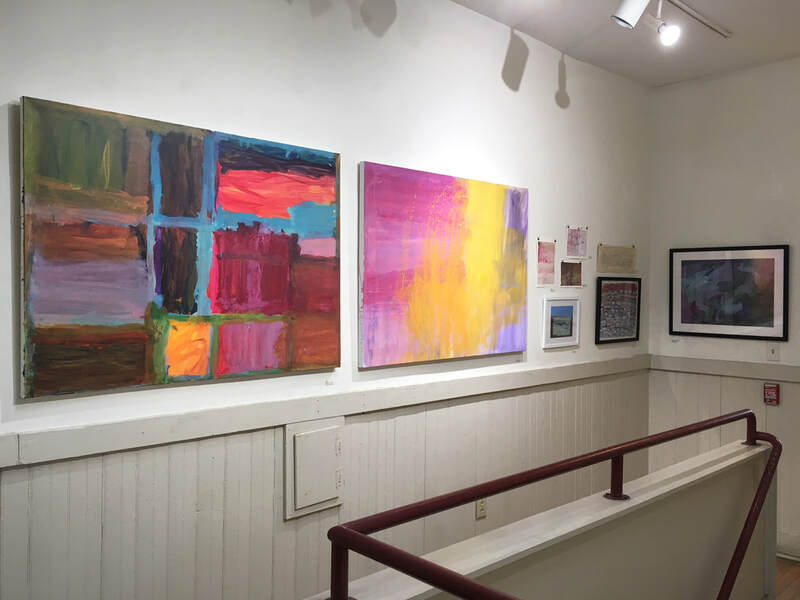 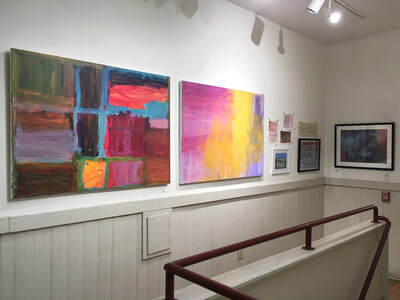 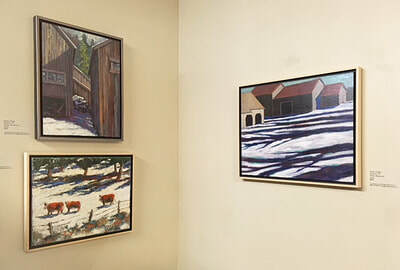 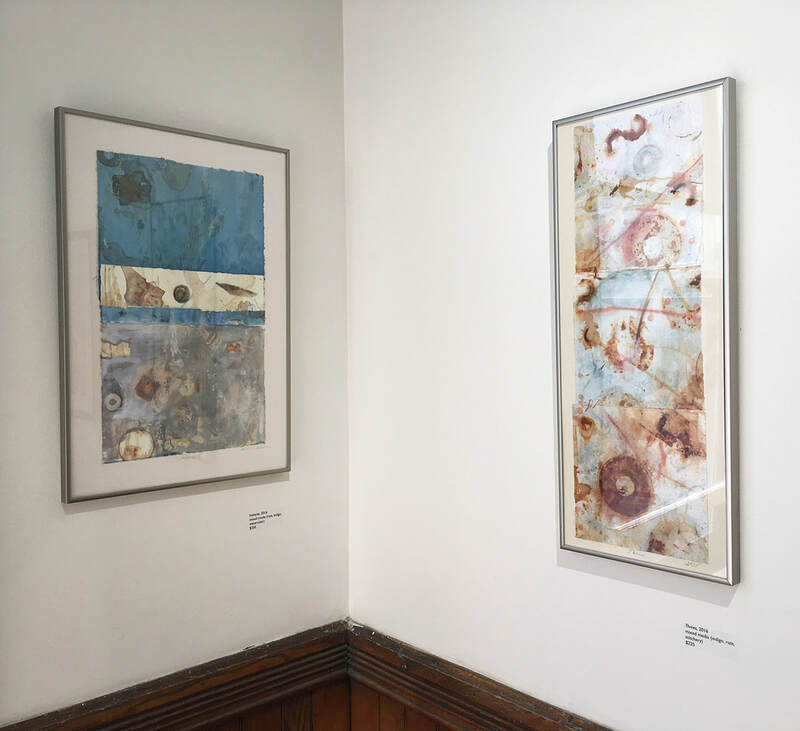 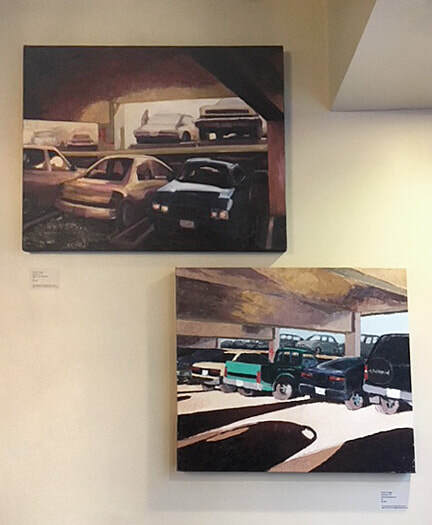 Urban and rural herding differences are on display in this show of 18 oil and acrylic paintings by Vermont artist Robert Chapla.